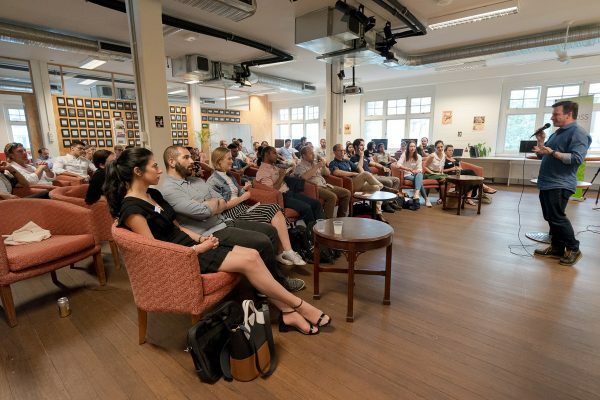 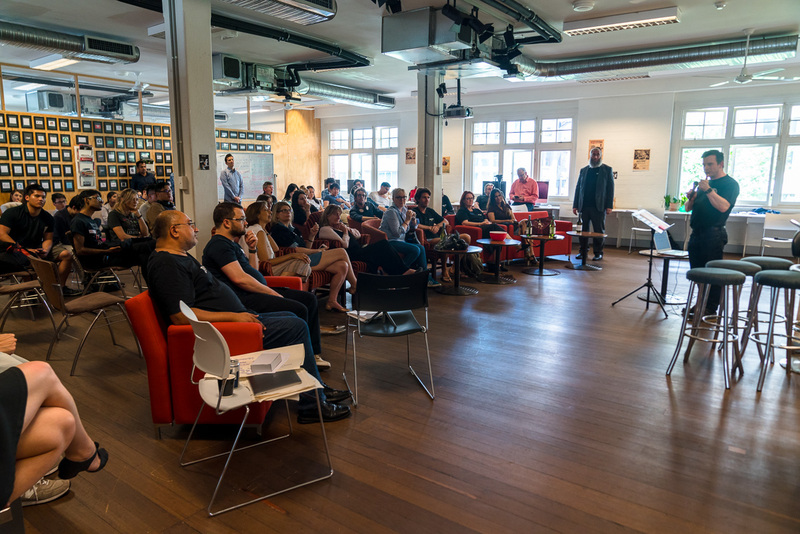 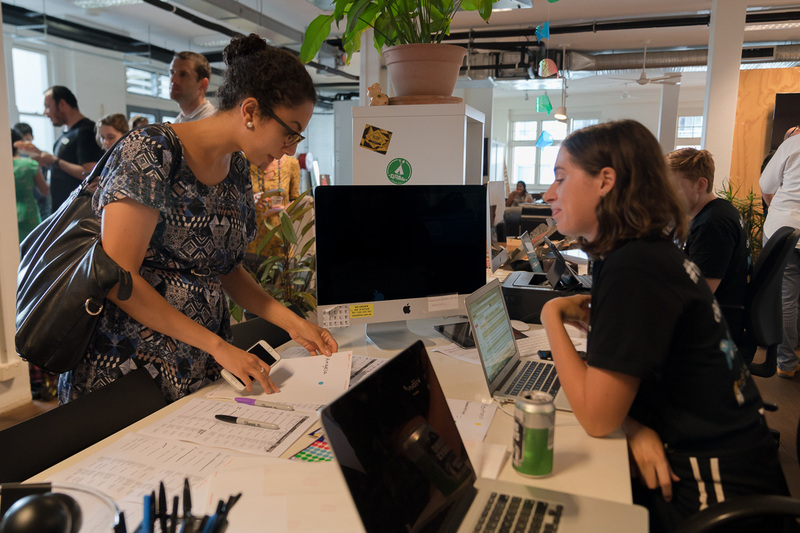 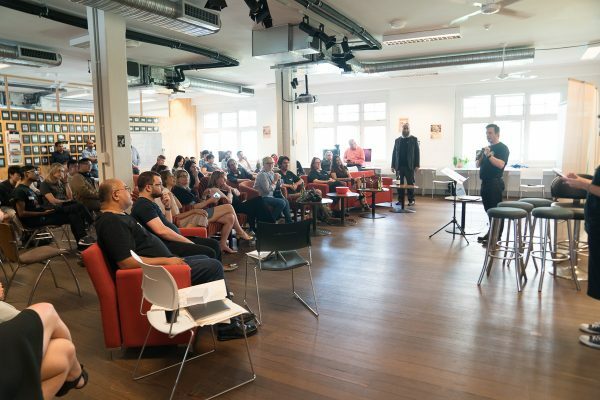 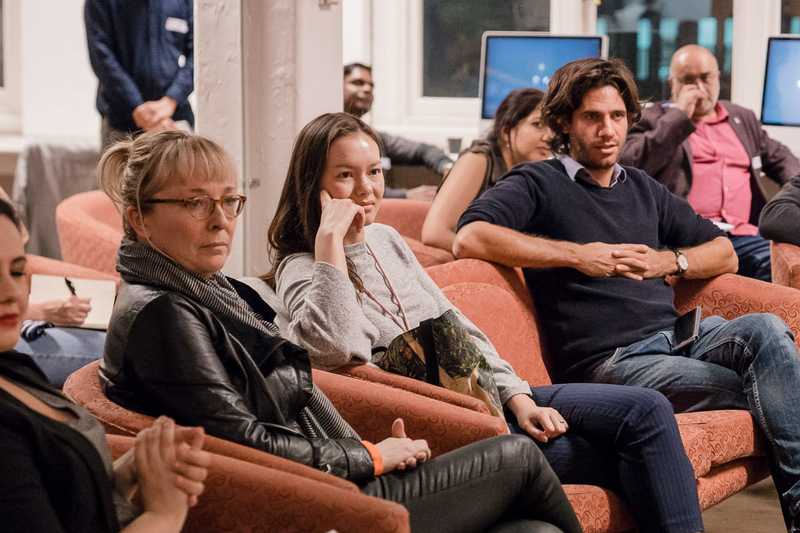 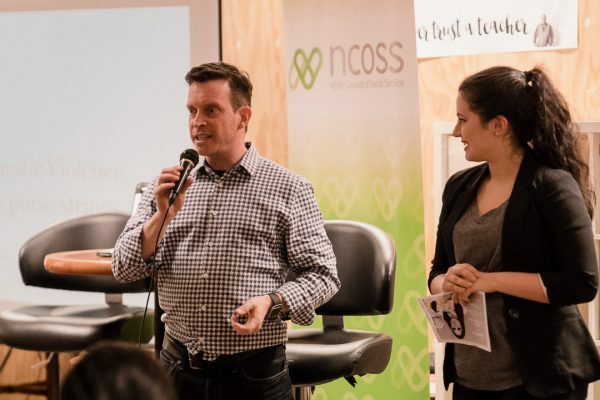 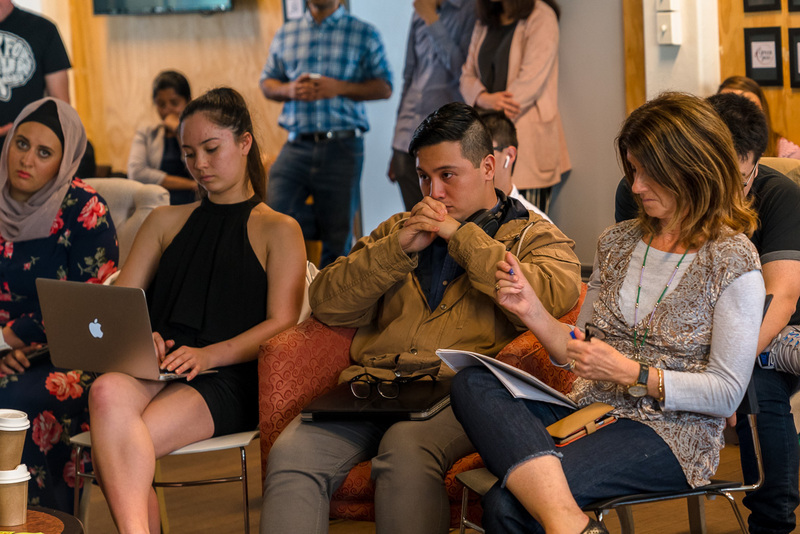 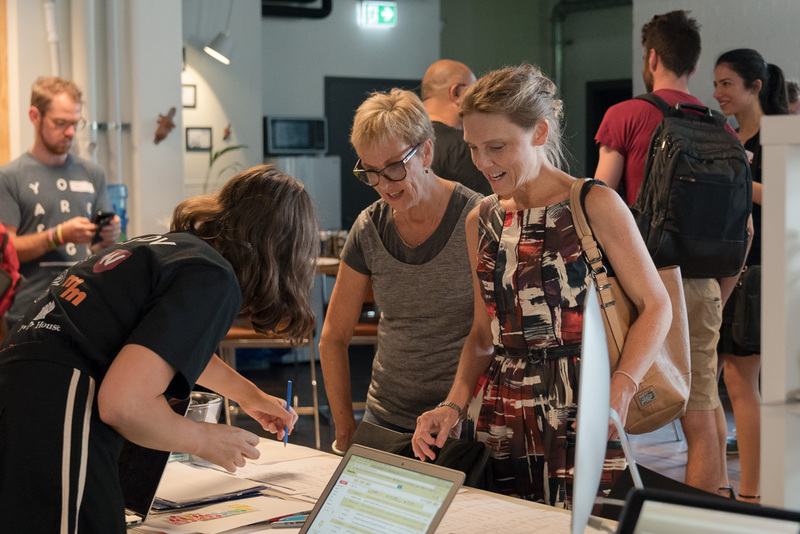 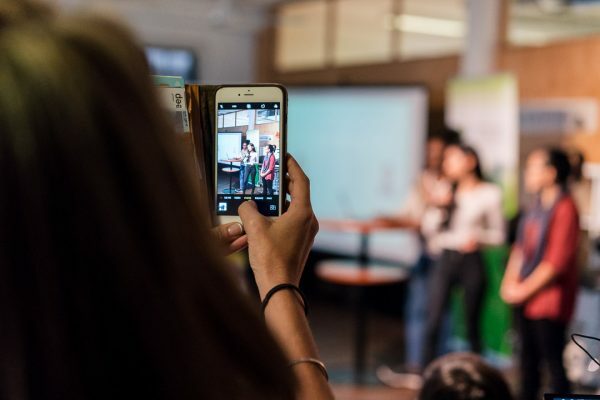 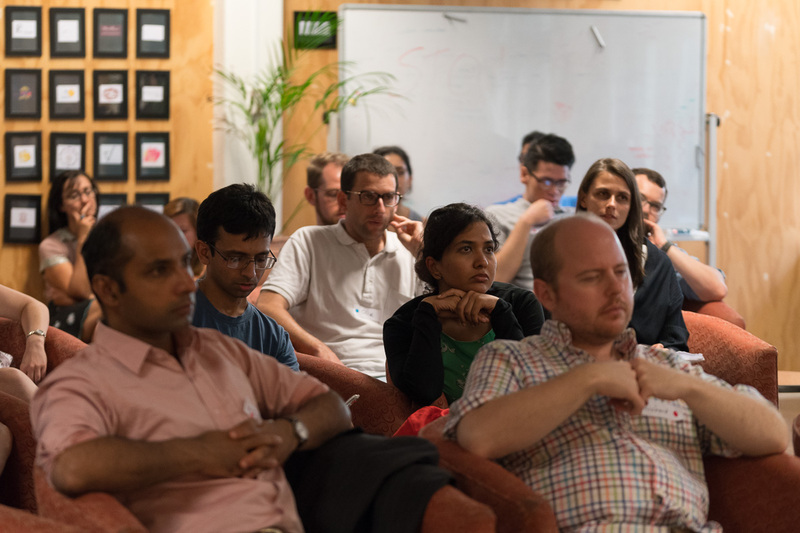 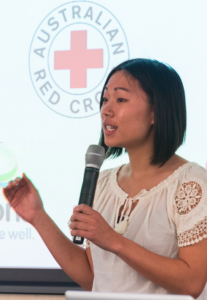 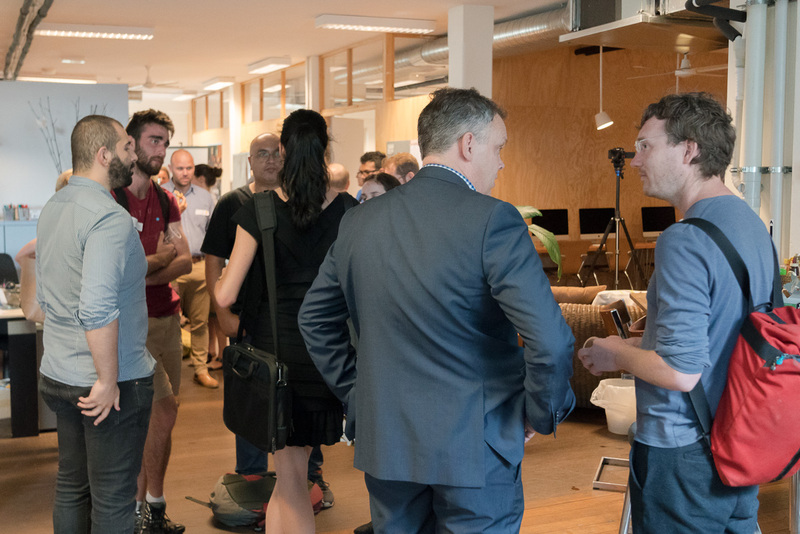 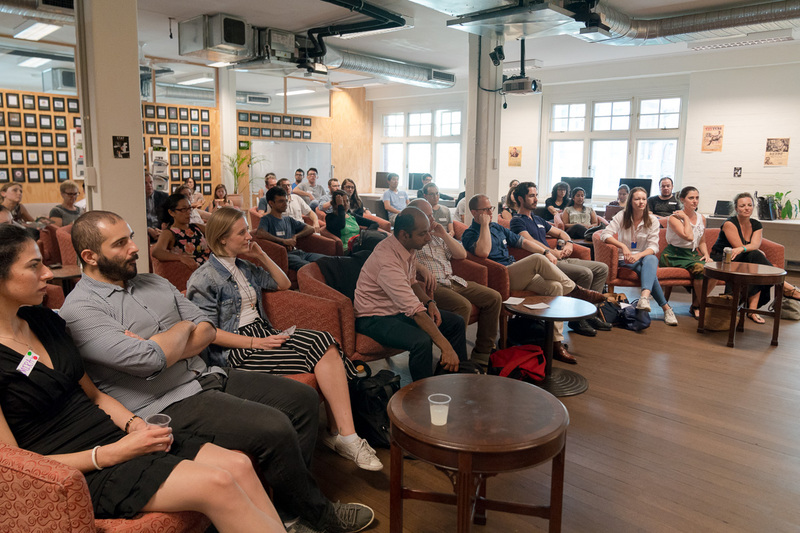 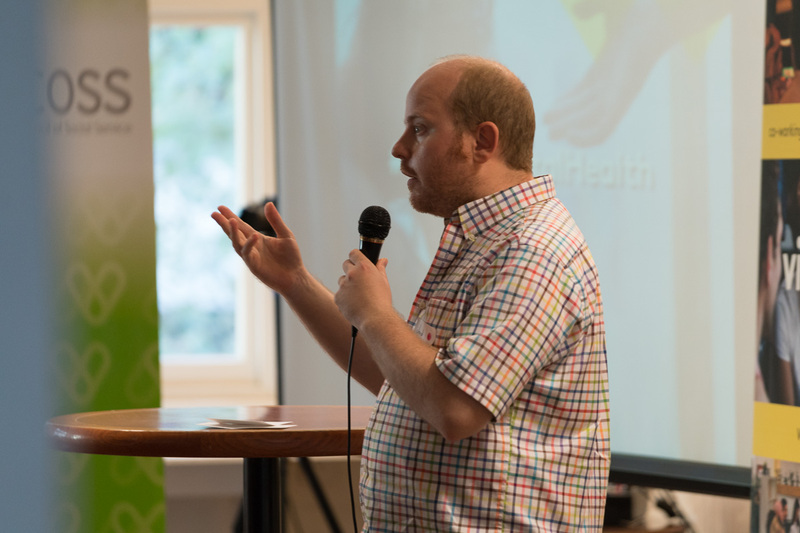 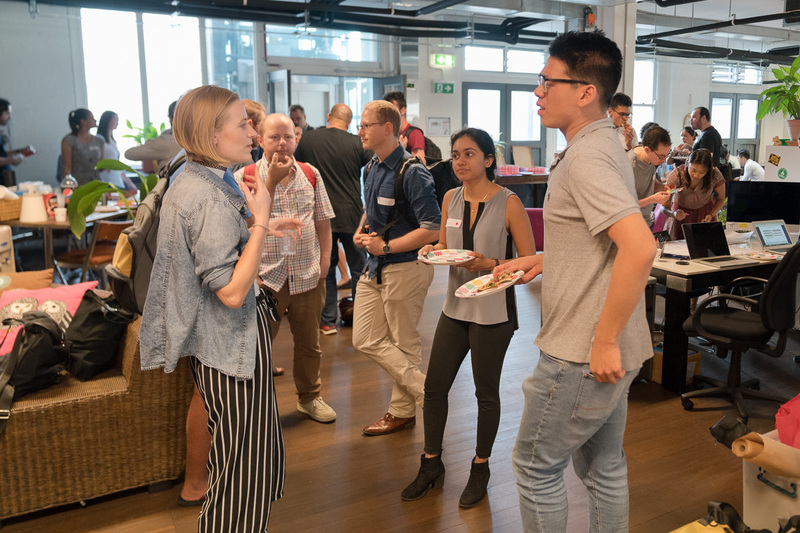 Check out the photos below from our 4th social impact hackathon! #Hack4FinancialInclusion was held over 25-27 May 2018 at MnM Institute. 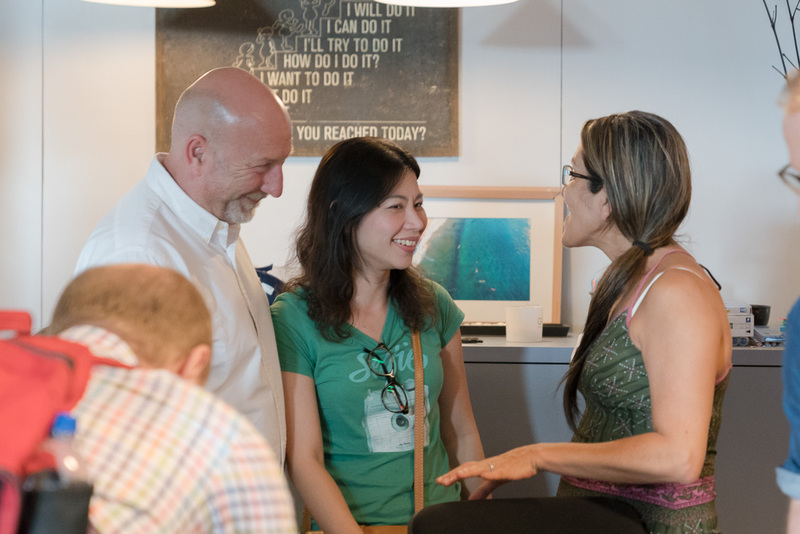 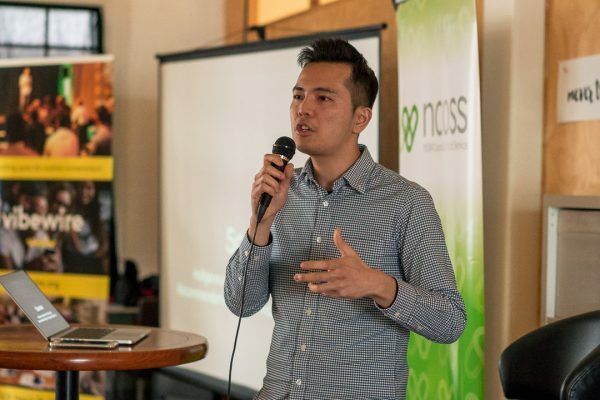 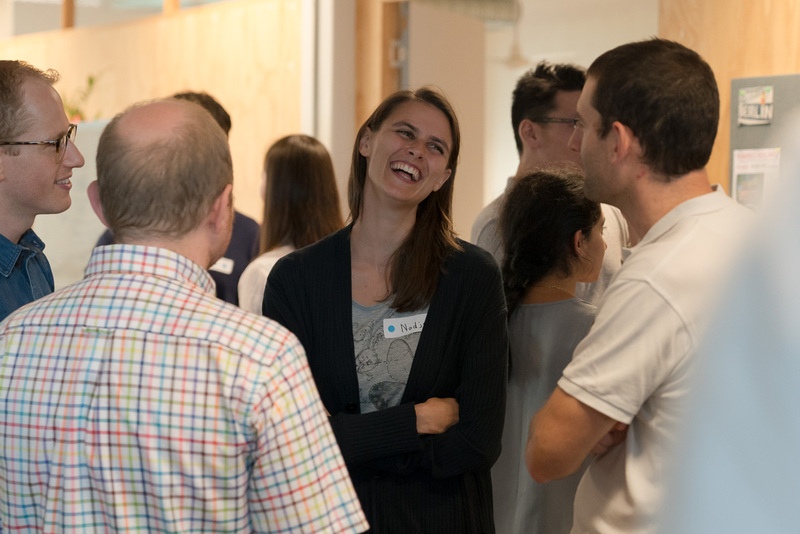 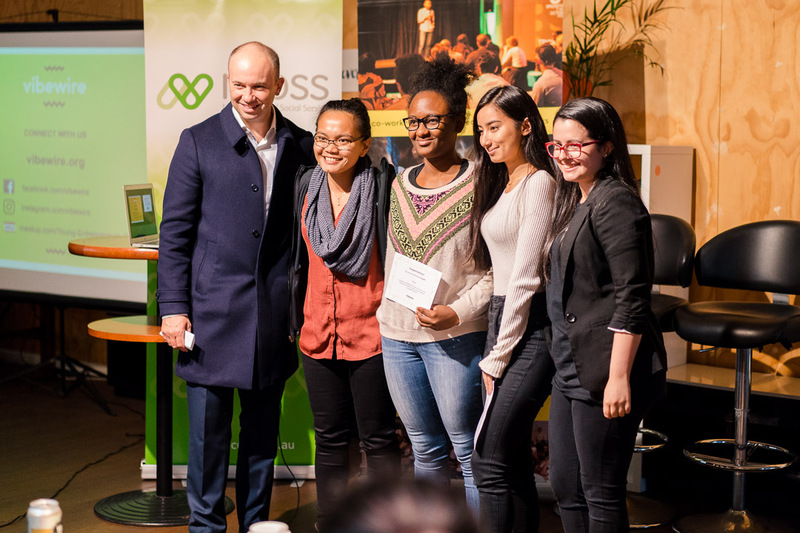 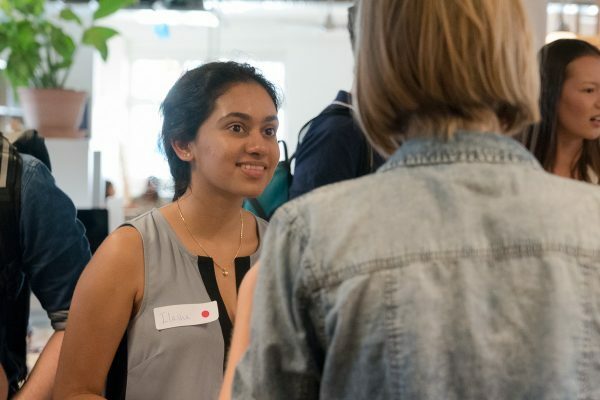 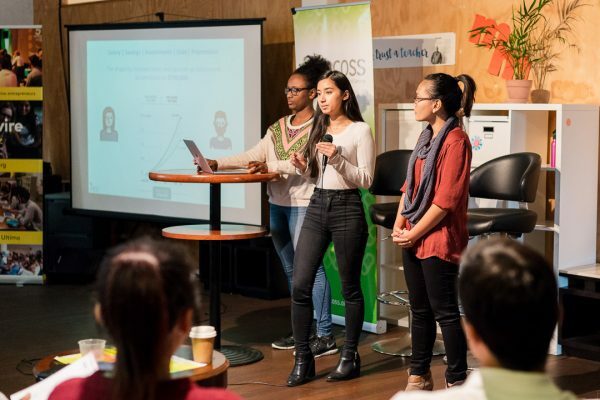 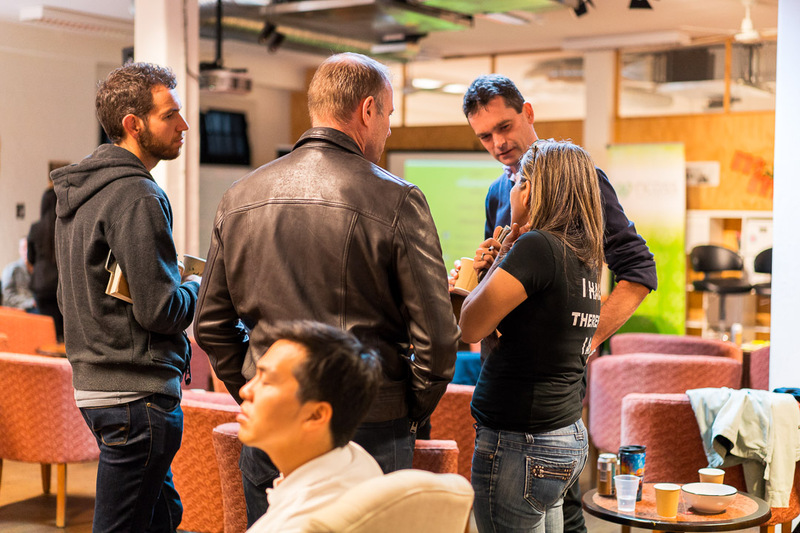 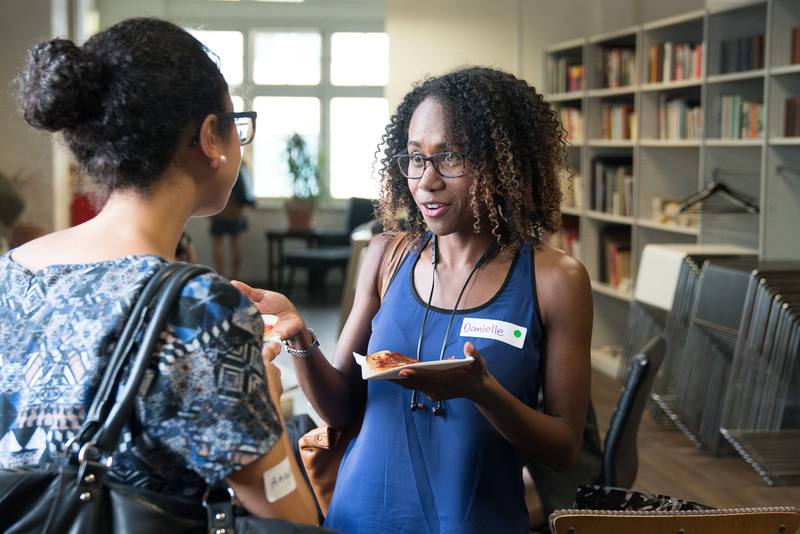 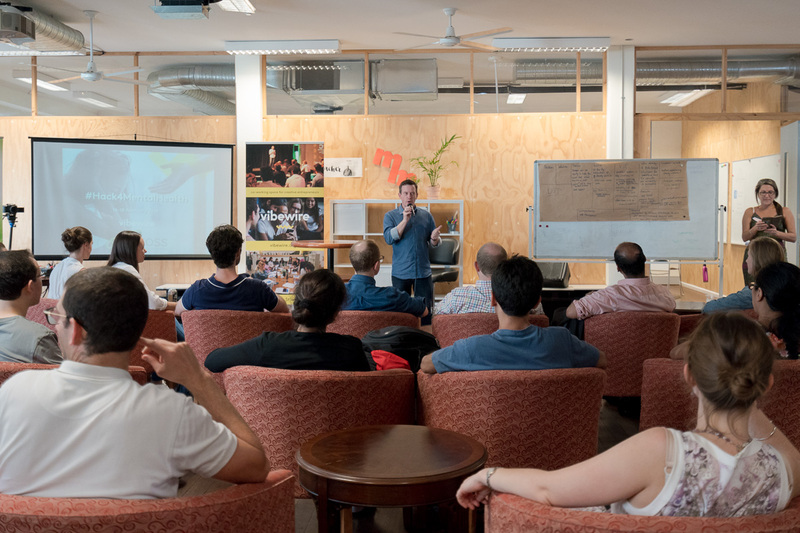 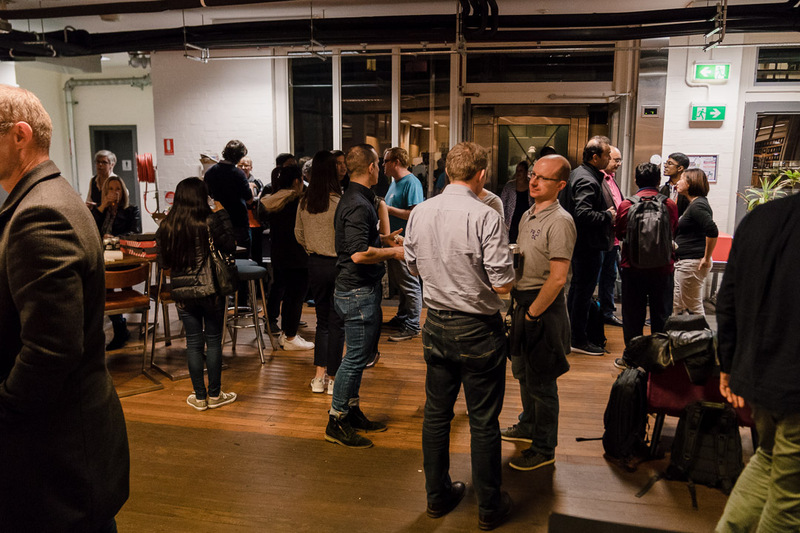 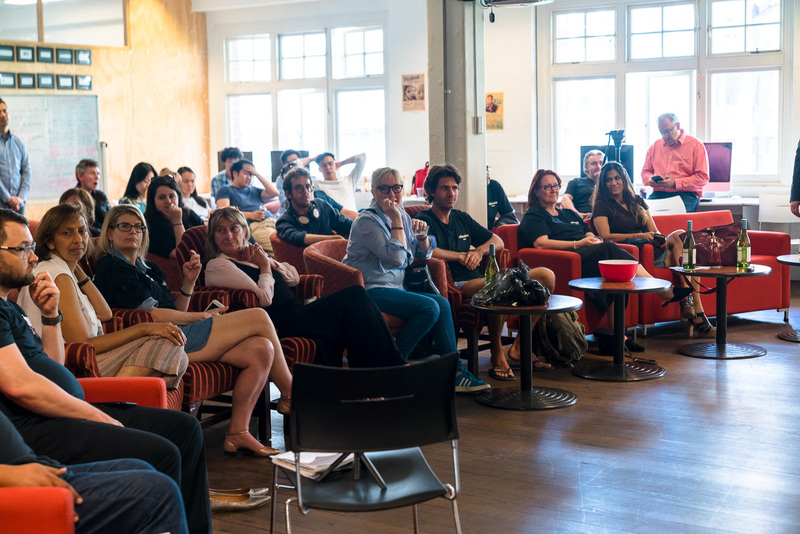 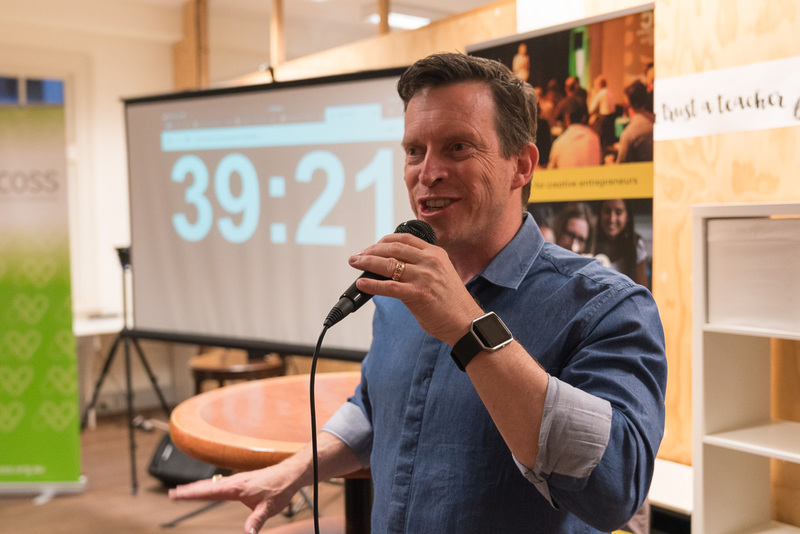 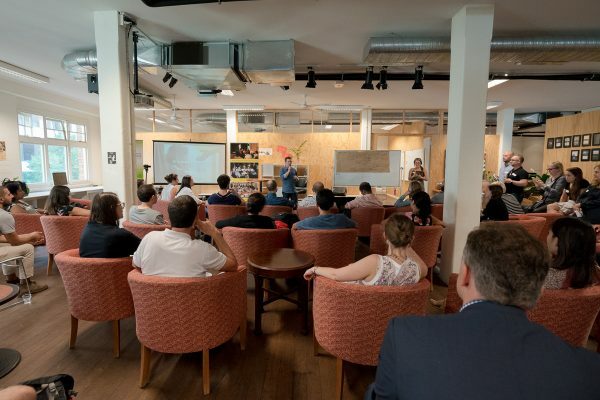 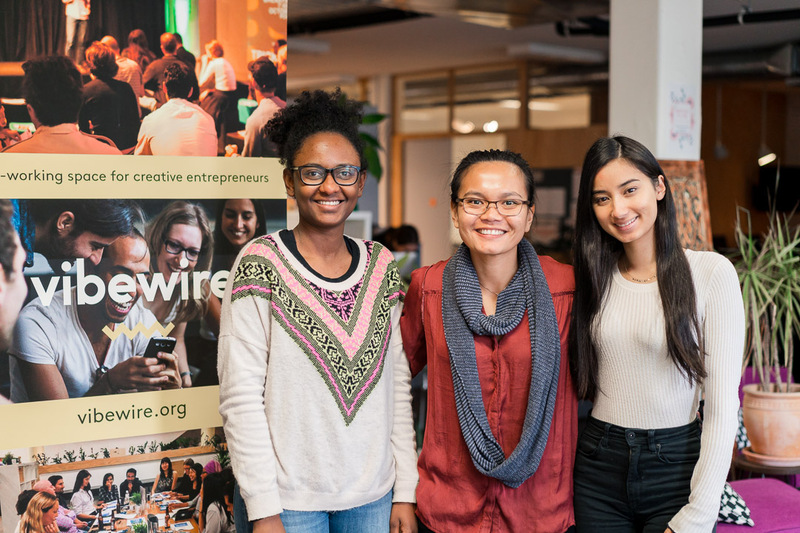 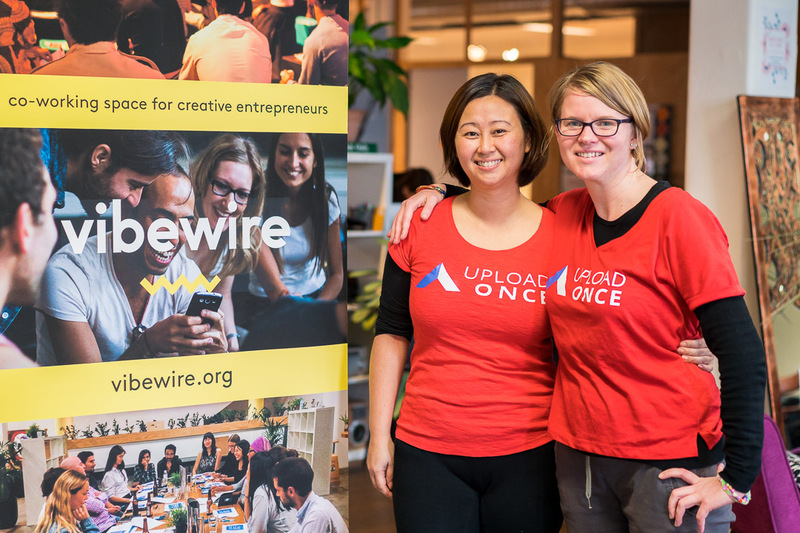 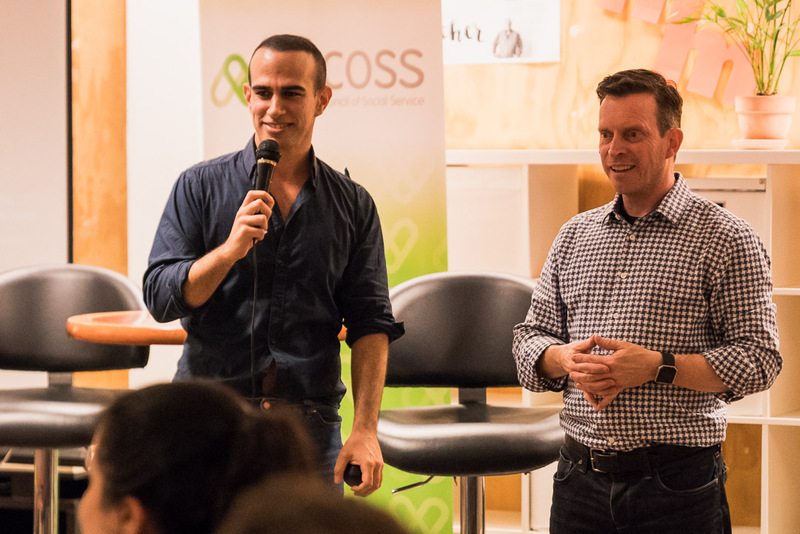 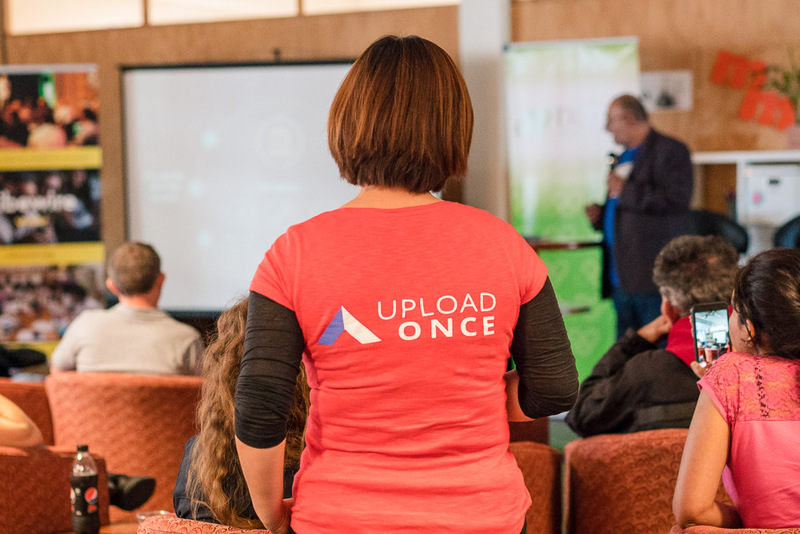 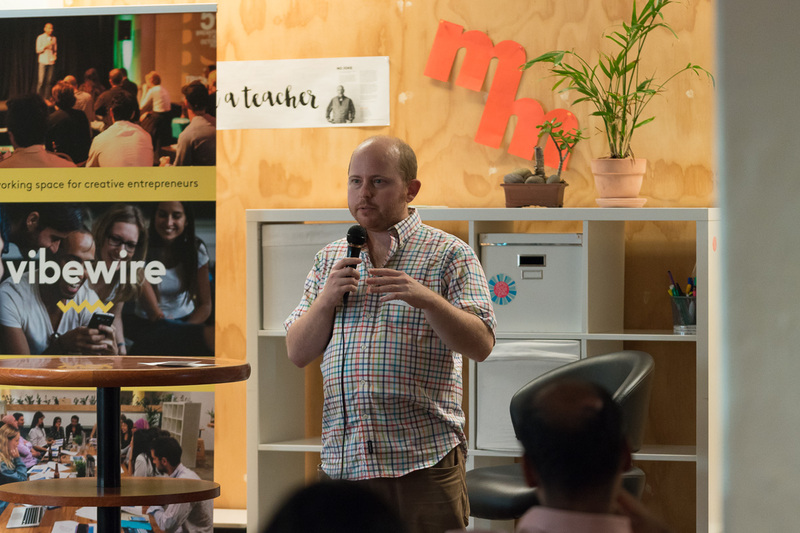 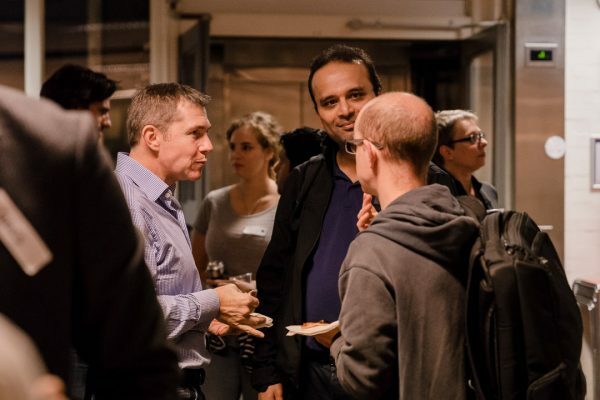 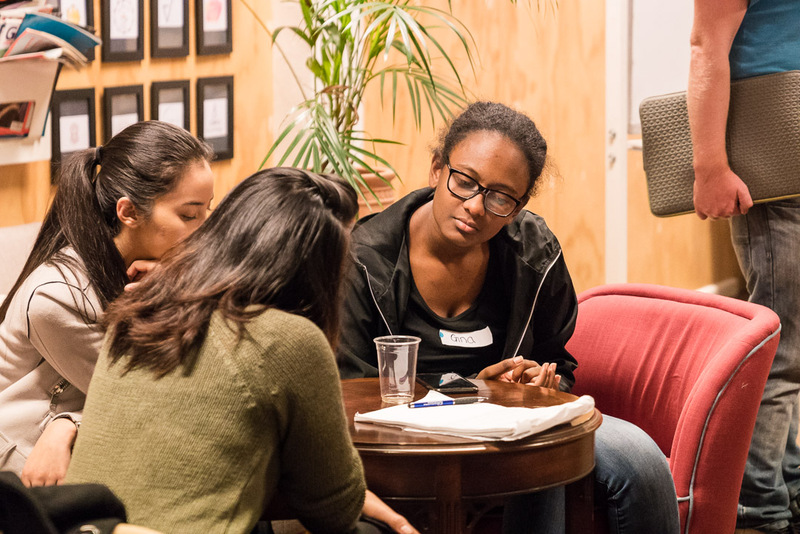 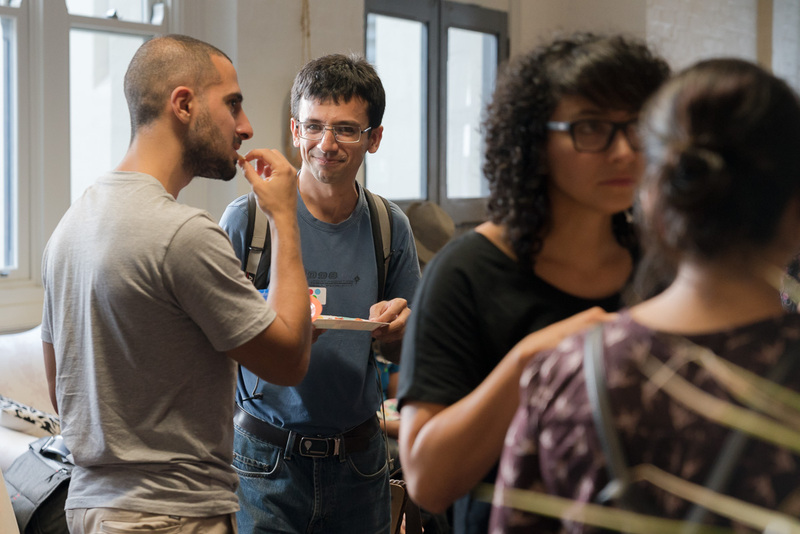 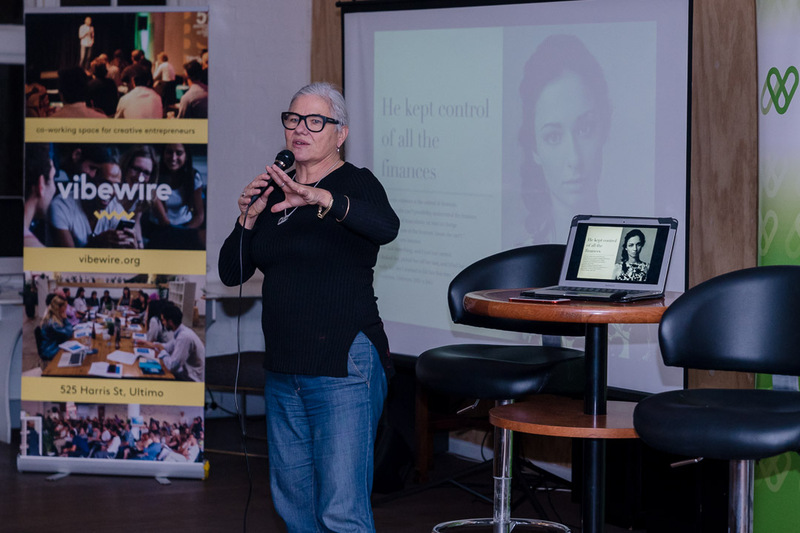 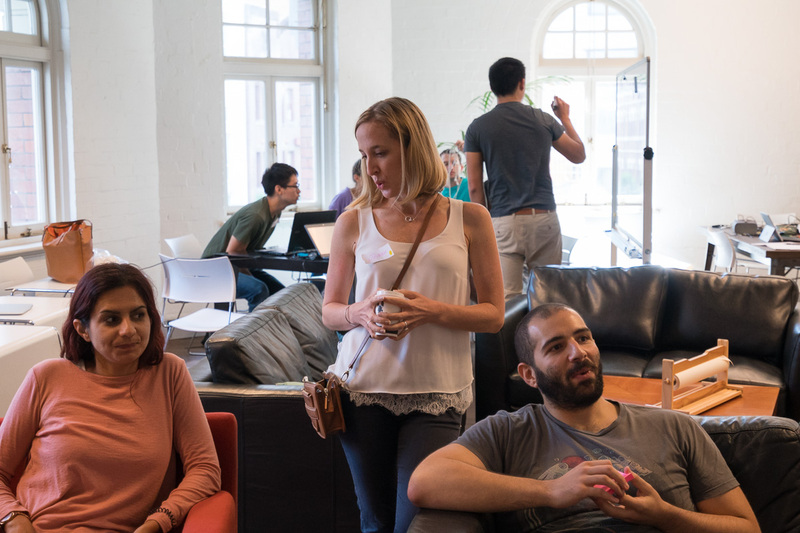 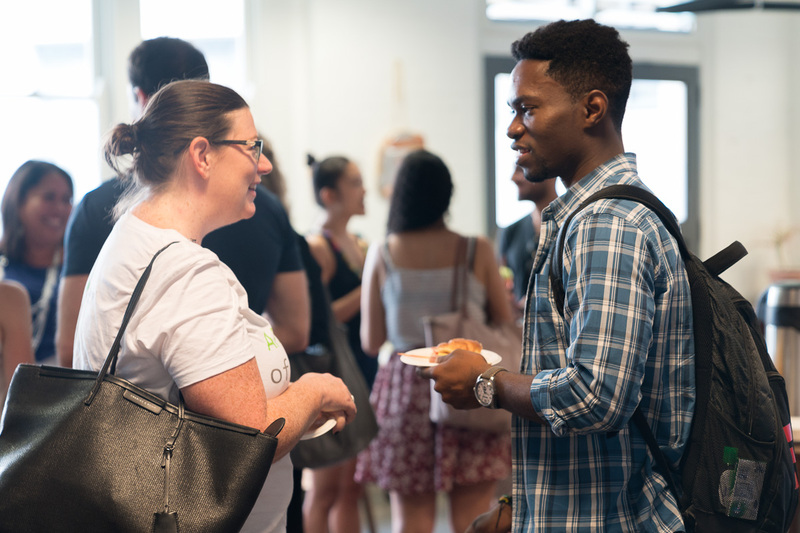 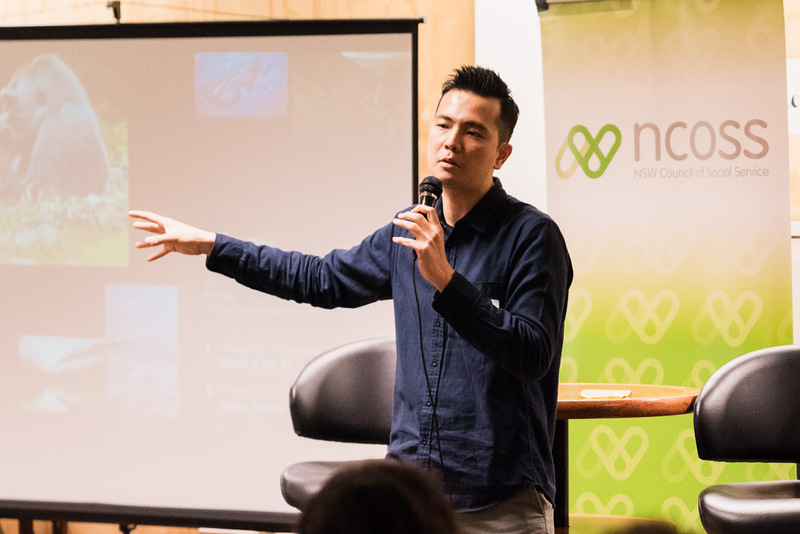 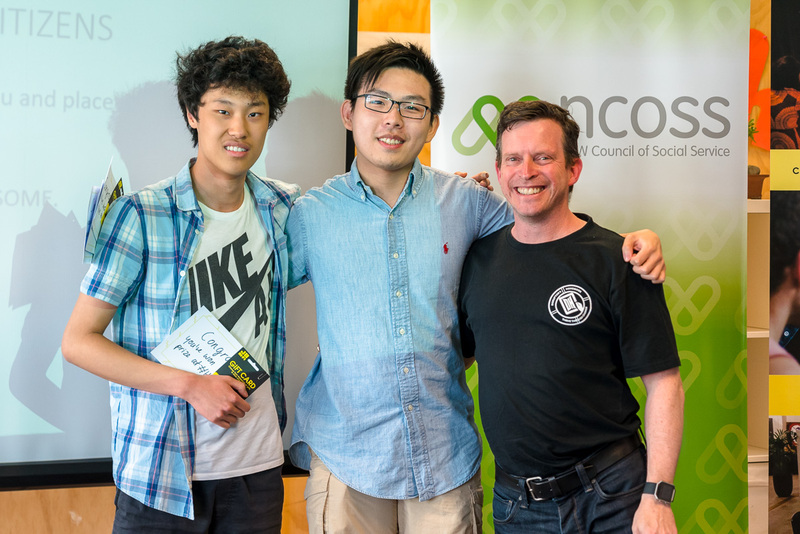 Check out the photos below from our 2nd social impact hackathon! #Hack4DomesticViolence was held over 8-10 December 2017 at MnM Institute. In the lead up to #Hack4DV we caught up with the kind folks at StartSomeGood.com for an interview around our inspiration and motivations behind the project. 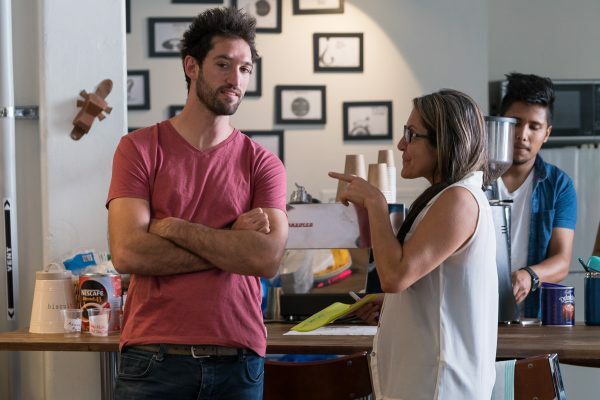 Where did you get the original inspiration for your project? 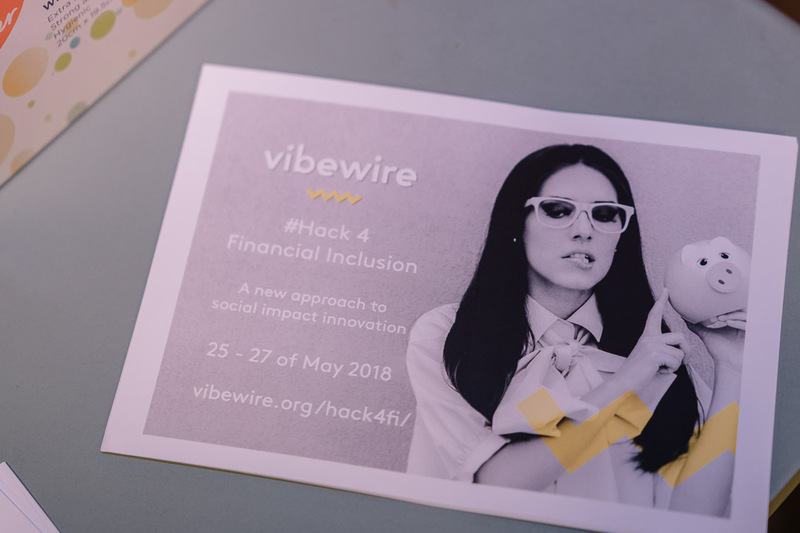 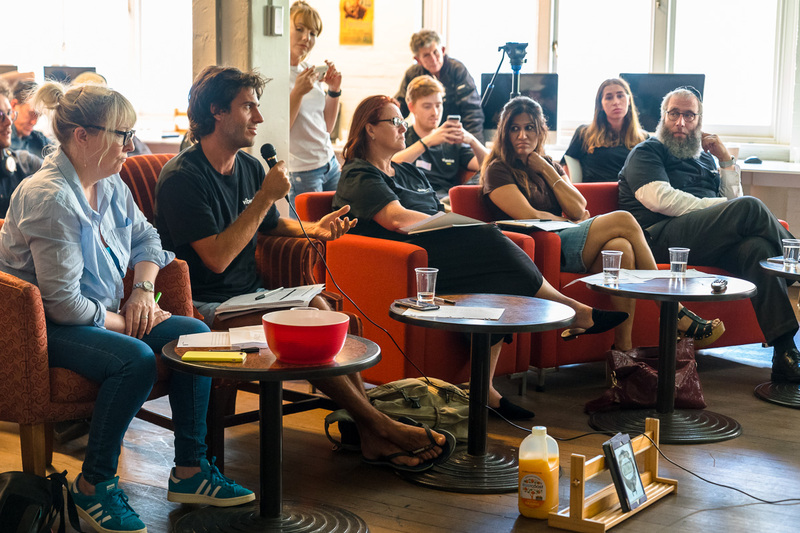 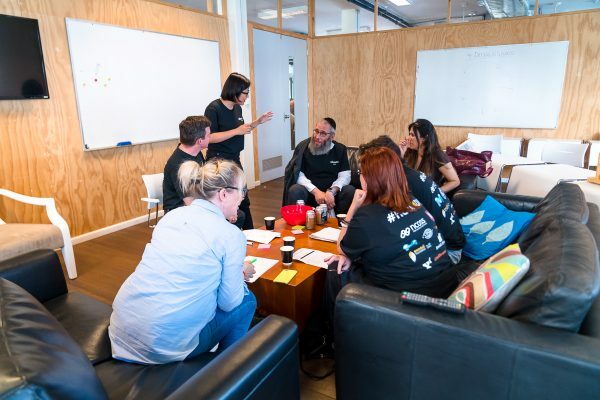 #Hack4DV is our second social impact Hackathon, following on from our successful first offering #Hack4homelessness in early this year in September. 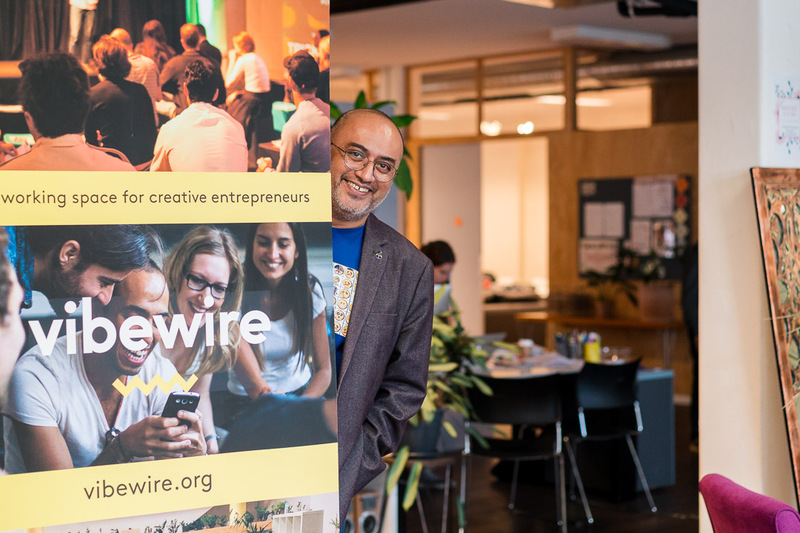 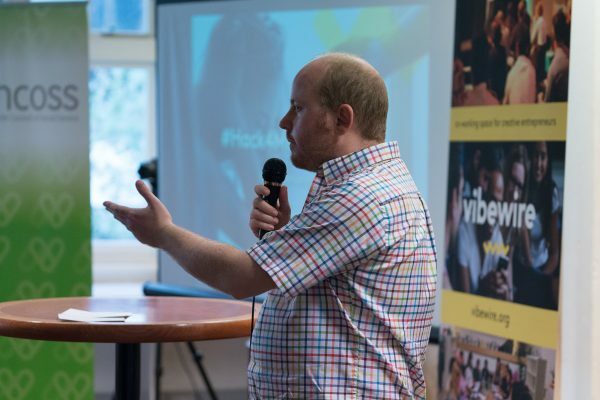 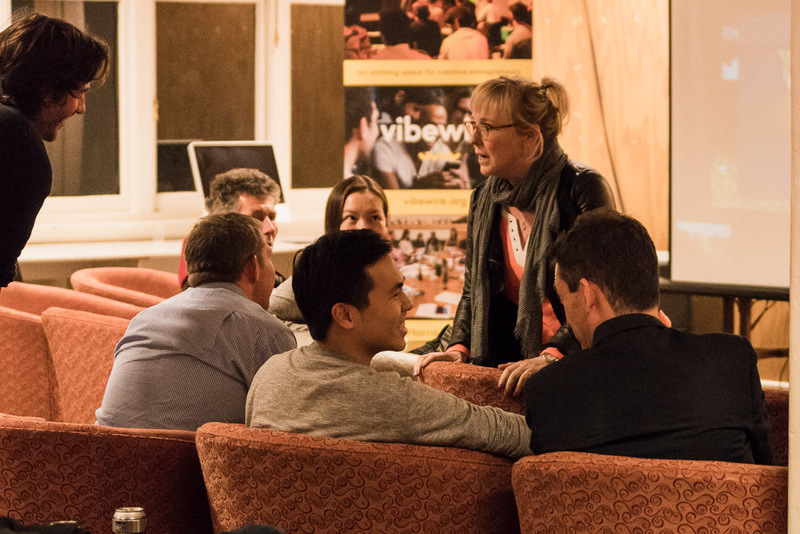 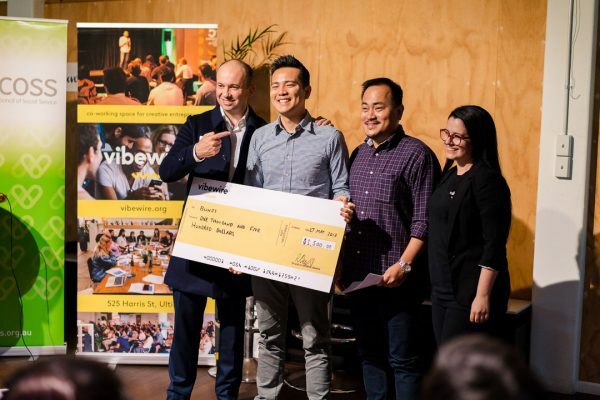 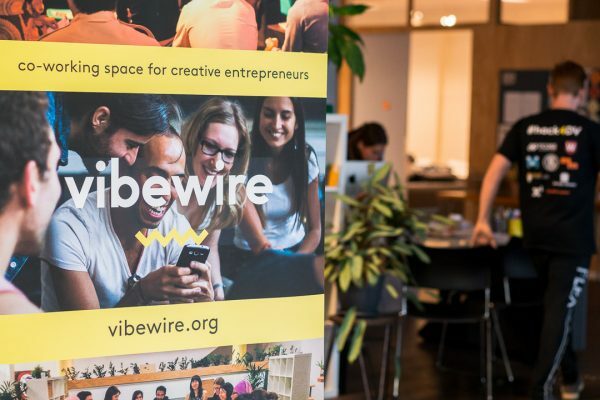 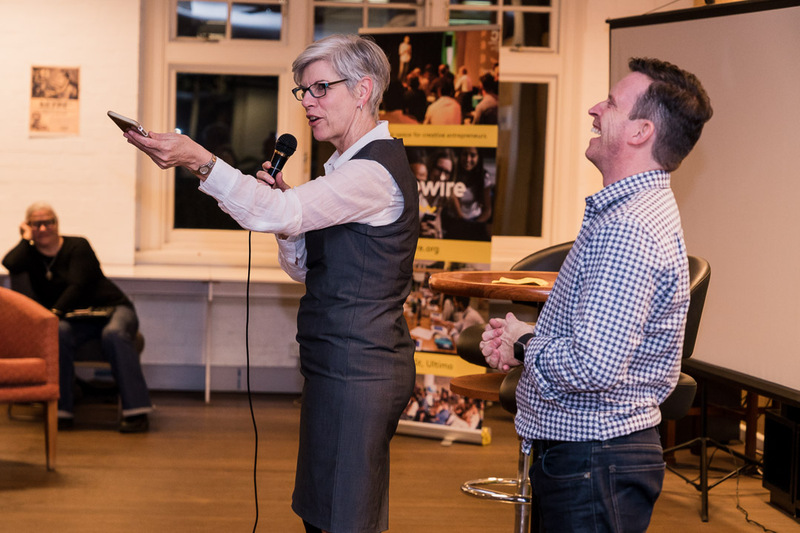 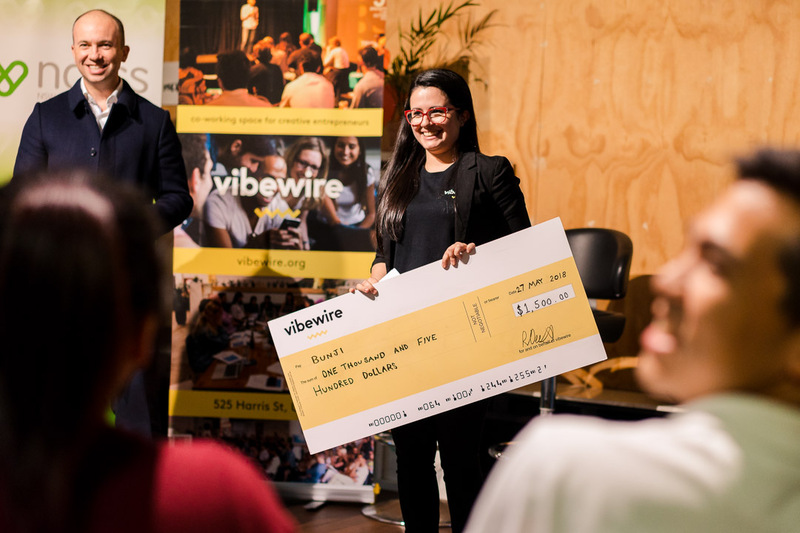 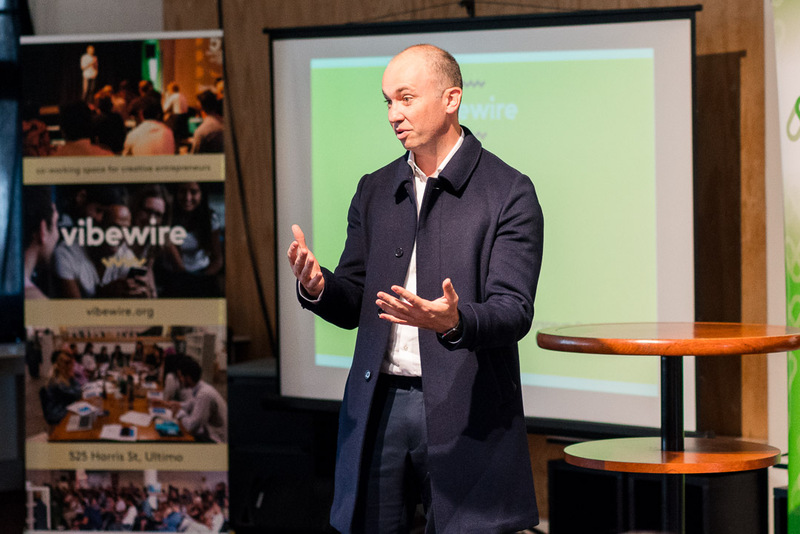 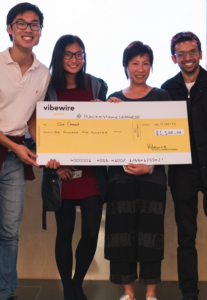 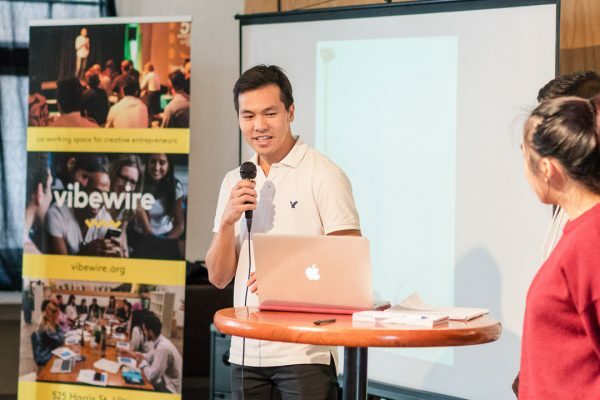 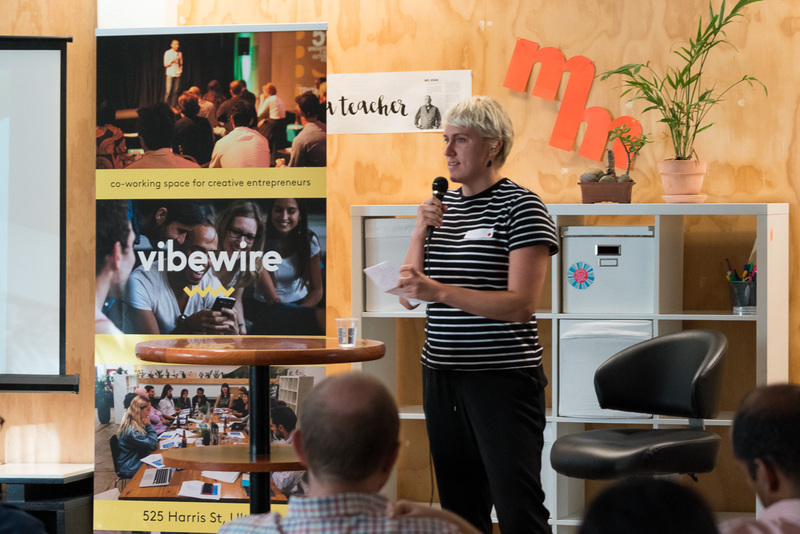 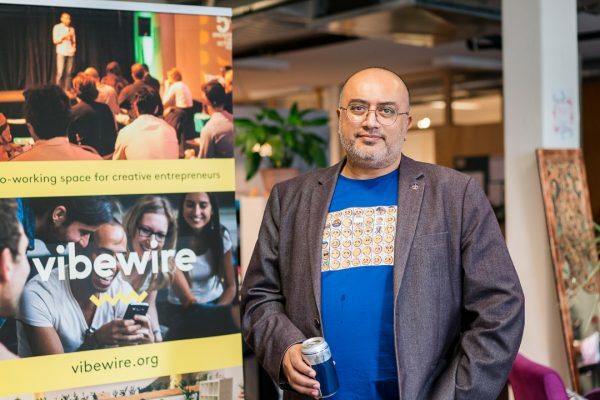 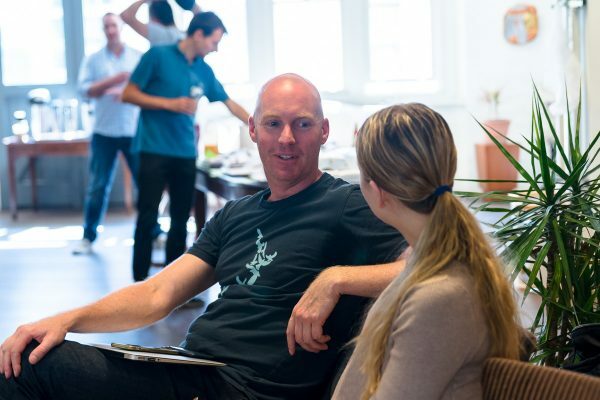 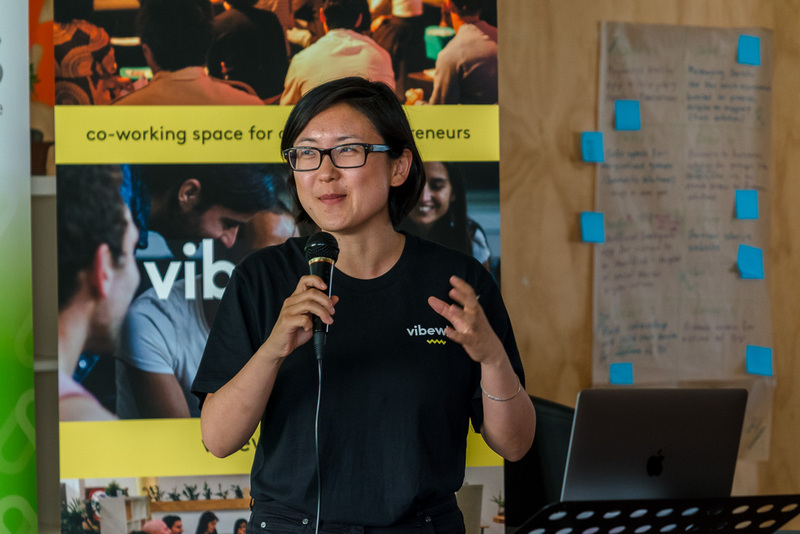 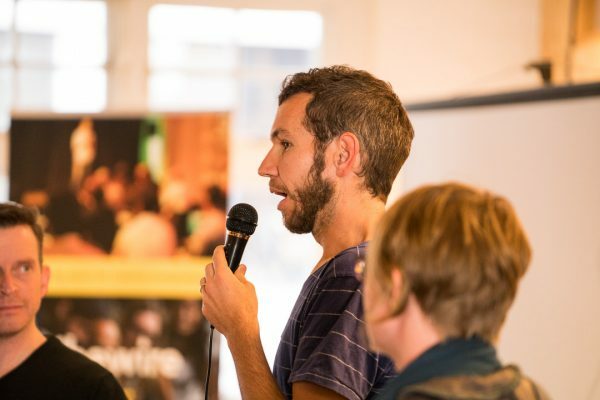 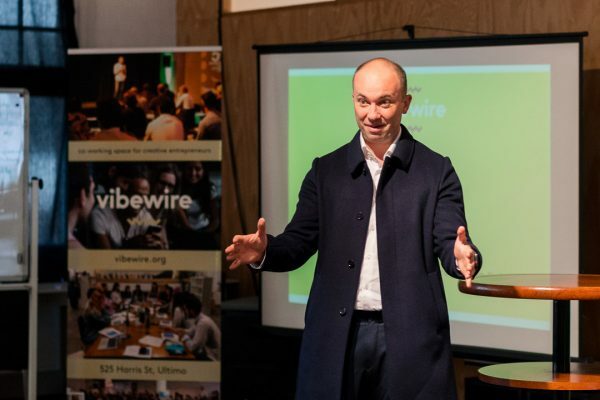 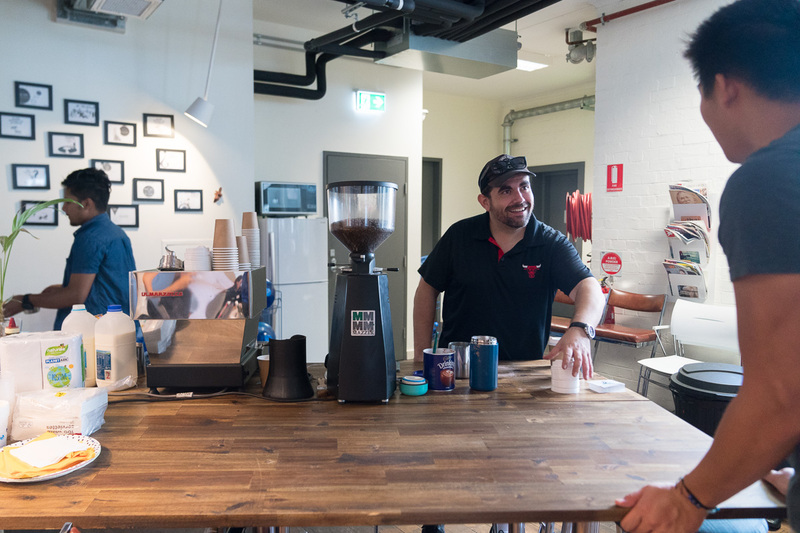 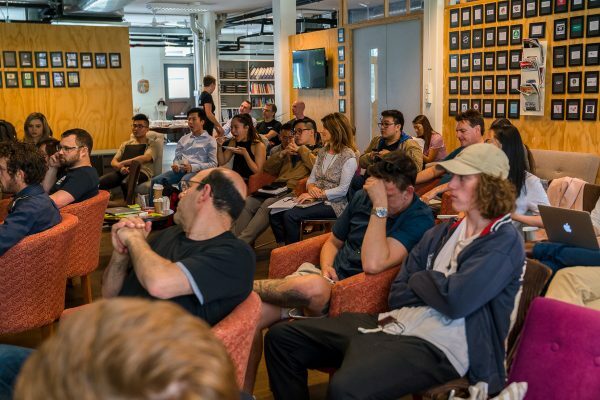 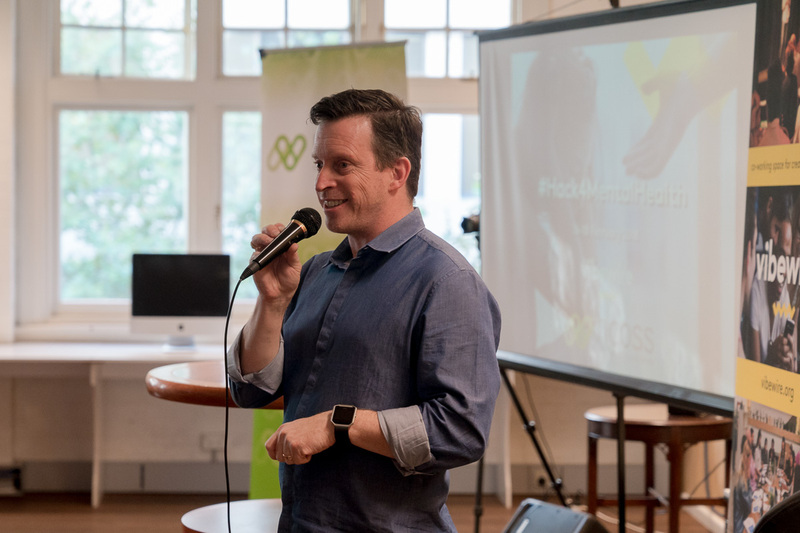 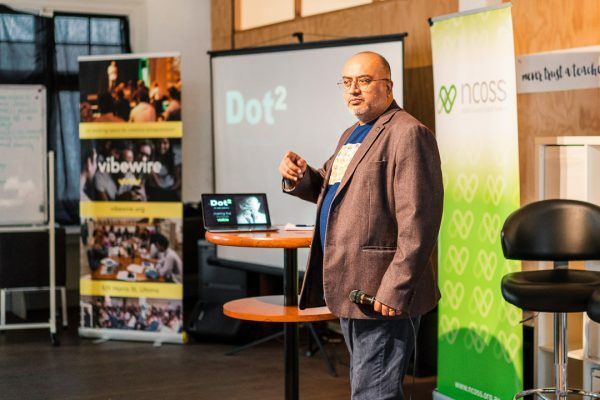 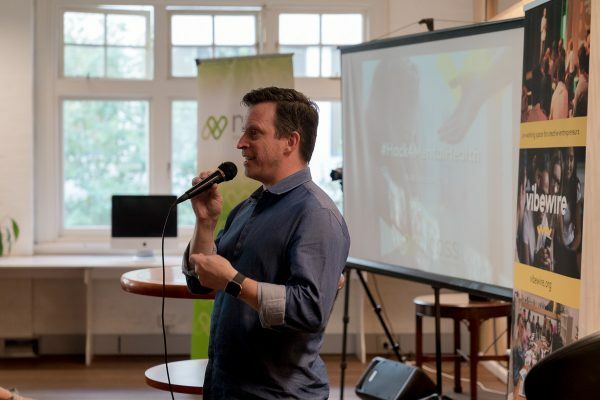 Vibewire President, Gavin Heaton, has extensive experience in the Hackathon circuit. 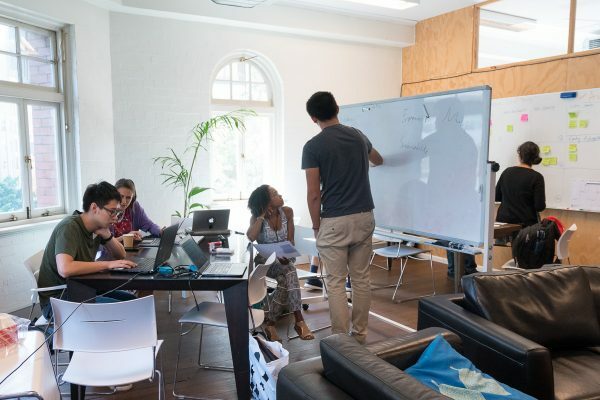 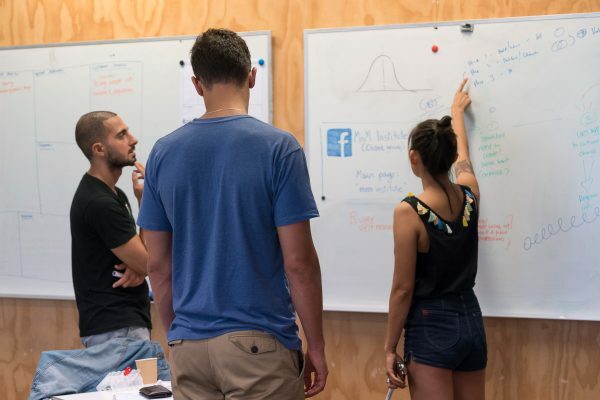 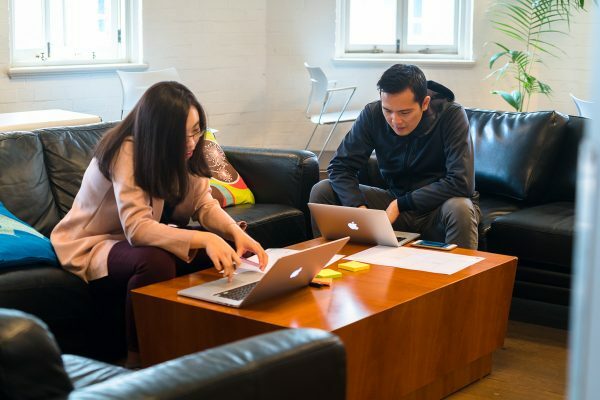 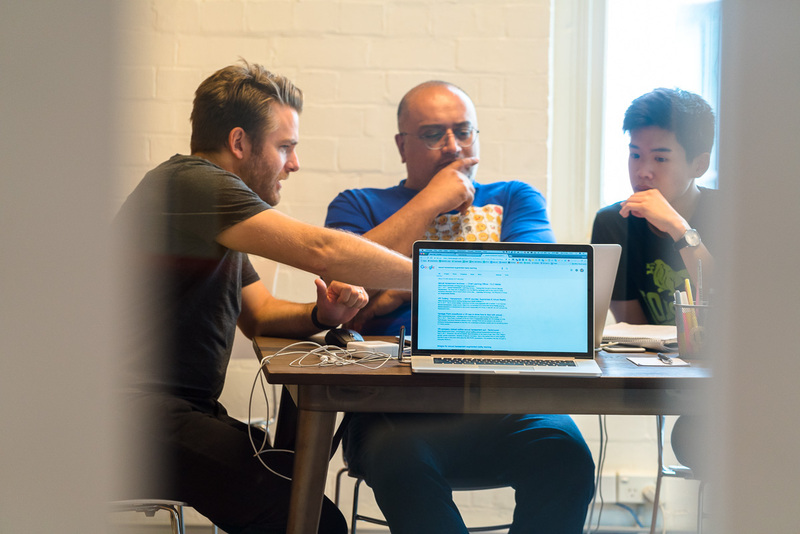 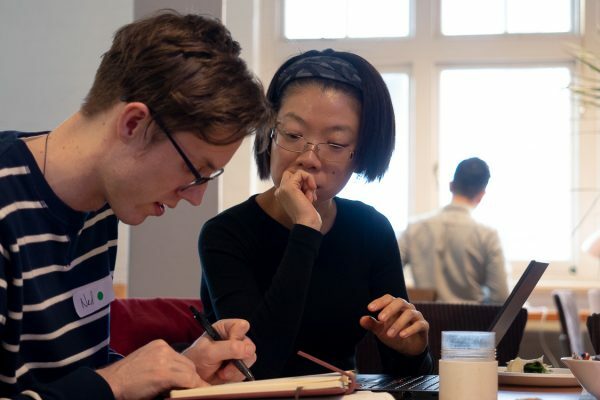 Hackathons are a great way of making significant change in a very short period of time! 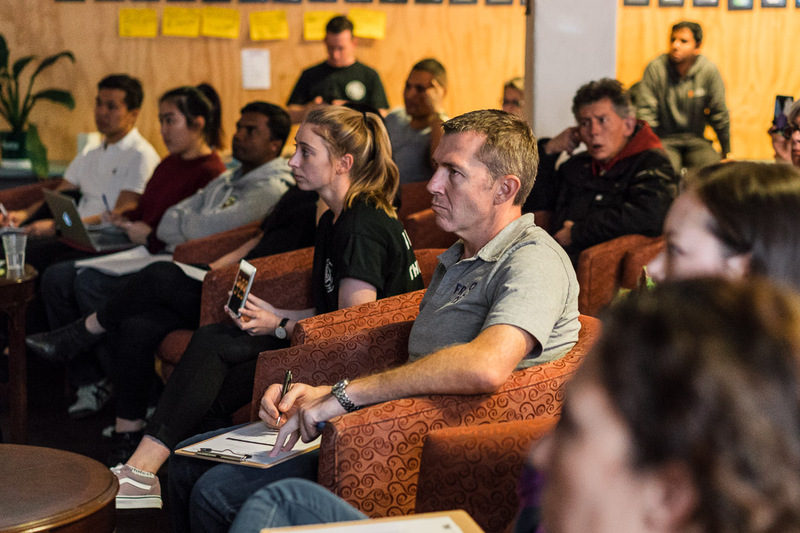 Many different corporates and community organisations can come together to share their knowledge and data for a common purpose. What was the hardest aspect of starting a project? 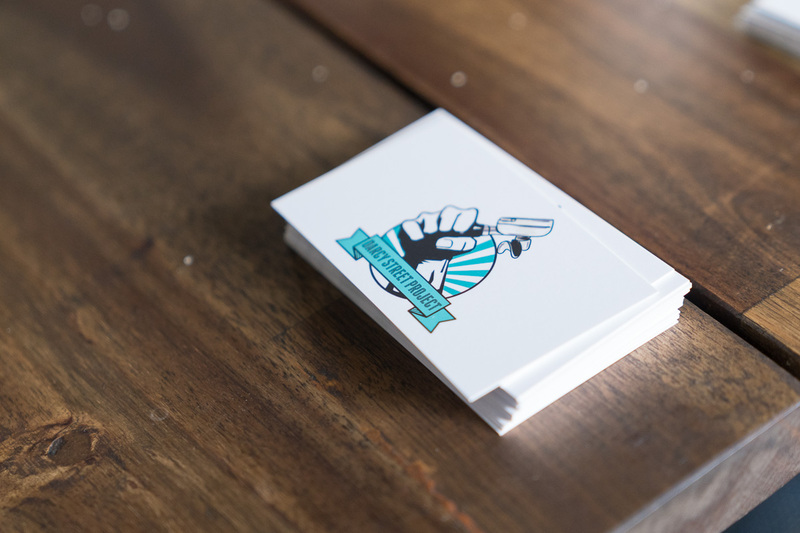 The hardest aspect of starting a project like this is getting the word out! 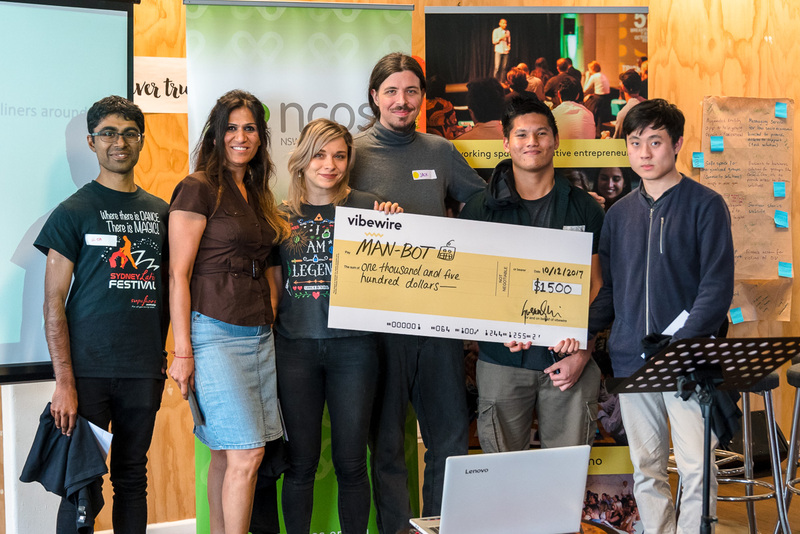 Attracting as many participants as possible and enough funding to make the event a reality. 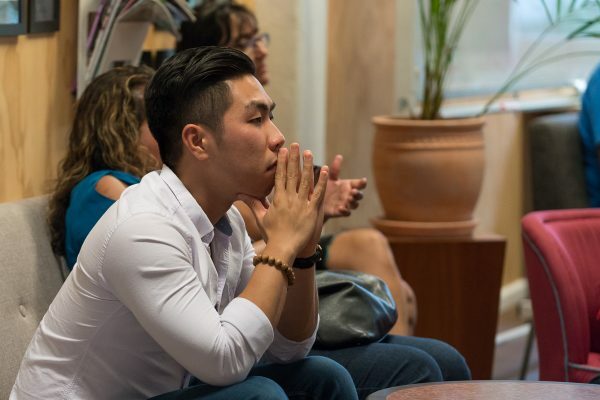 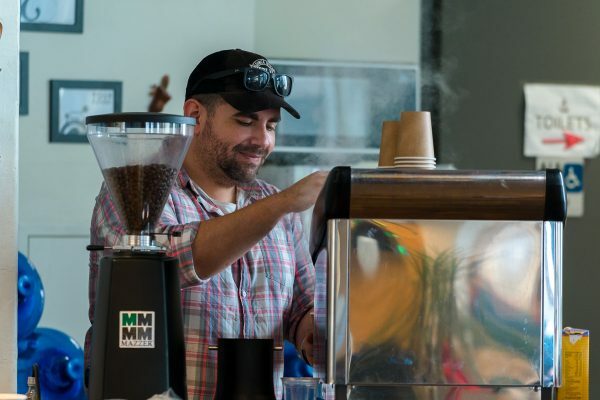 What kind of support do you think that changemakers in your community need? Mentorship and financial support e.g. grants, co-working space etc. 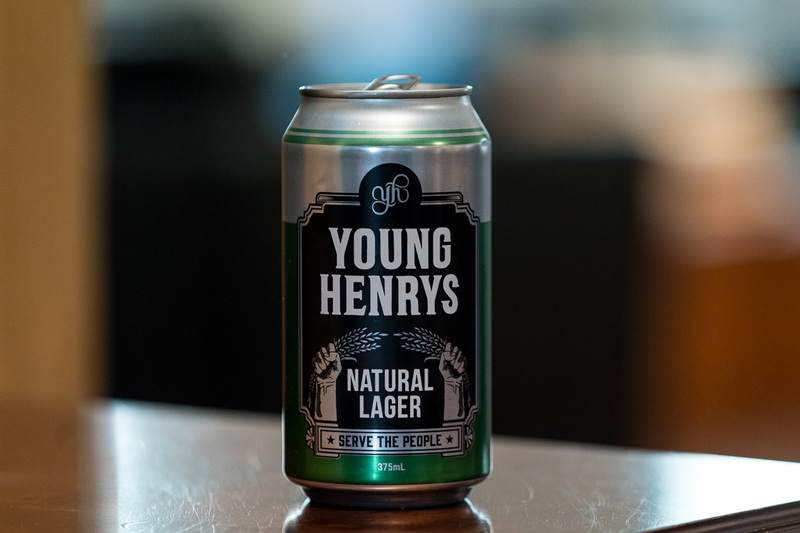 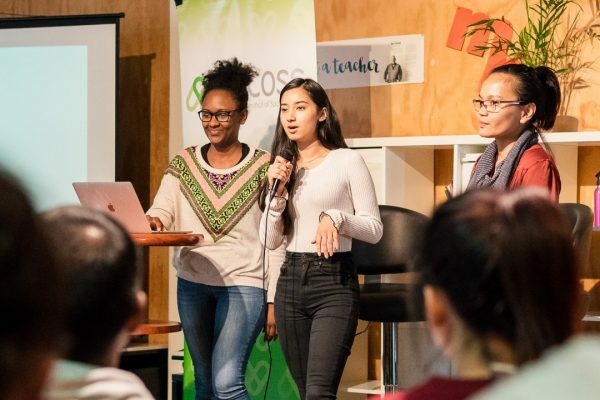 It takes a lot of work to get ideas off the ground and young people need to be connected to the right people who share their common goal and believe in their project. 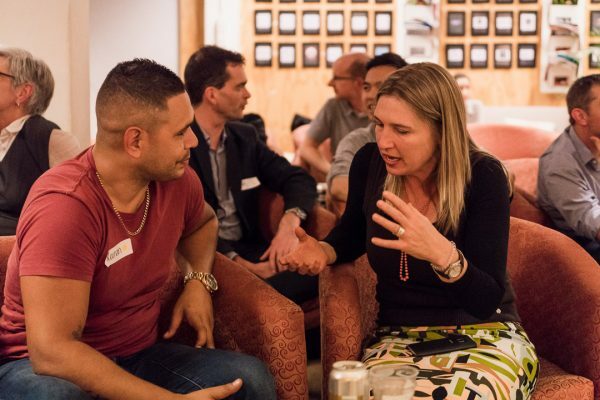 What would be your one piece of advice for people who want to make a positive impact? 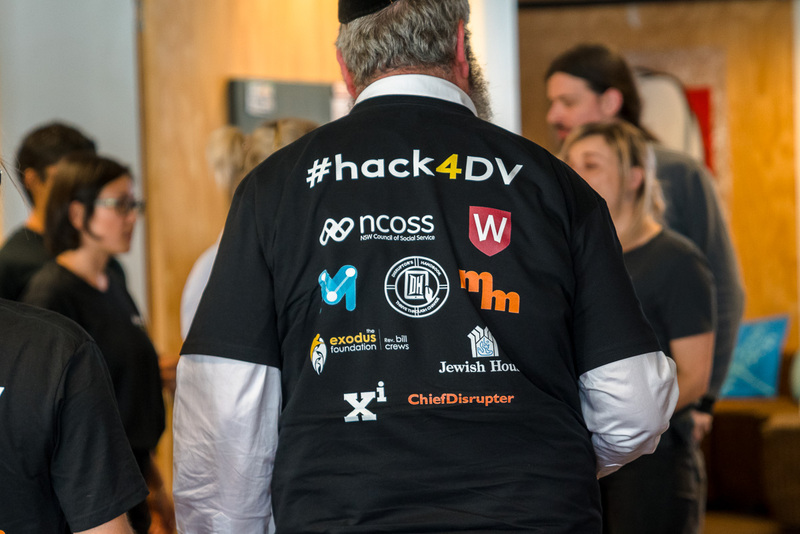 Stayed tuned for results from the #Hack4DV !! 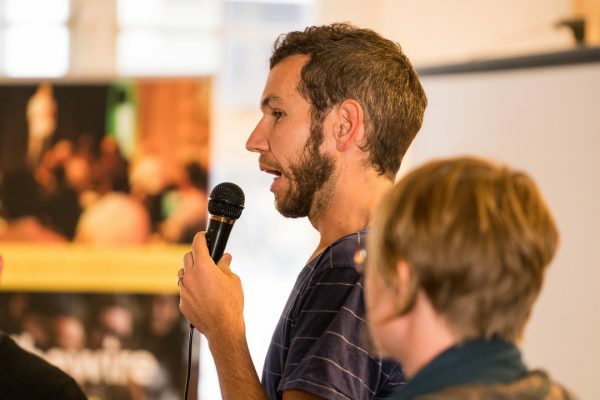 Introducing Jon Westenberg who will be attending this weekends #Hack4DV (8-10 December) in a mentorship capacity. Jon is the Chief Marketing Officer at Speedlancer Inc. and has shared his own personal childhood DV experience with us in the video interview below. Limited spots are left to help us on our mission to solve for Domestic Violence at #Hack4DV but not too late to register and bring your ideas to the Hack starting tonight! 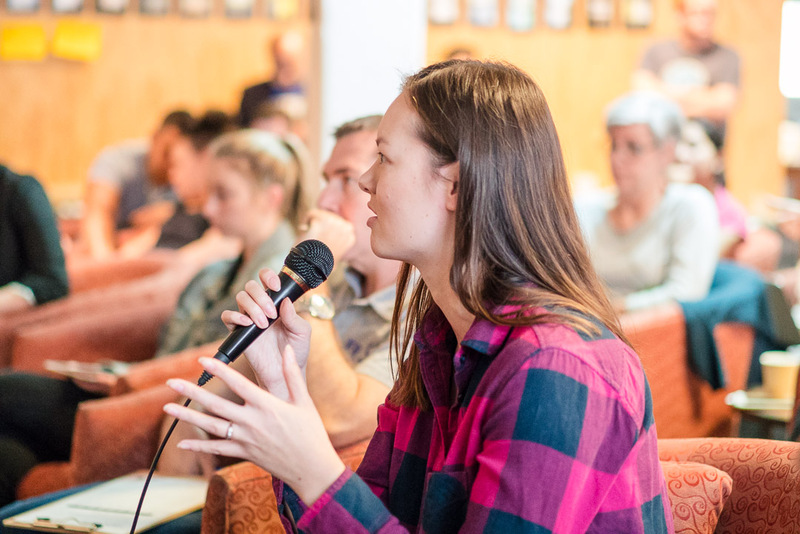 Register here now and let’s confront this challenging issue together! 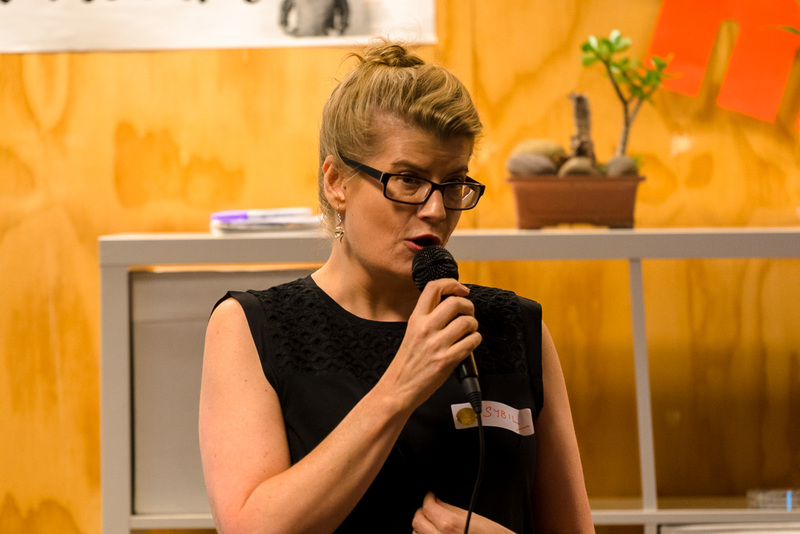 Introducing Sybil Williams who will be attending this weekends #Hack4DV (8-10 December) in a mentorship capacity. Sybil is the Founder of Strategic Marketing Consultancy Atomic Tangerine and has shared her own childhood experience with us in the video interview below. Limited spots are left to help us on our mission to solve for Domestic Violence at #Hack4DV but not too late to register and bring your ideas to the Hack starting tomorrow night. 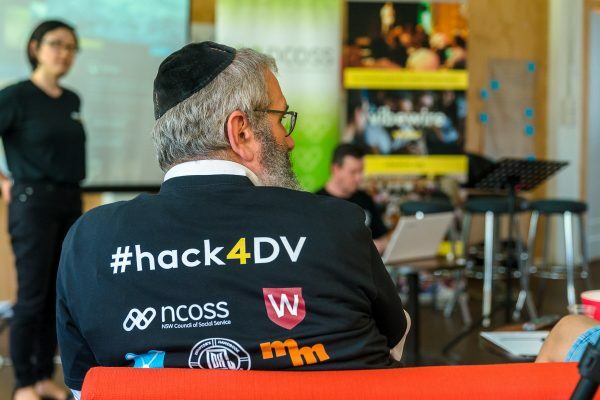 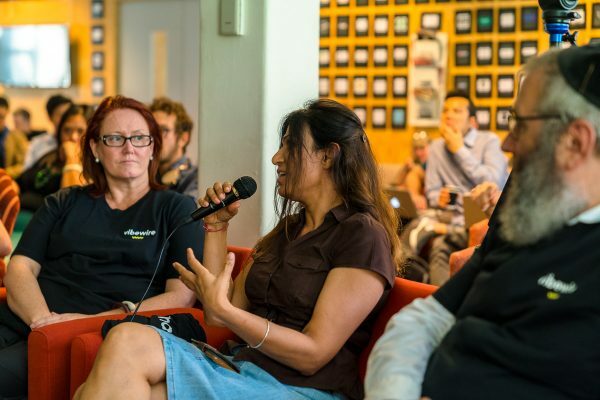 Simi Bajaj will be on the #Hack4DV judging panel this weekend (8-10 December). 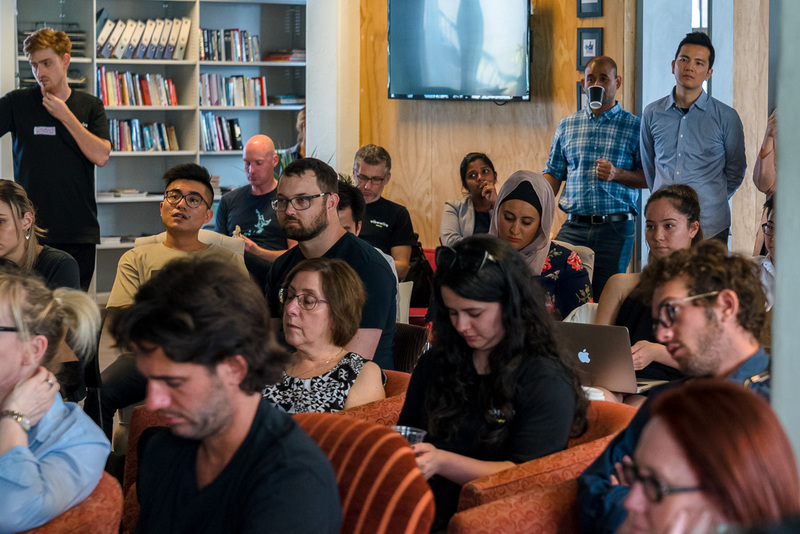 Simi is the Academic Course Advisor (Information Systems program) in the School of Computing, Engineering and Mathematics at Western Sydney university. 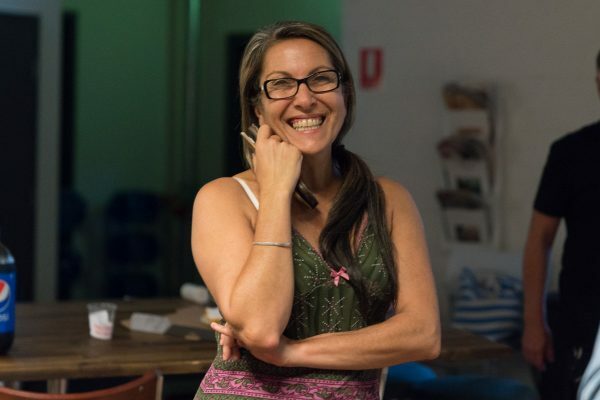 Simi has been working in the area of DV actively from last 5 years supporting women primarily facing the challenges of DV. She is the DV coordinator for a charity organisation called Harman Foundation. 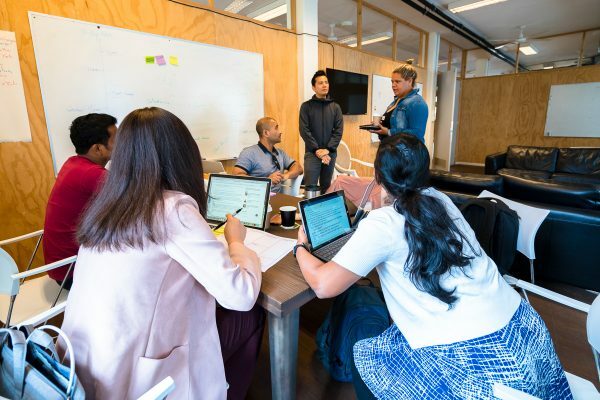 Simi has specialised in SDLC, Project Management, Test Strategy, Test Planning, Test Design, Test Execution, Defect Management, Test Management, Process Management and Implementation since 2004 and has a wealth of experience in all areas of the project and product life cycle and testing working with numerous industry sectors. 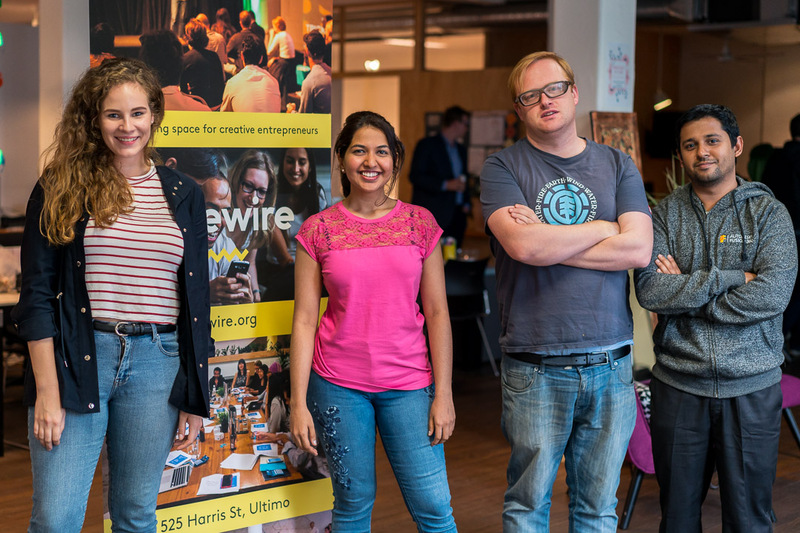 Simi has been doing research in the areas of Software Development, Software Testing, Information systems, Cybercrime, Phishing and Information Security. She has also acted as session chair in conference and published papers in local and mostly in International conferences. 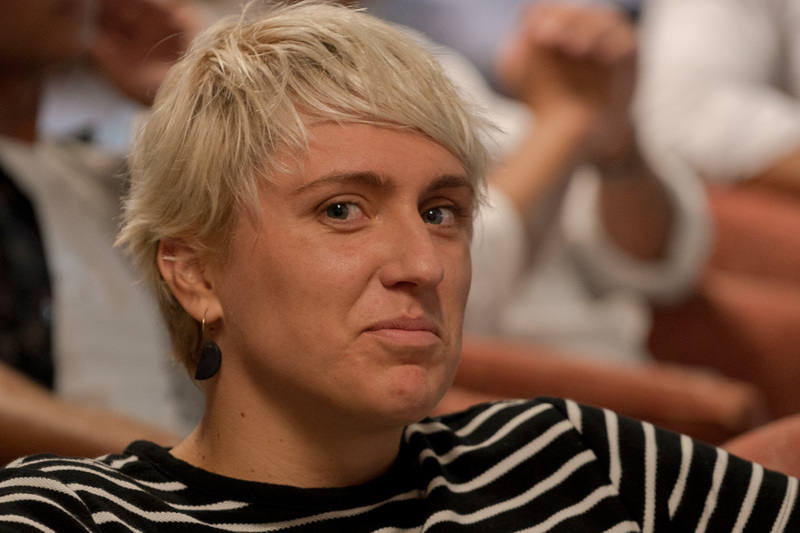 She has been reviewing papers for conferences and journals since 2004. 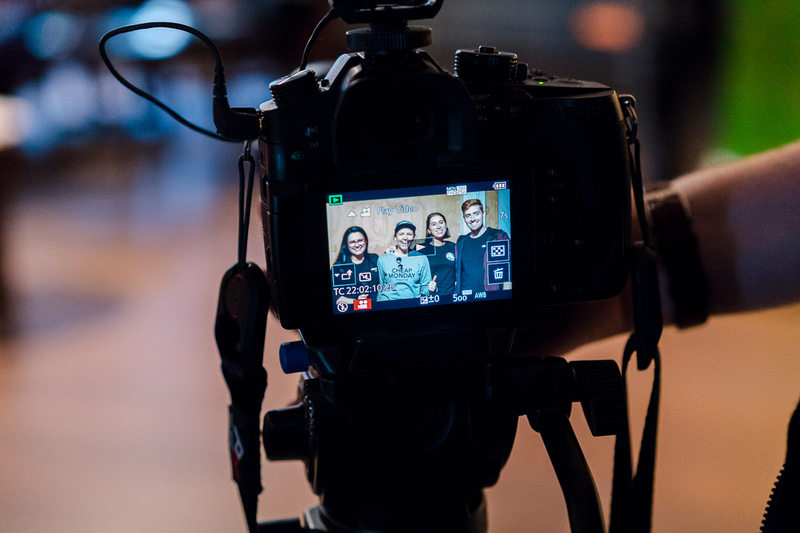 Learn more about Simi in the video interview below! 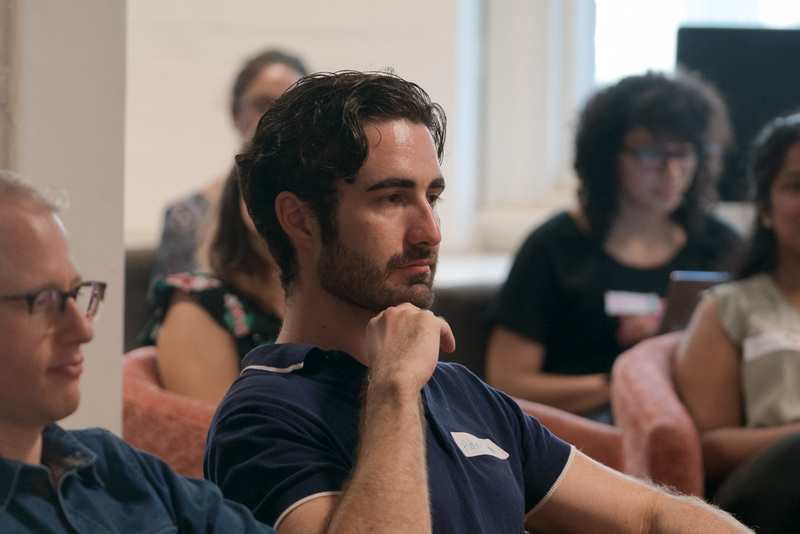 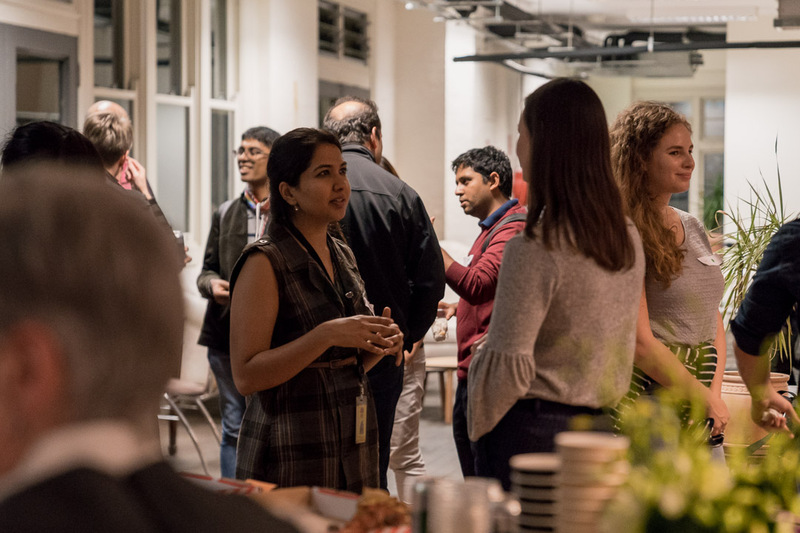 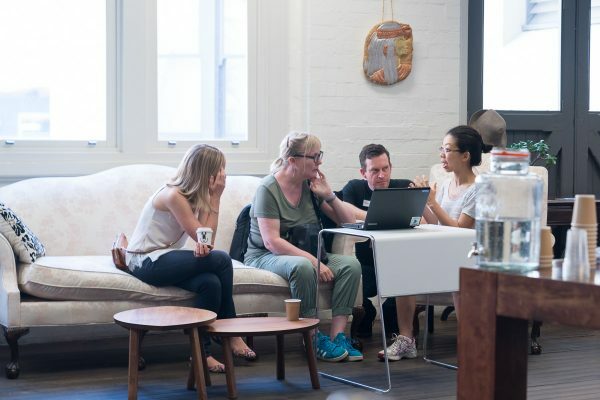 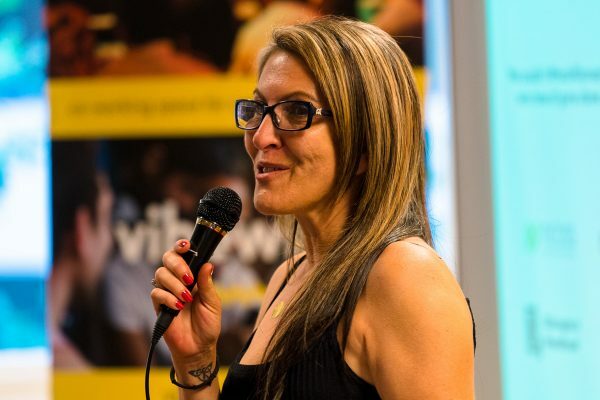 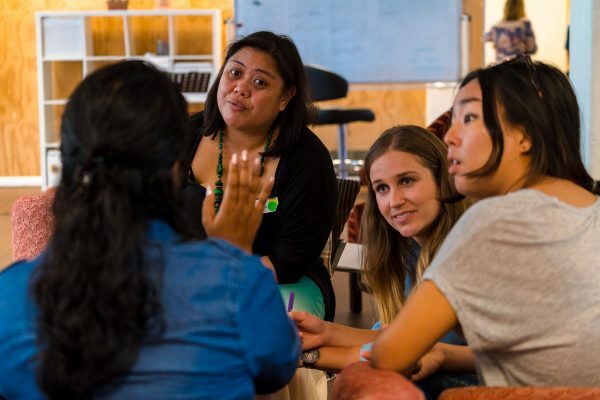 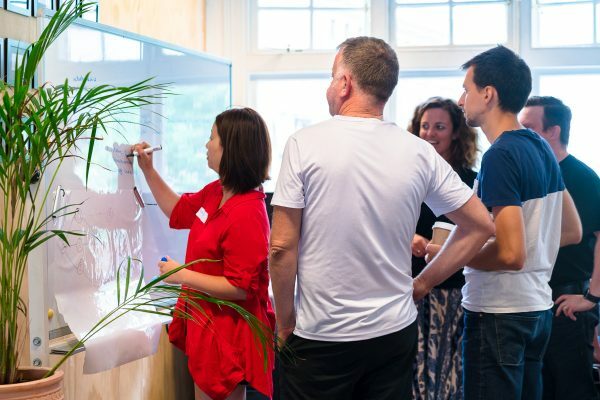 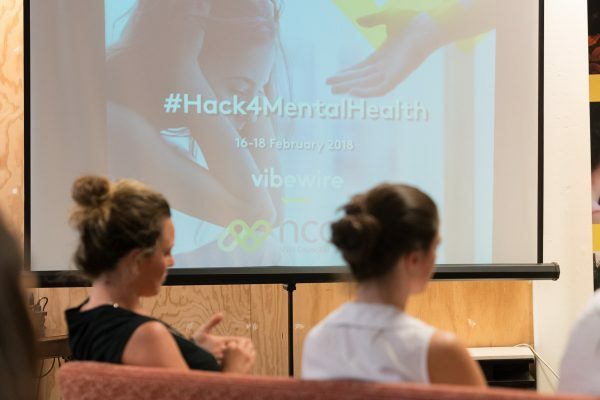 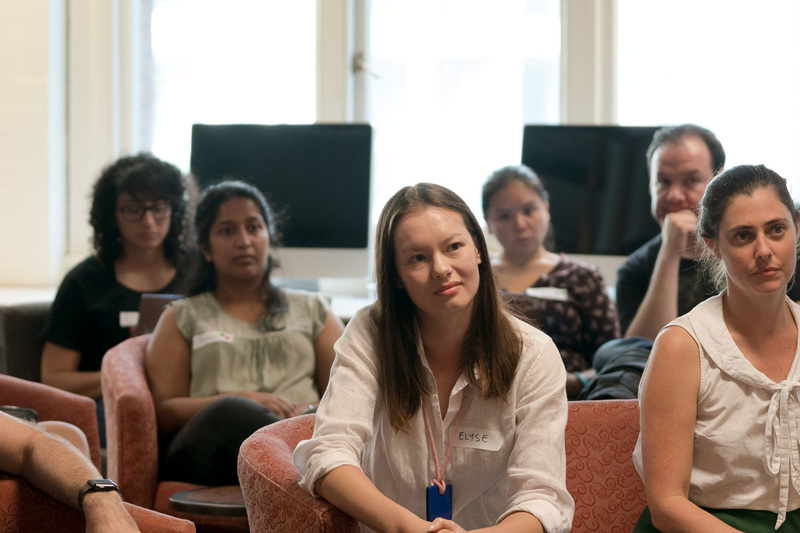 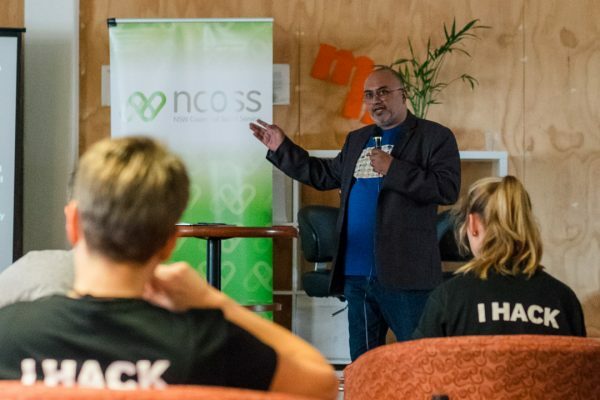 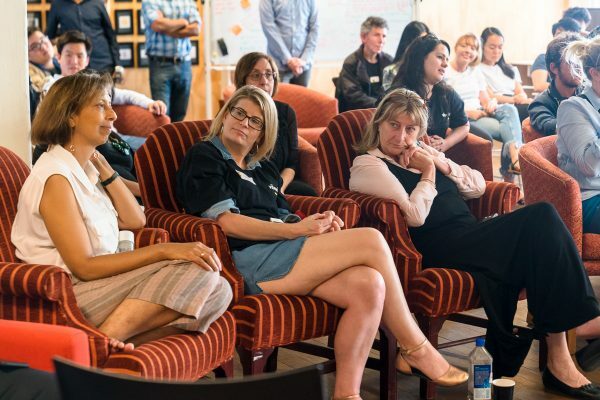 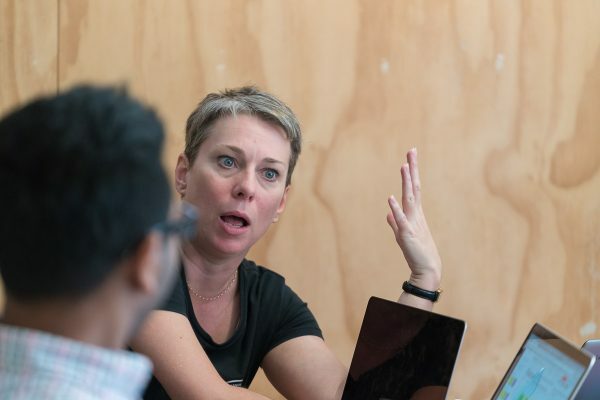 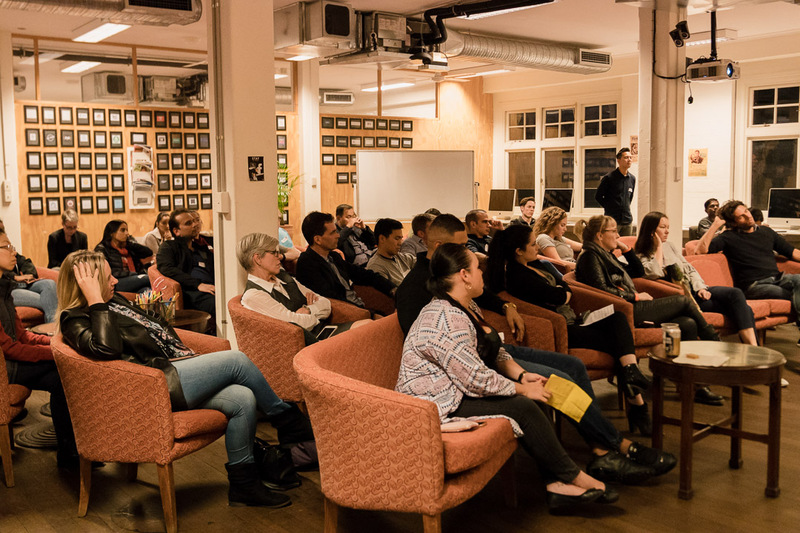 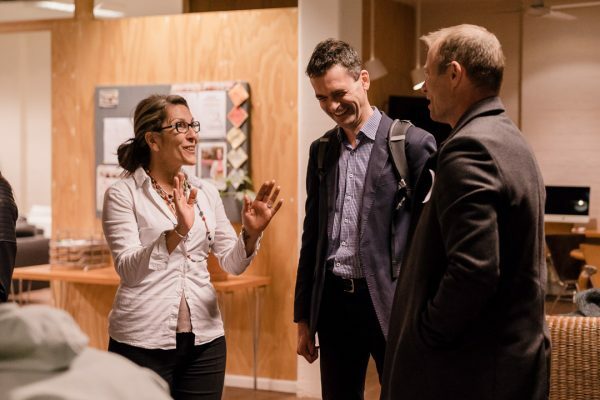 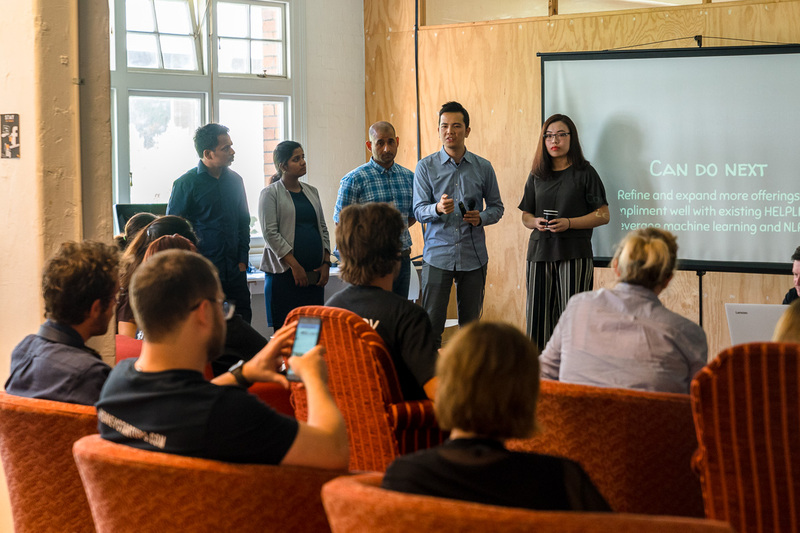 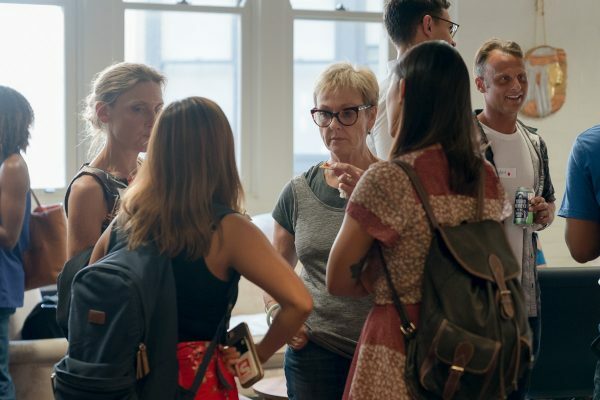 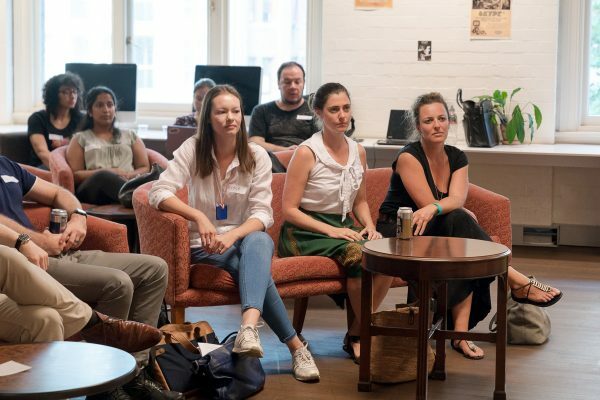 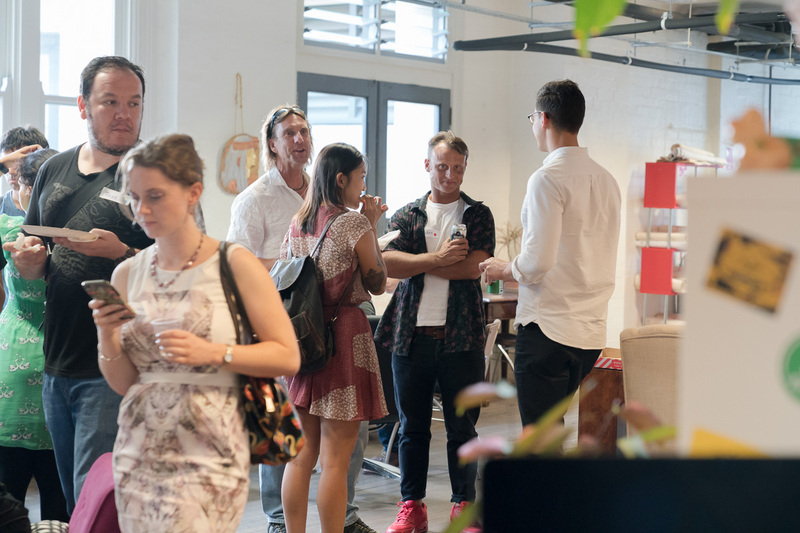 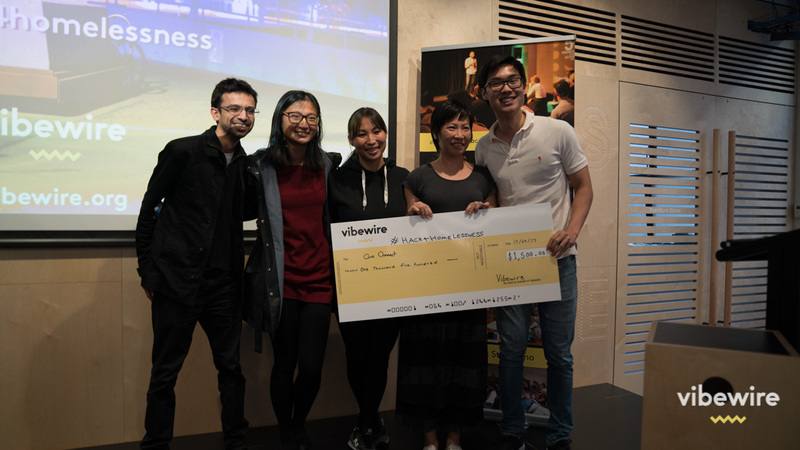 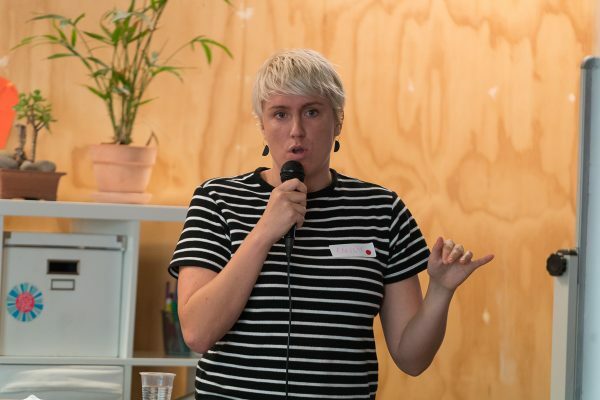 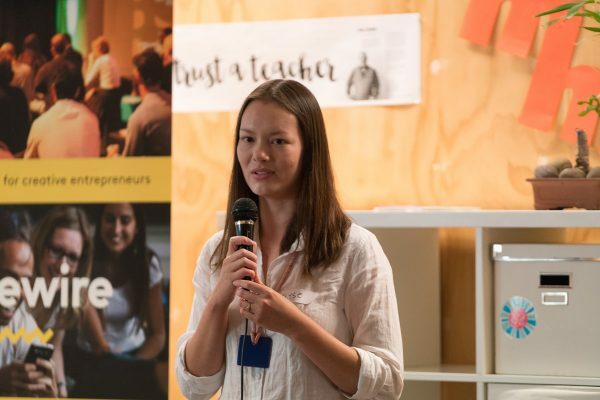 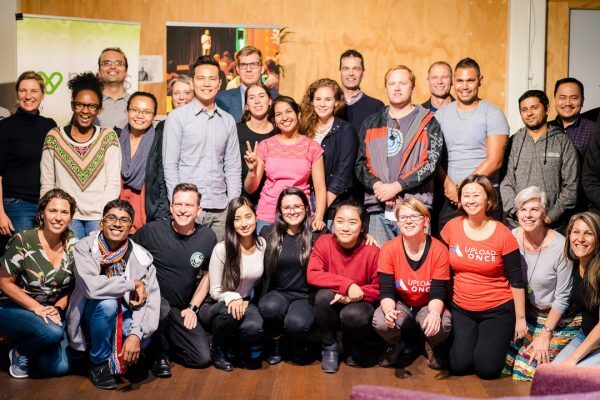 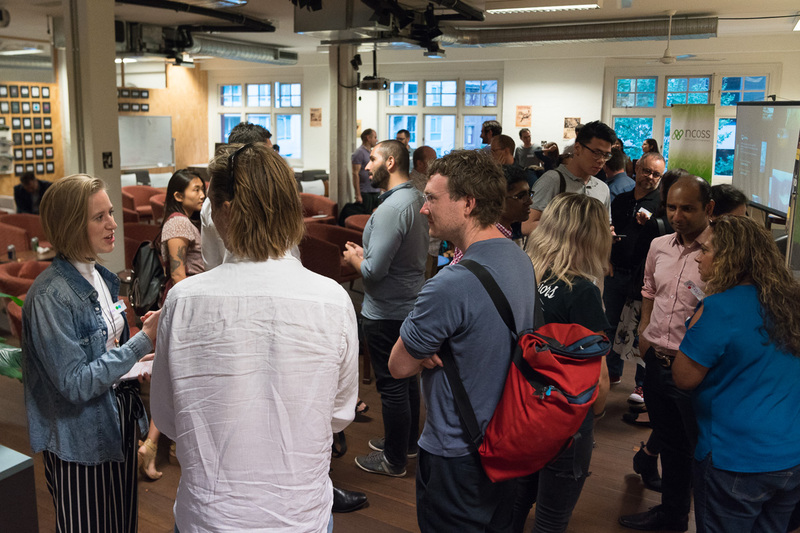 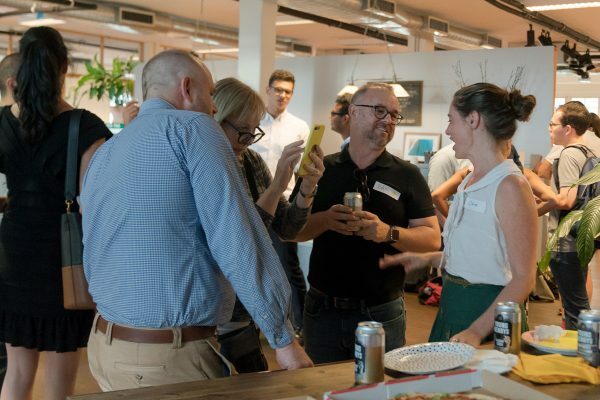 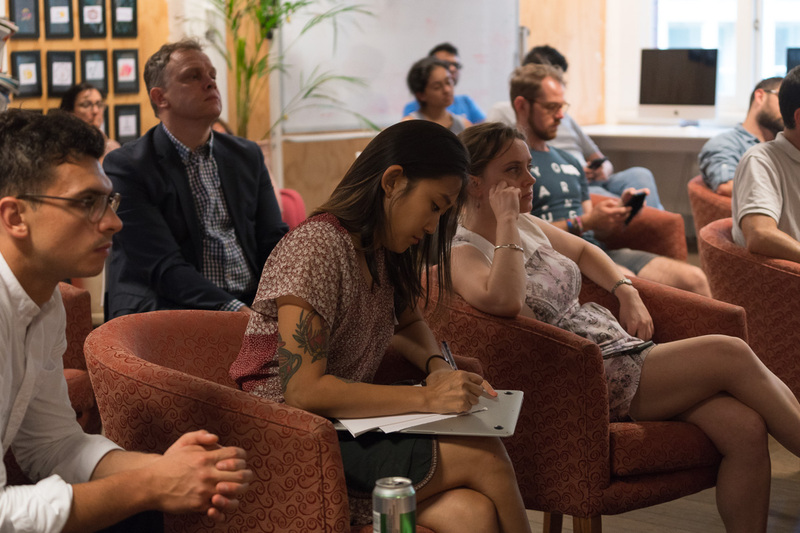 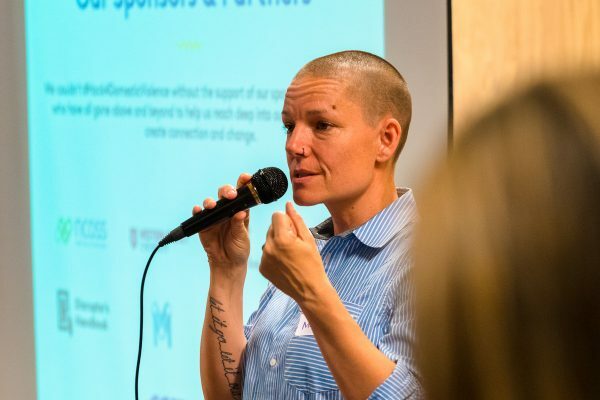 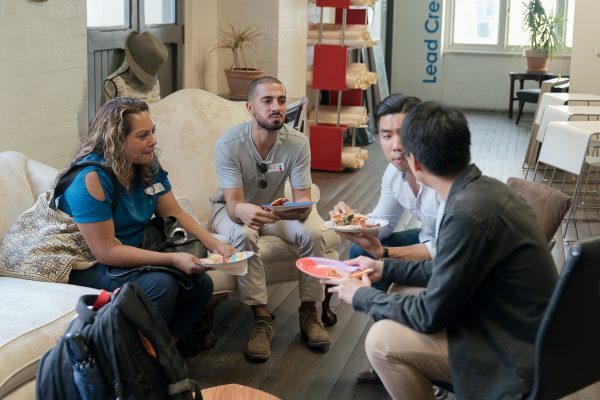 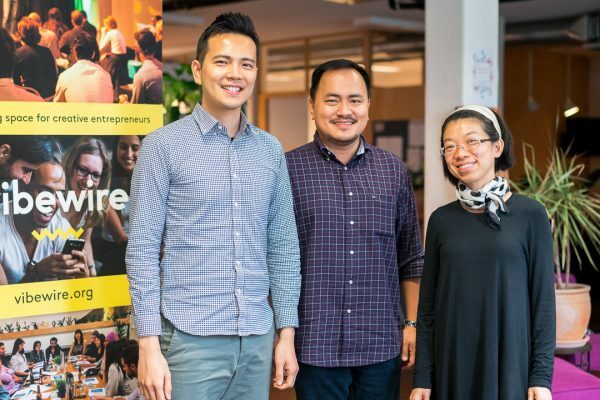 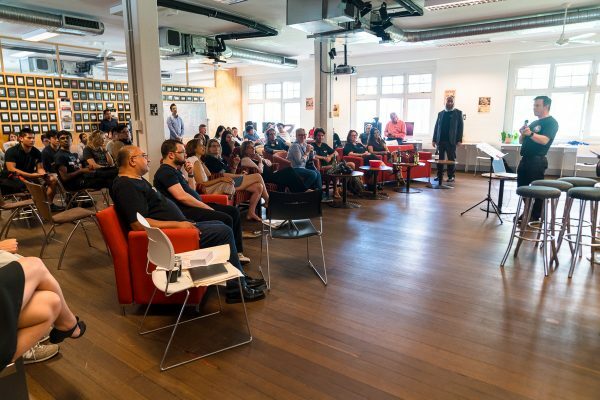 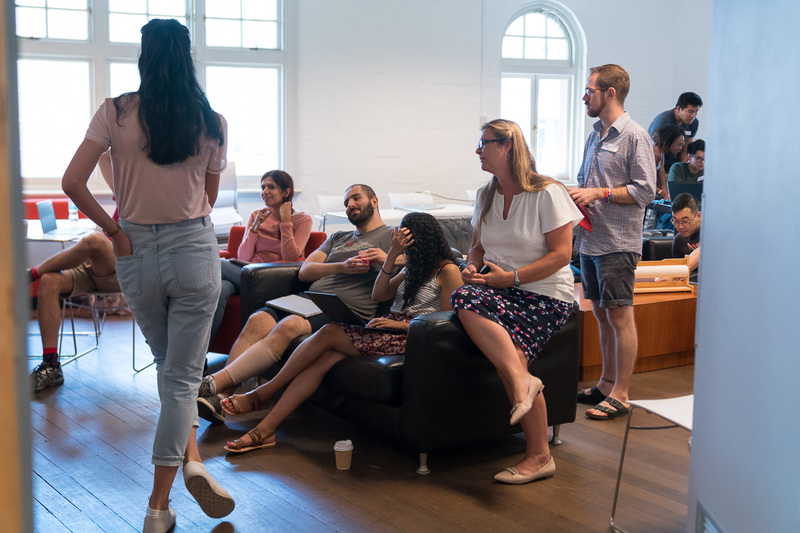 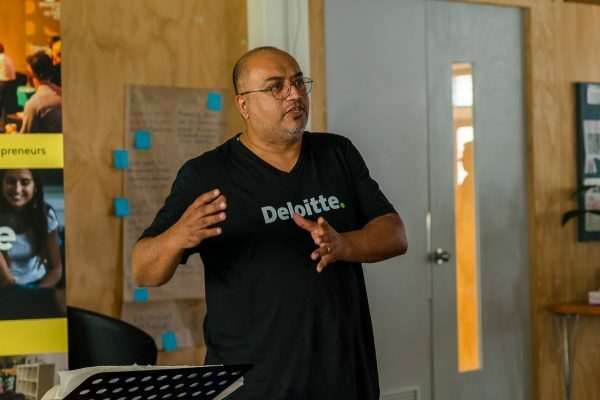 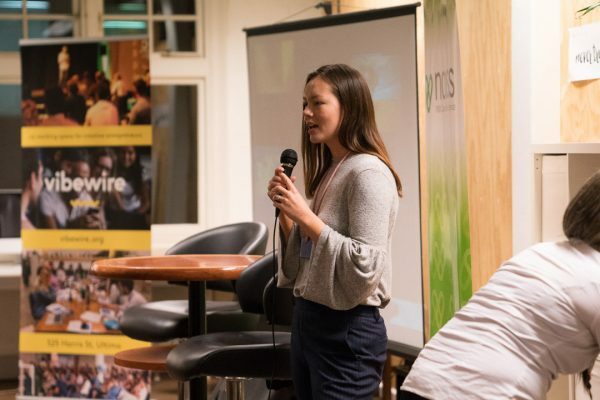 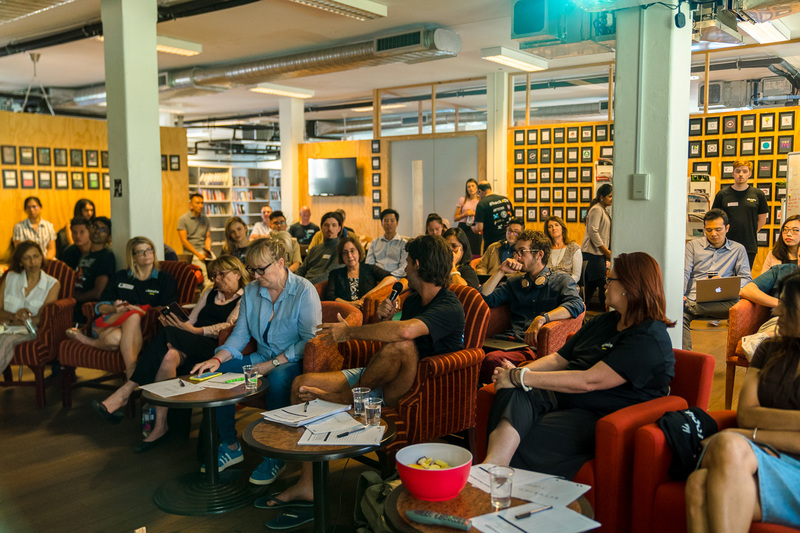 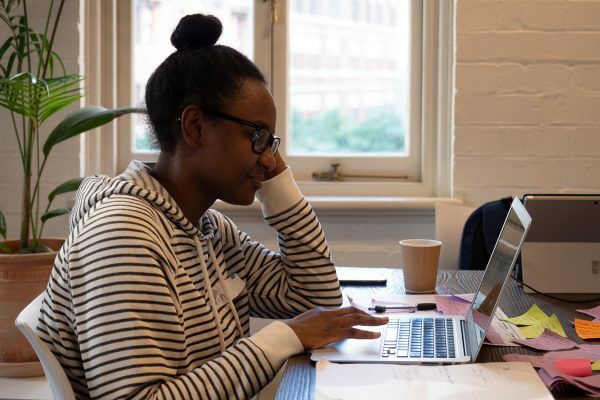 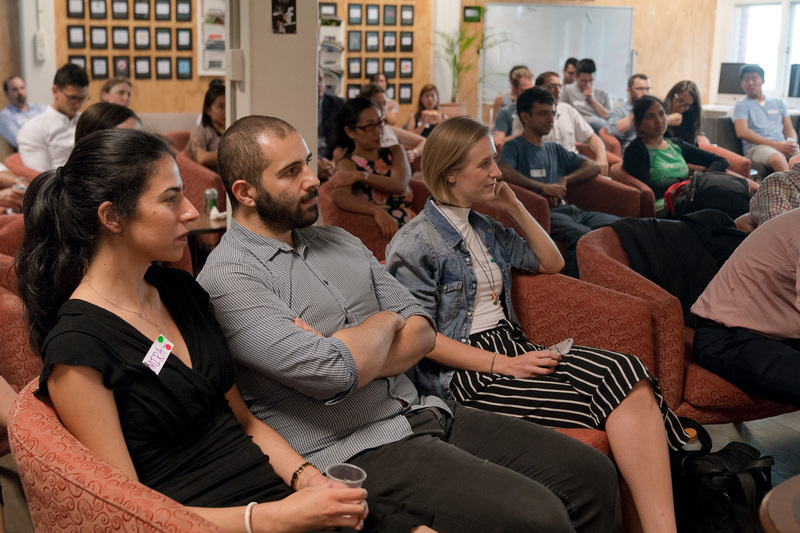 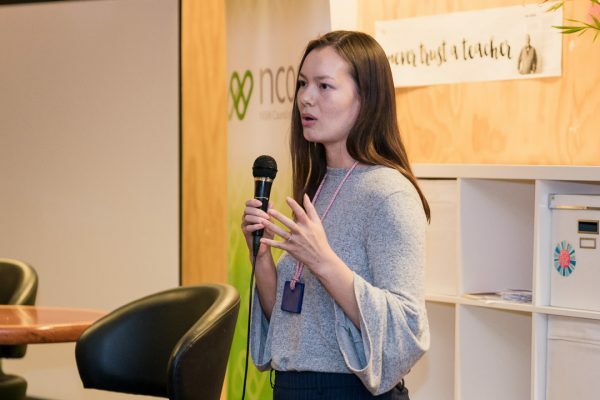 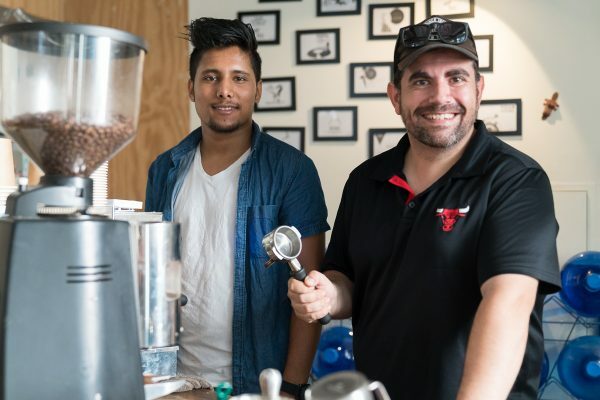 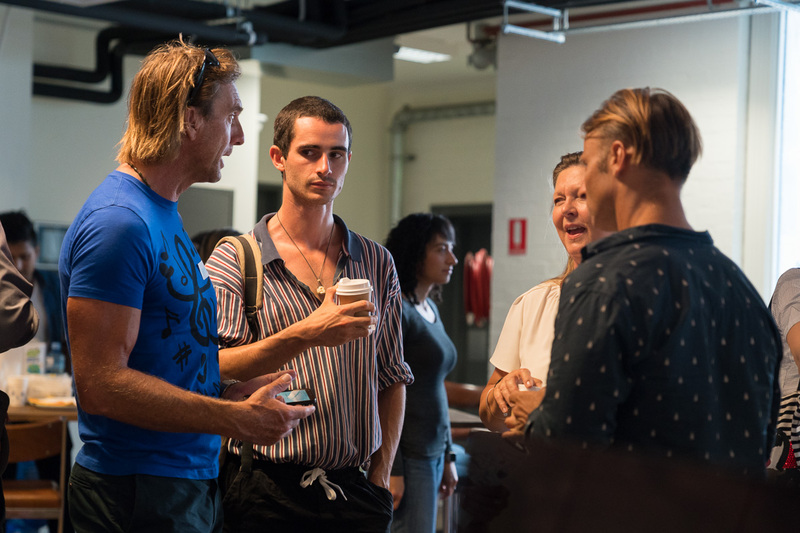 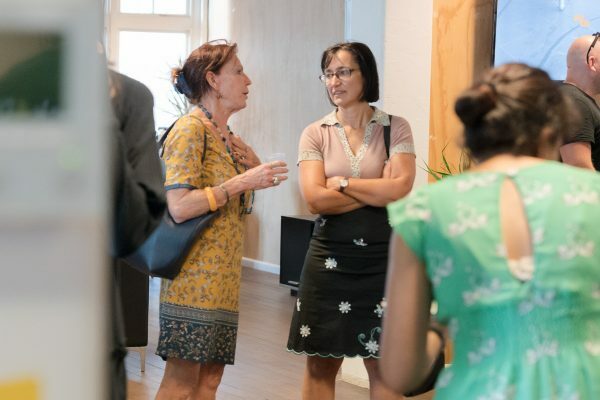 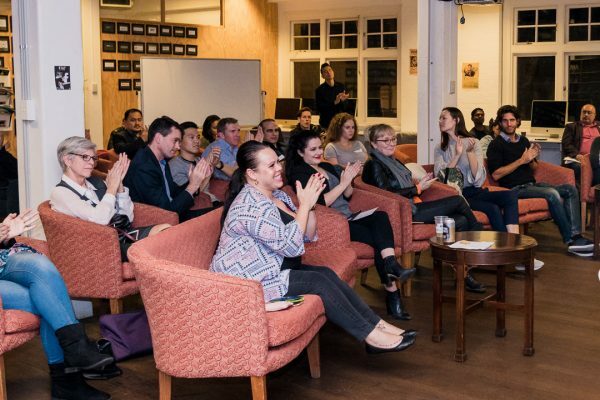 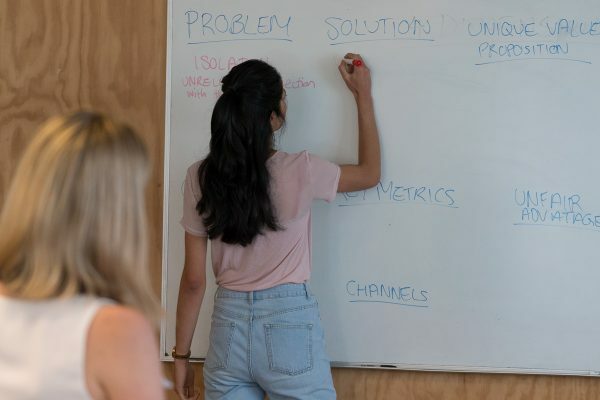 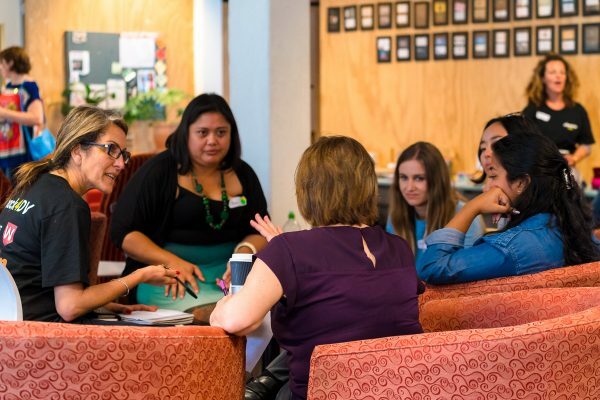 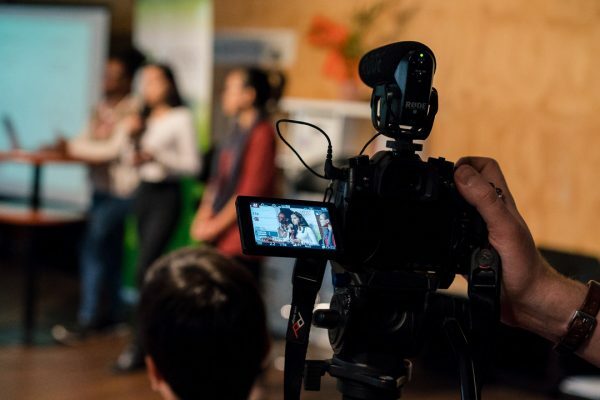 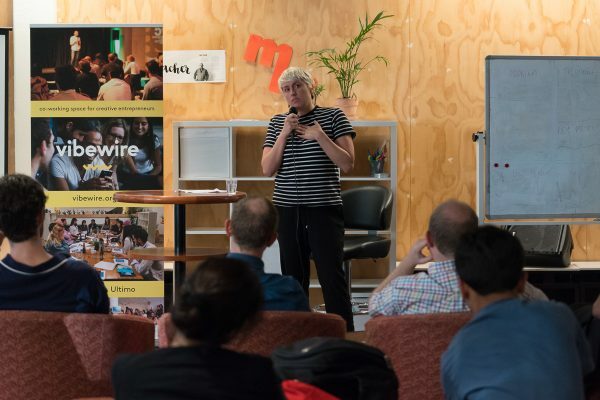 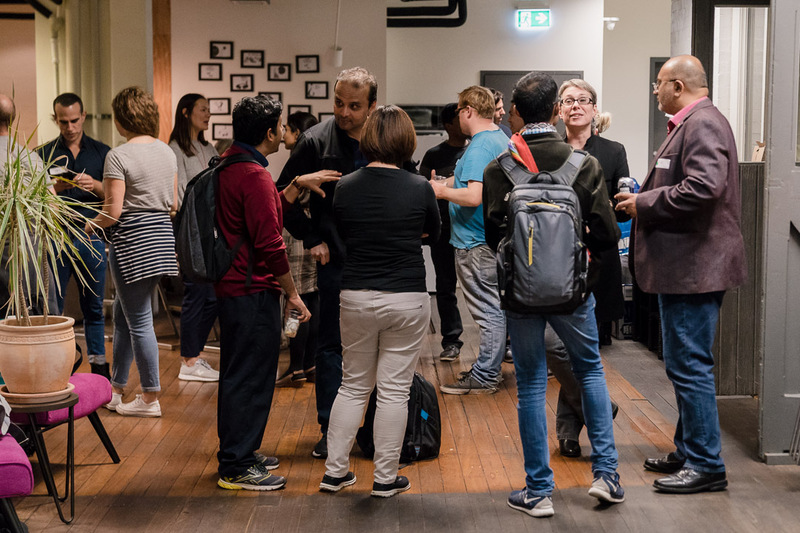 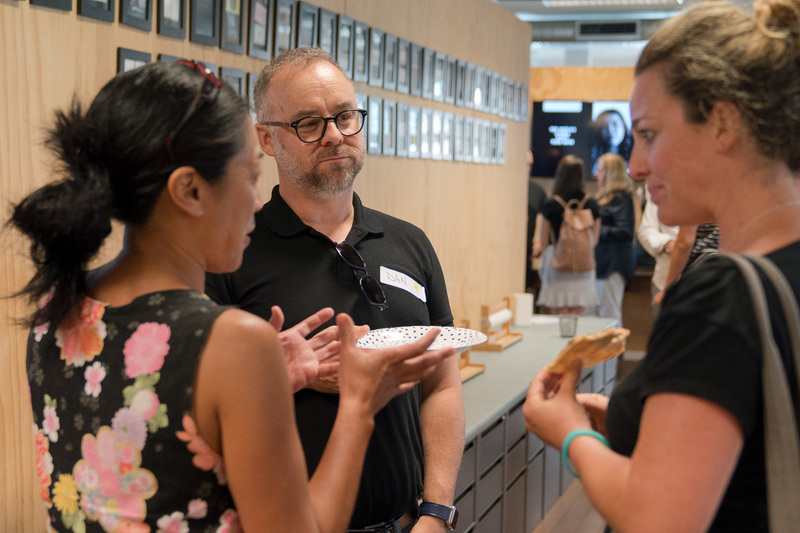 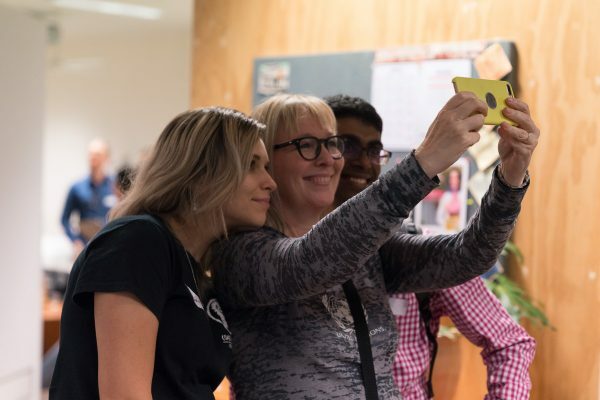 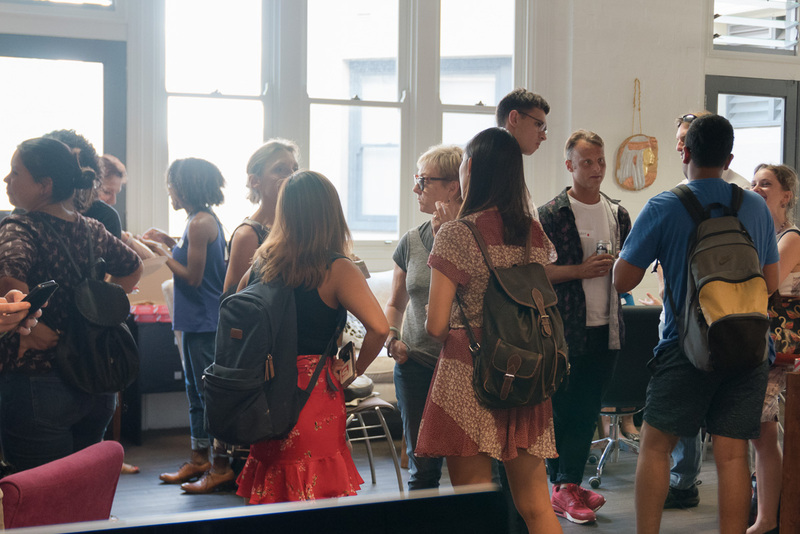 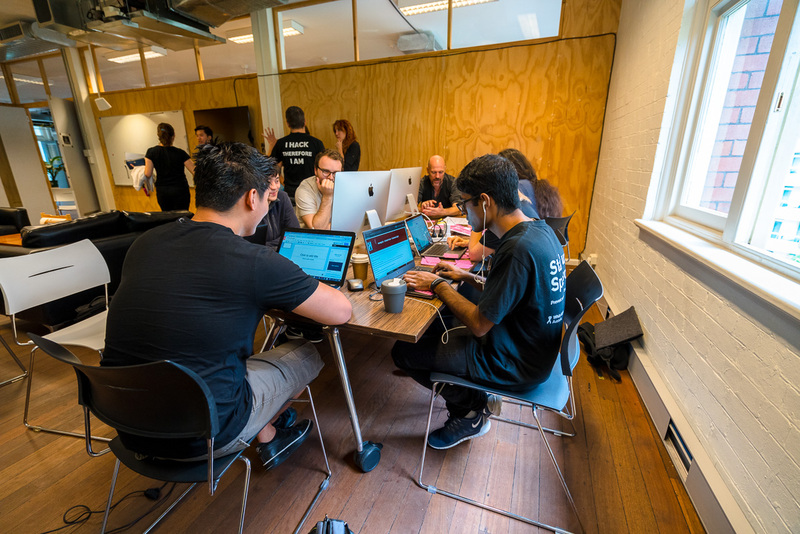 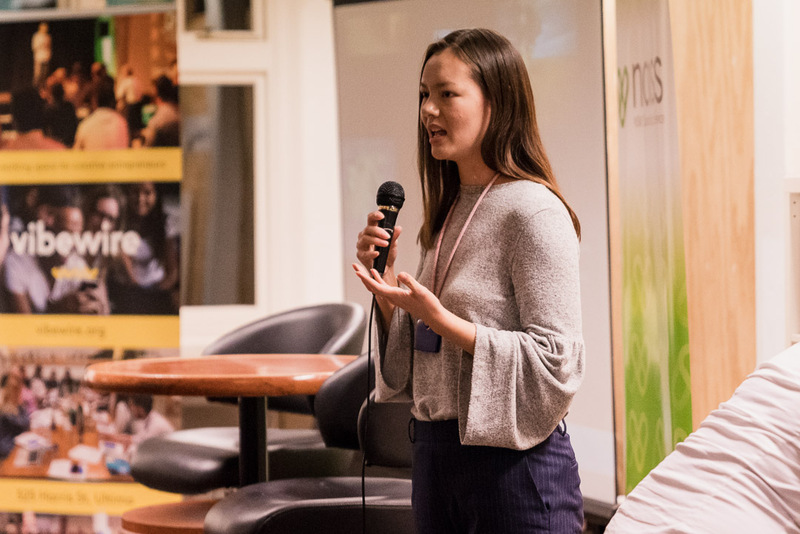 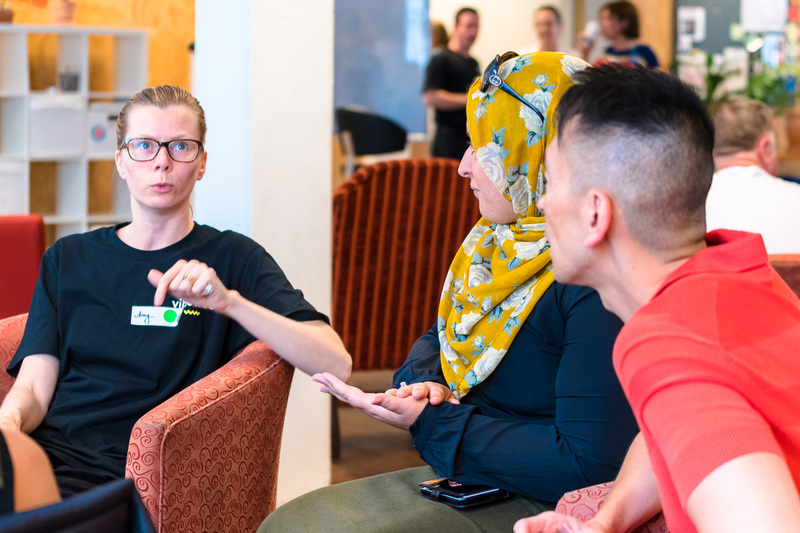 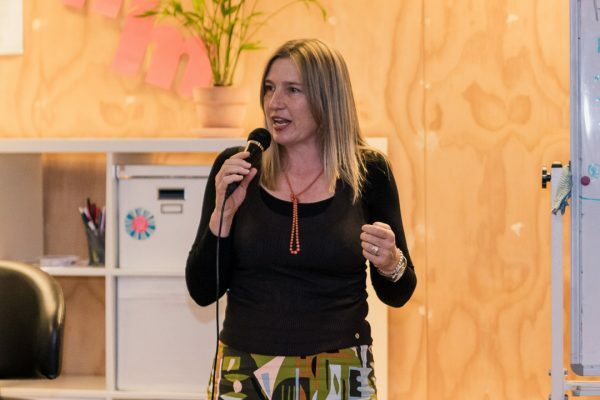 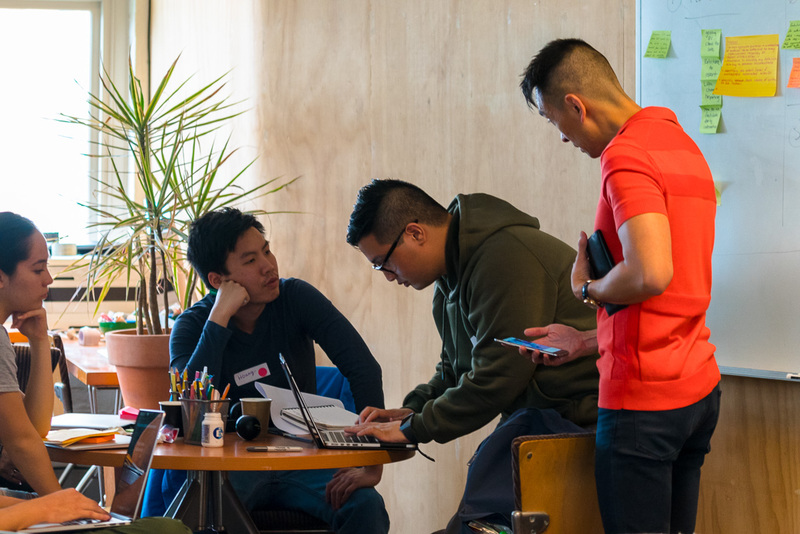 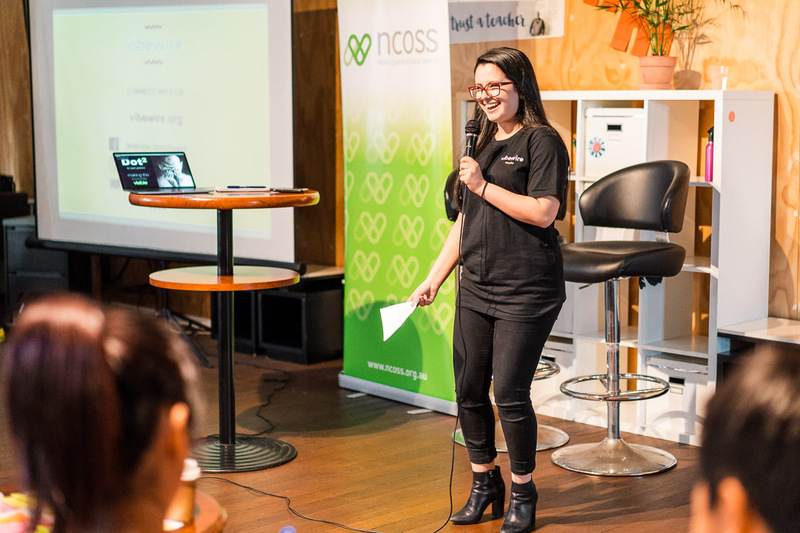 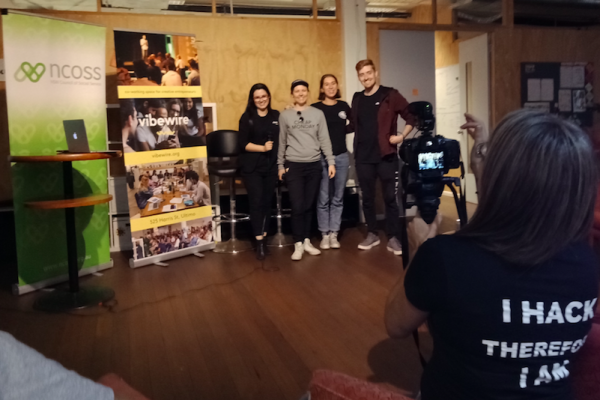 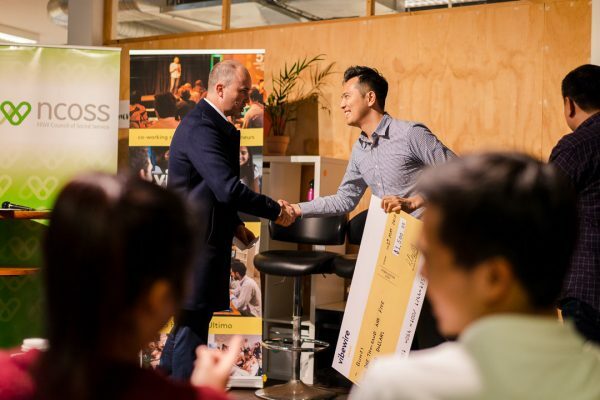 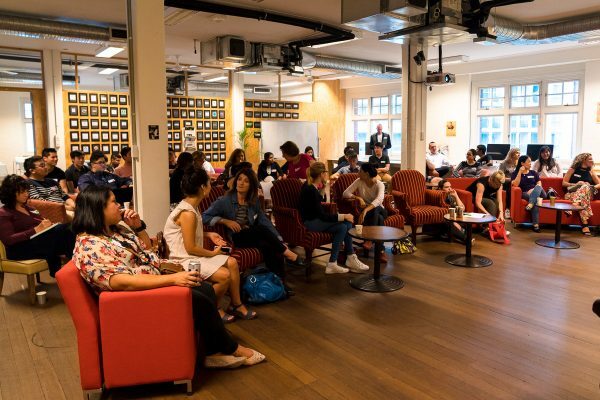 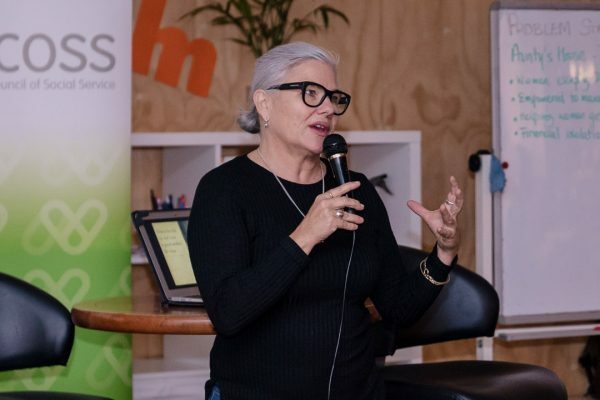 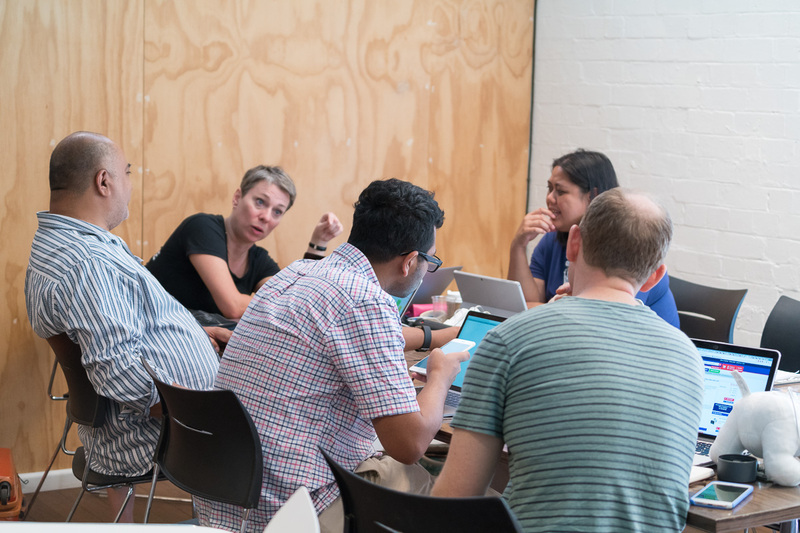 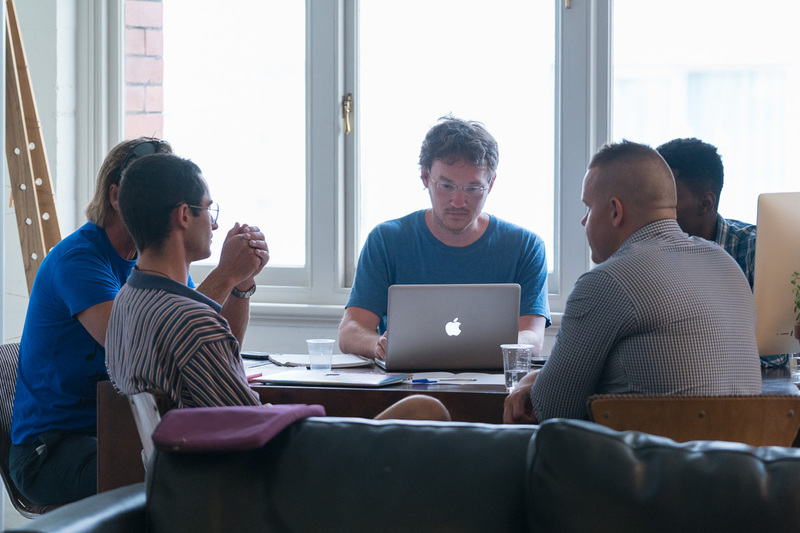 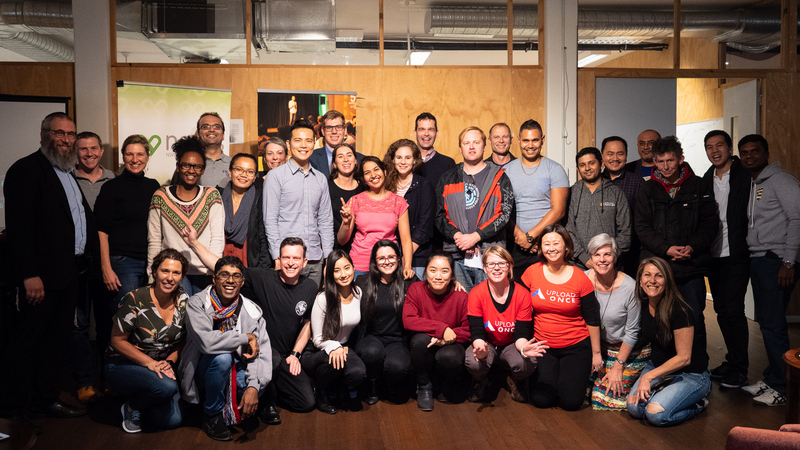 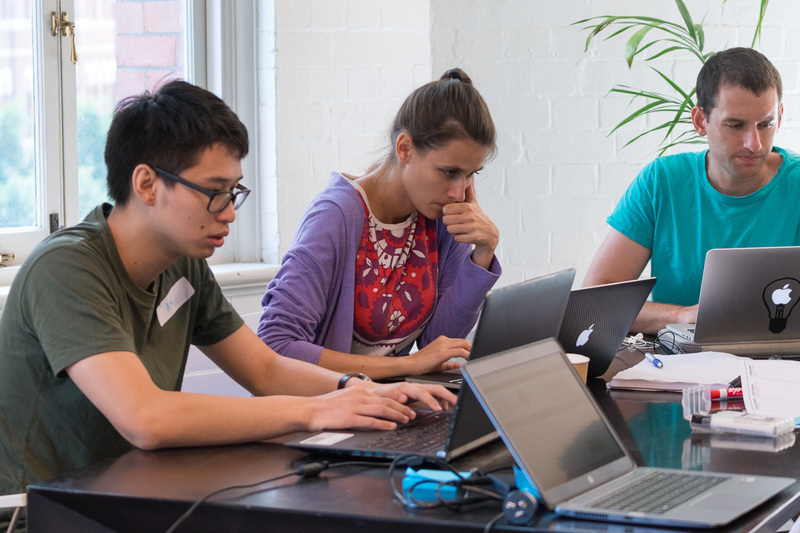 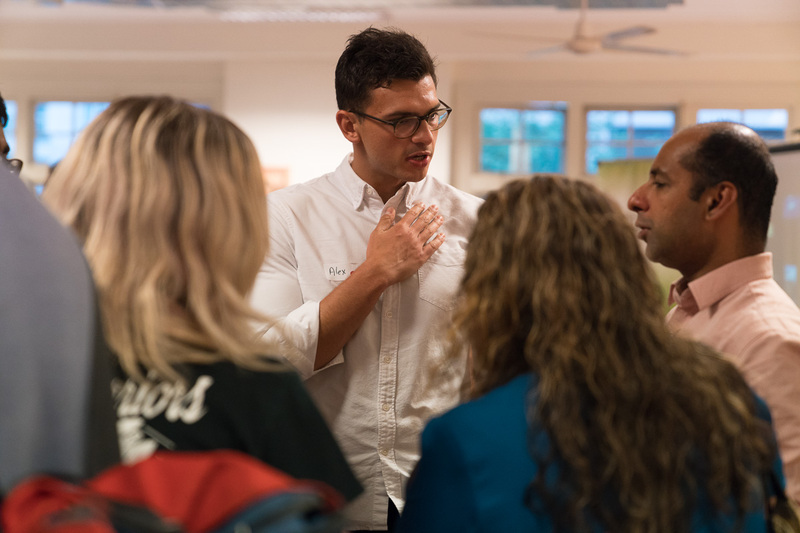 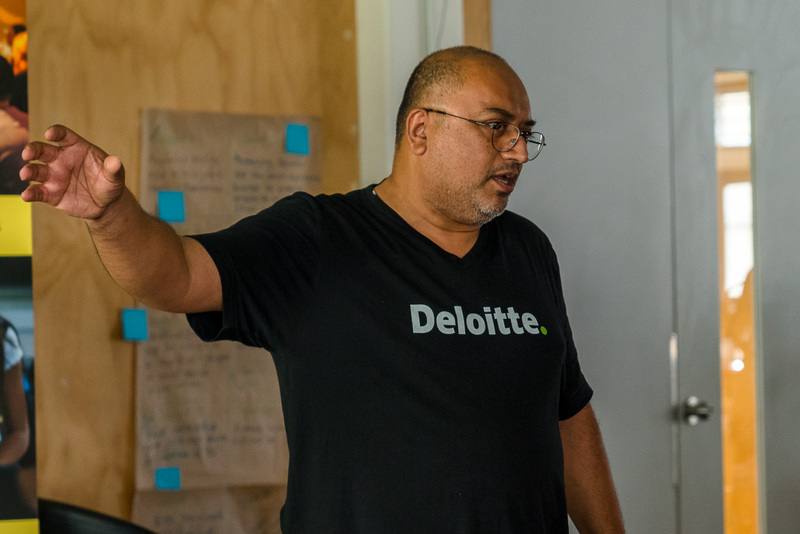 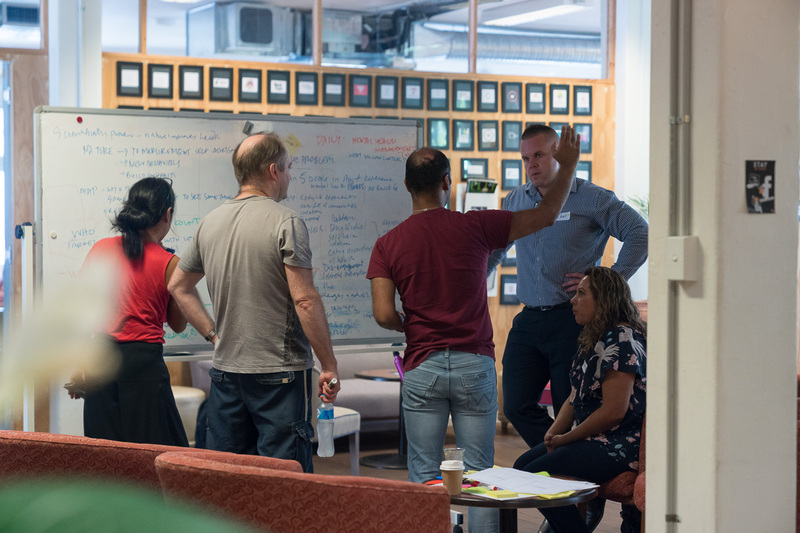 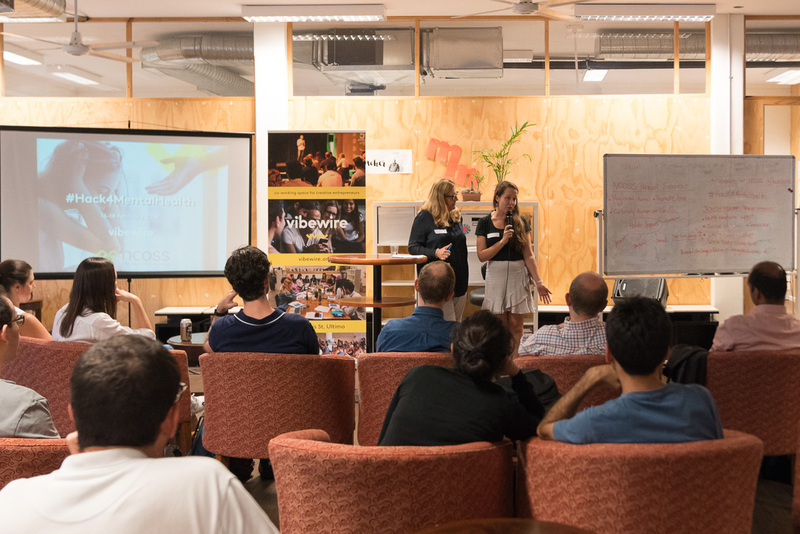 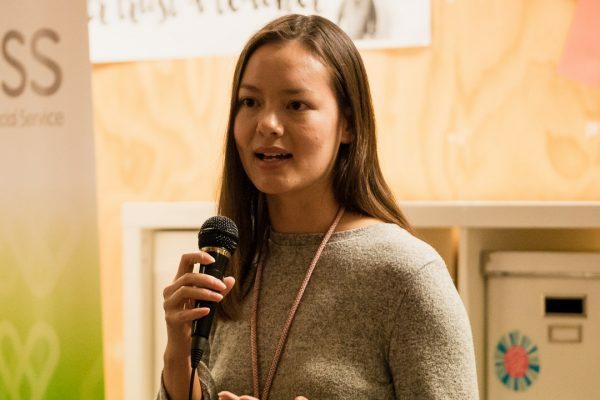 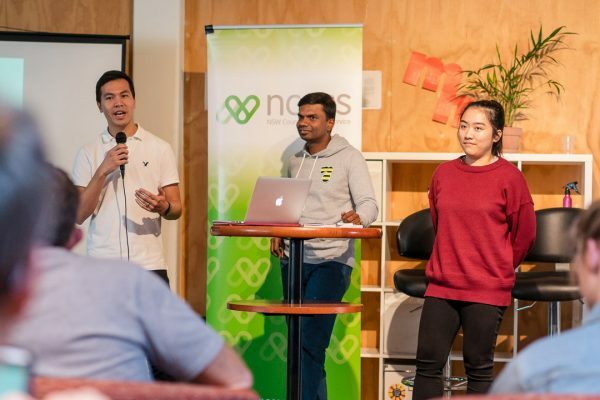 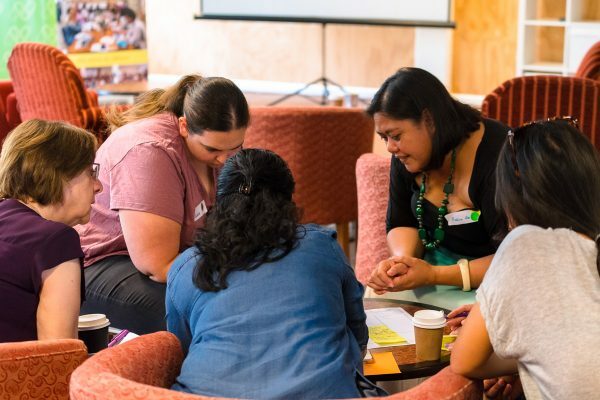 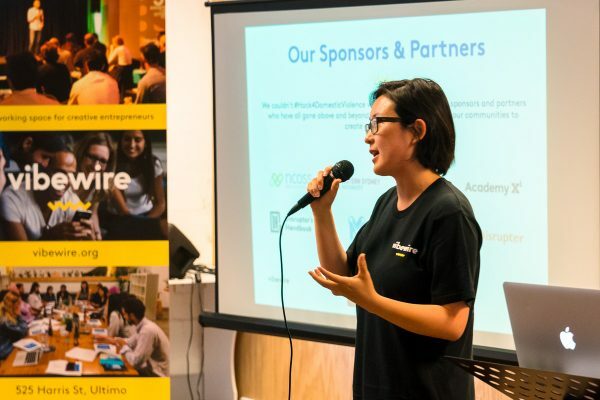 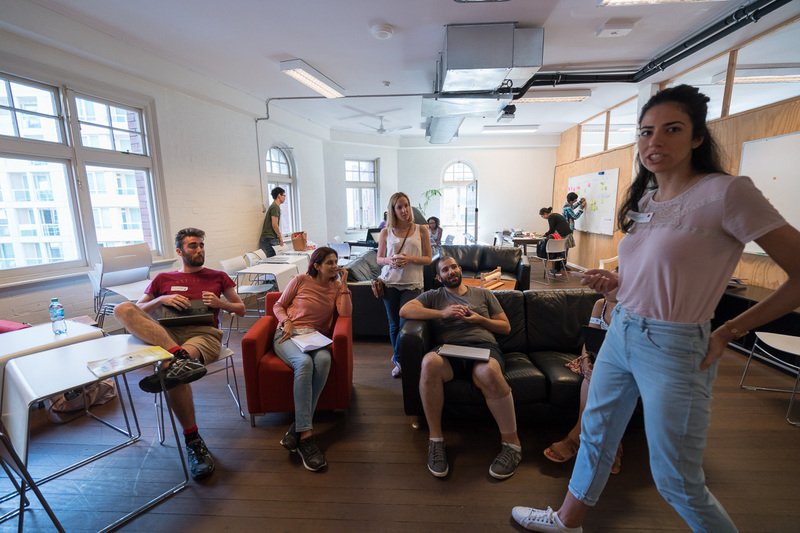 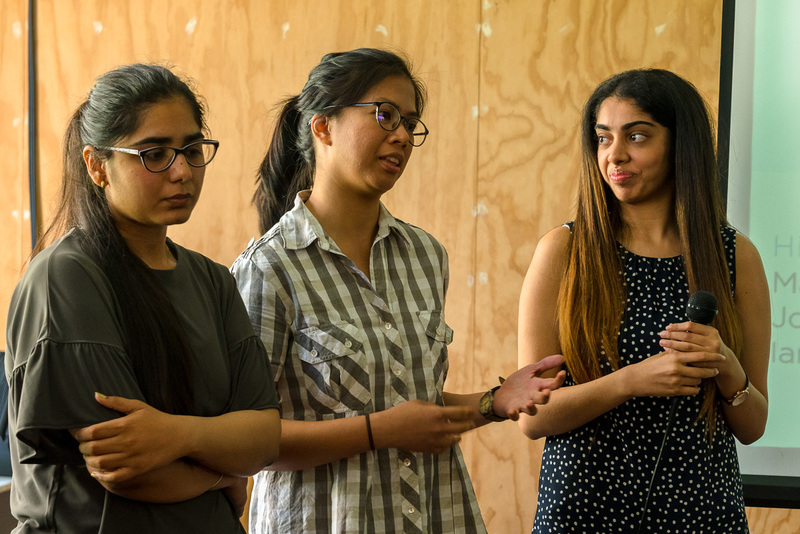 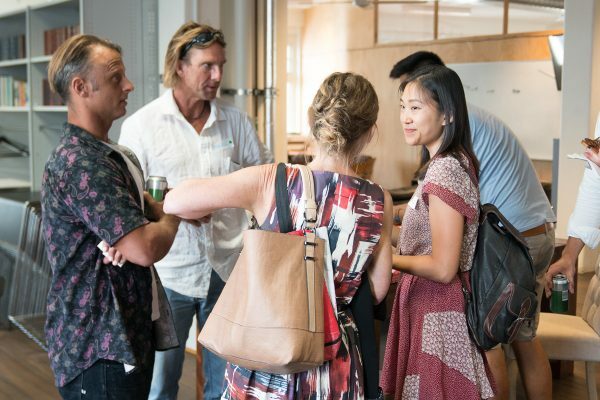 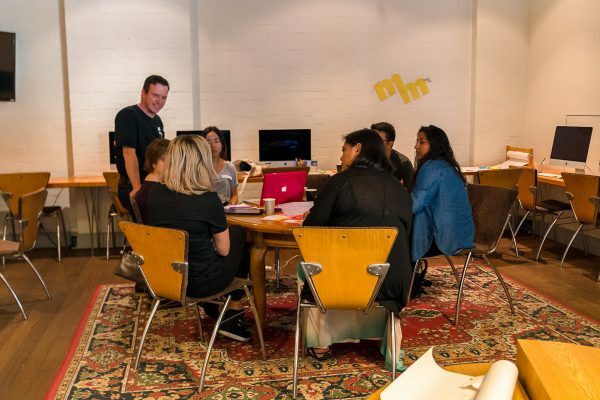 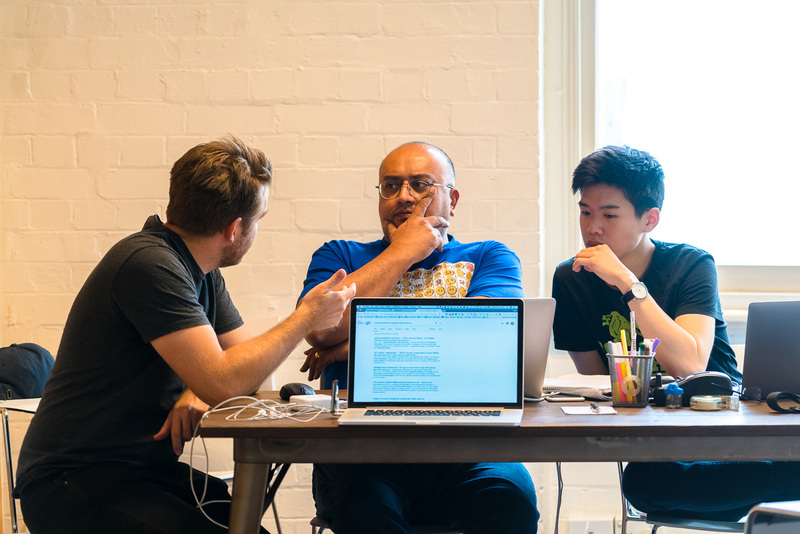 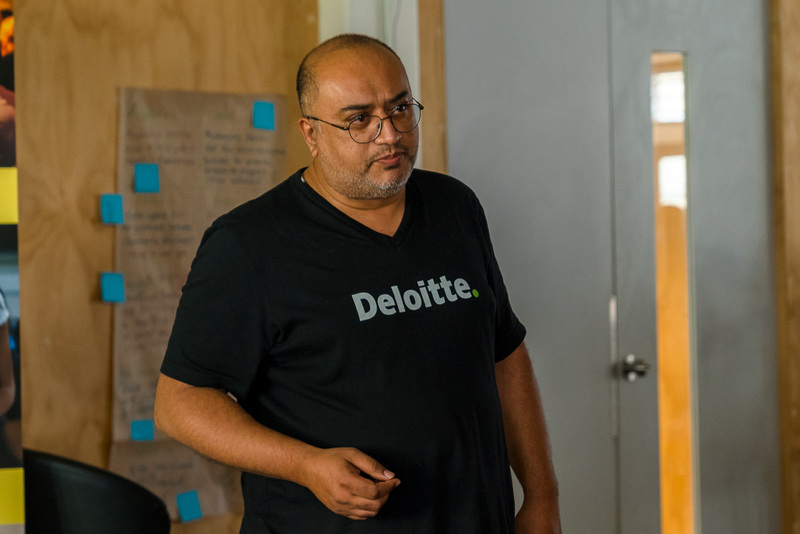 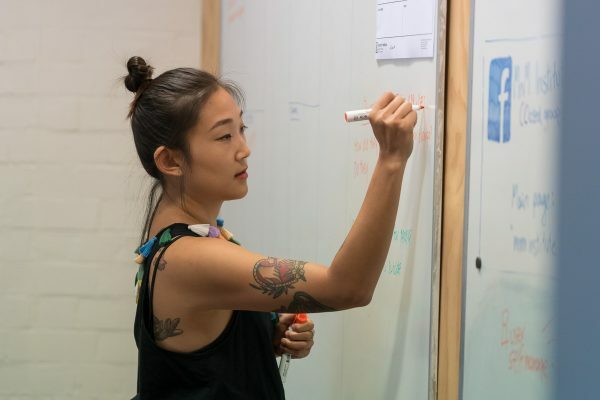 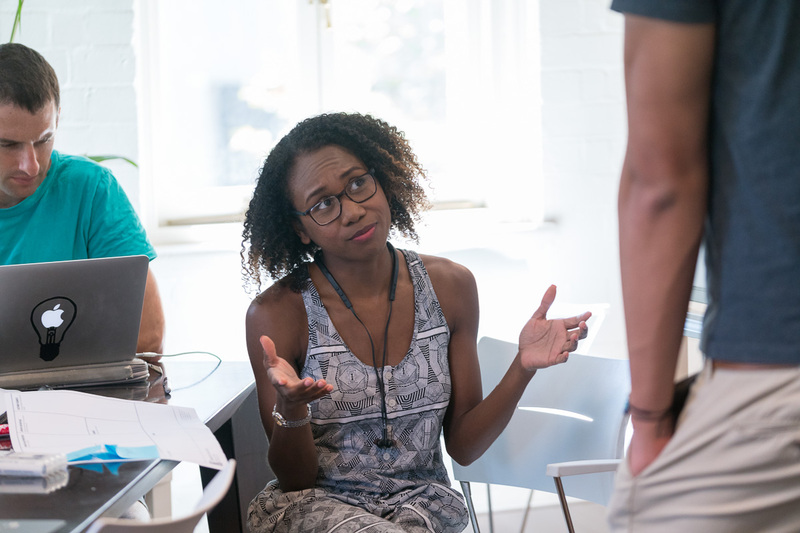 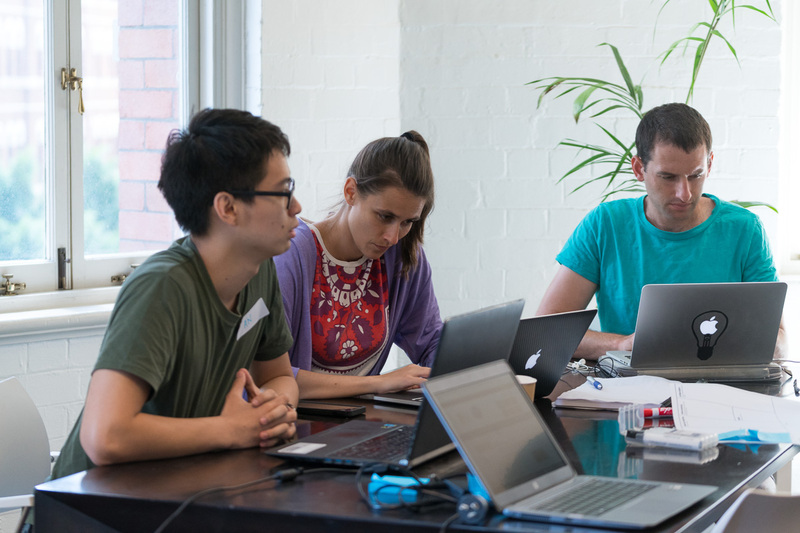 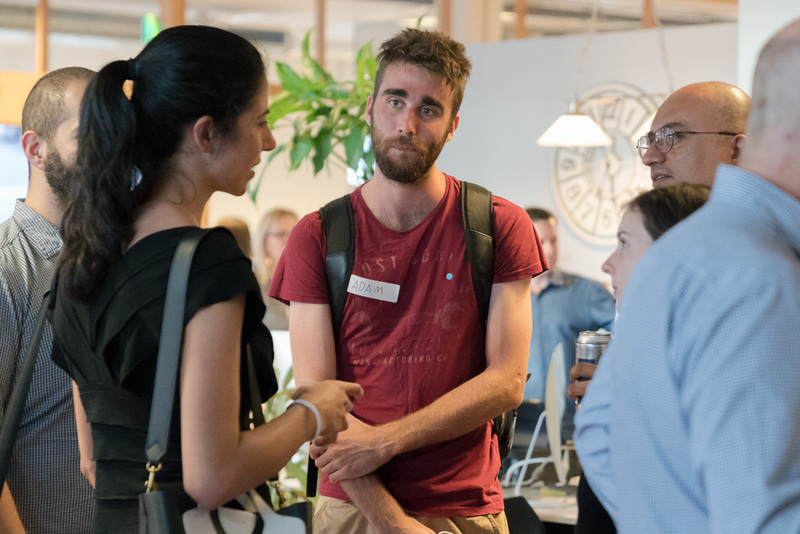 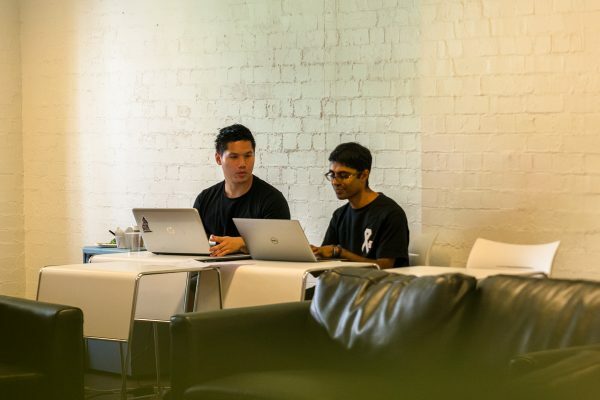 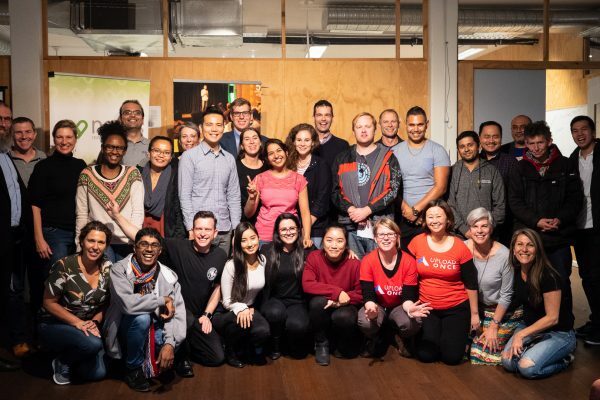 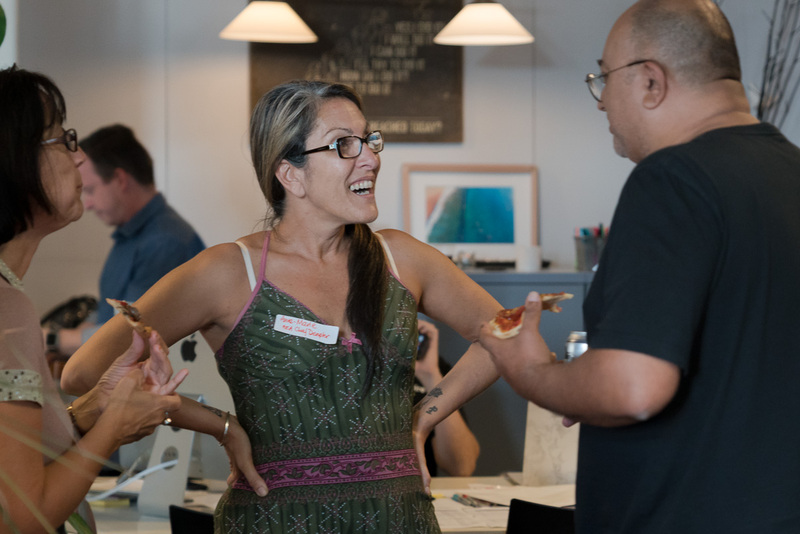 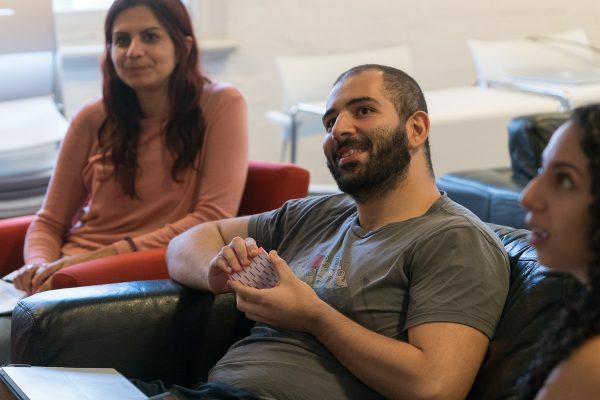 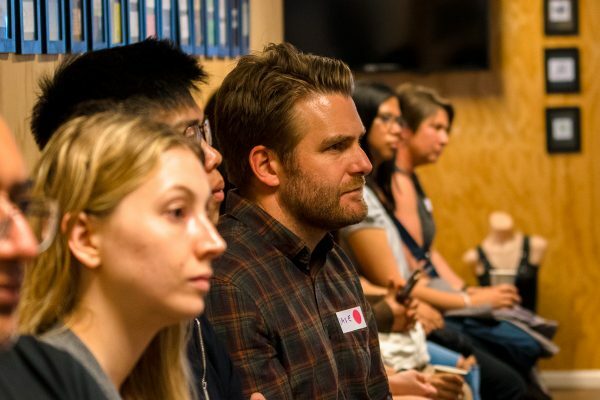 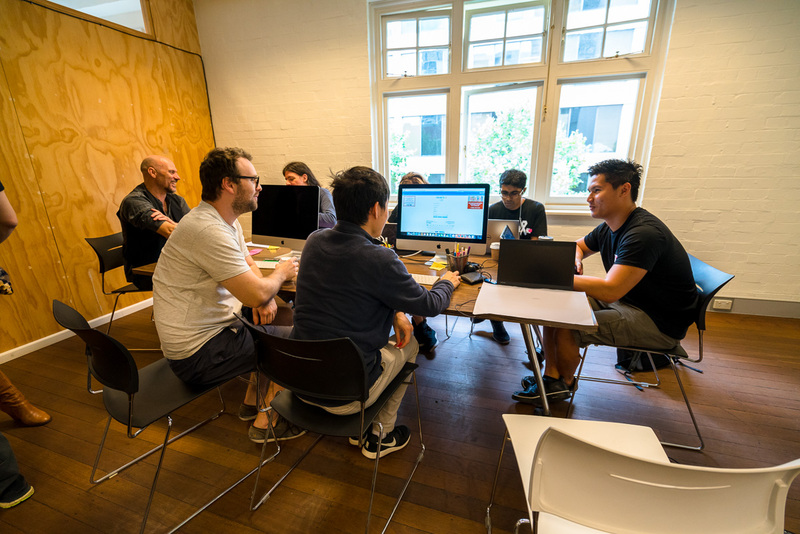 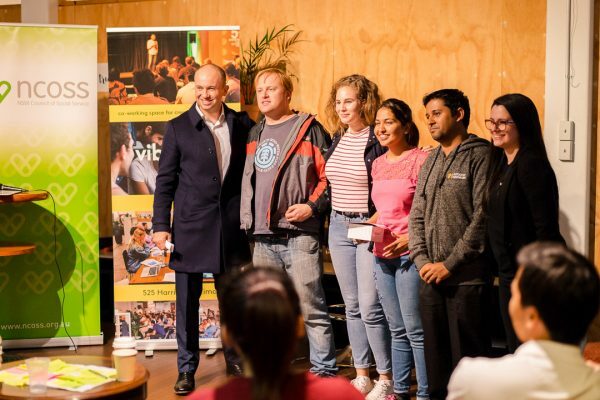 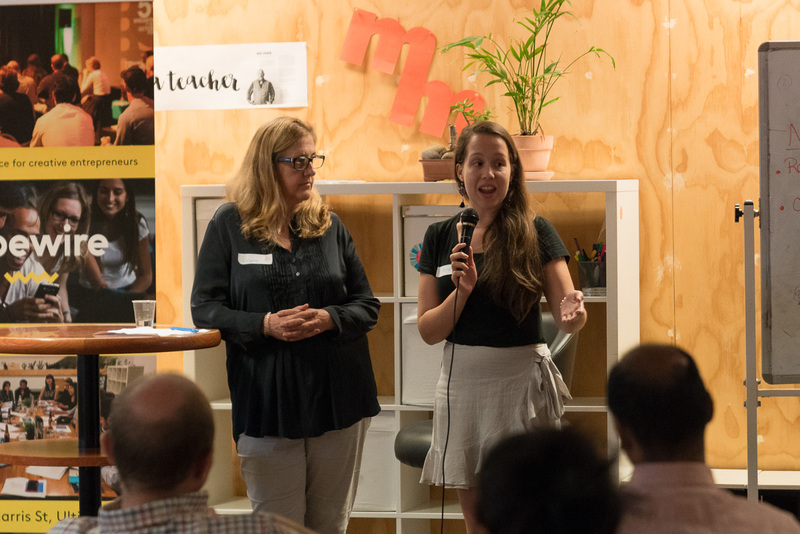 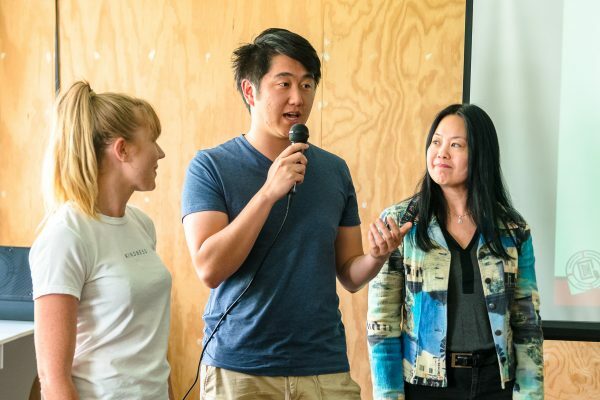 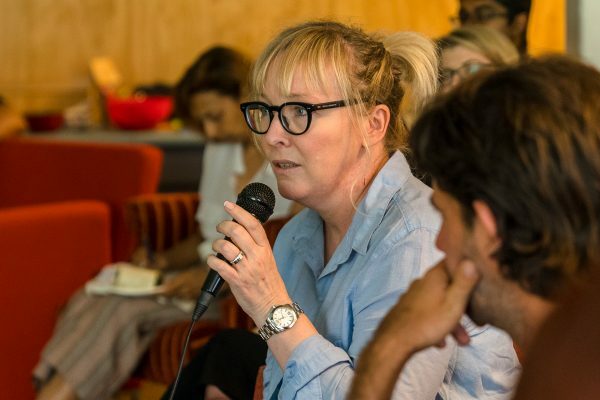 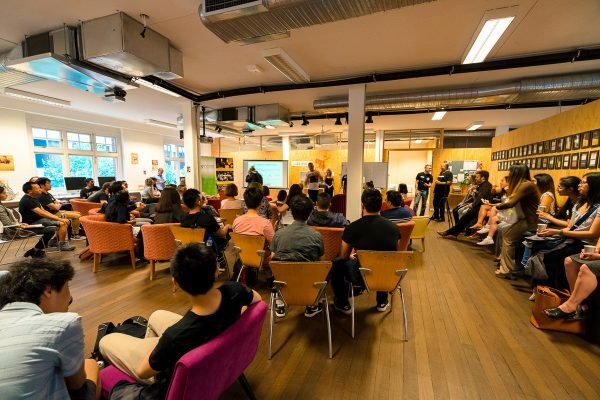 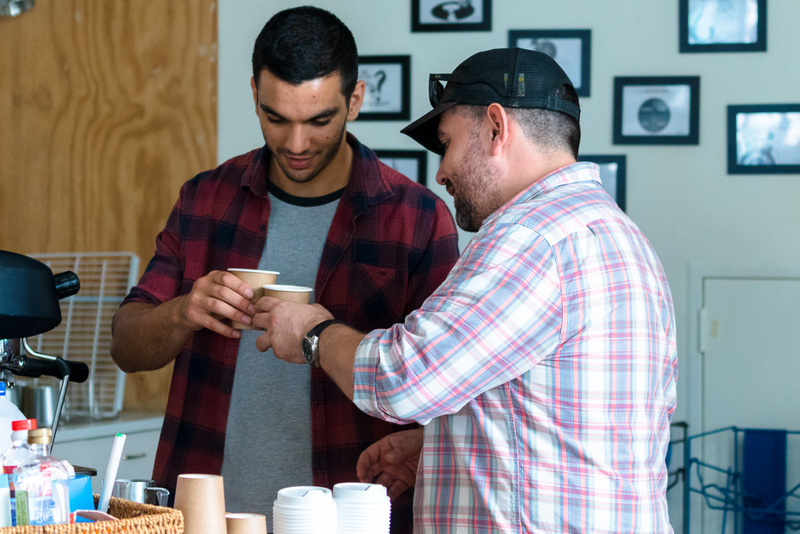 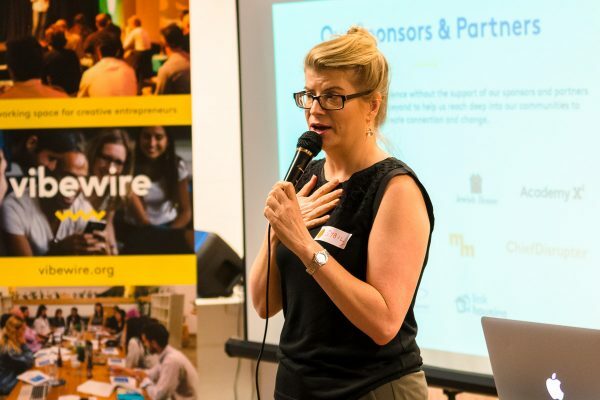 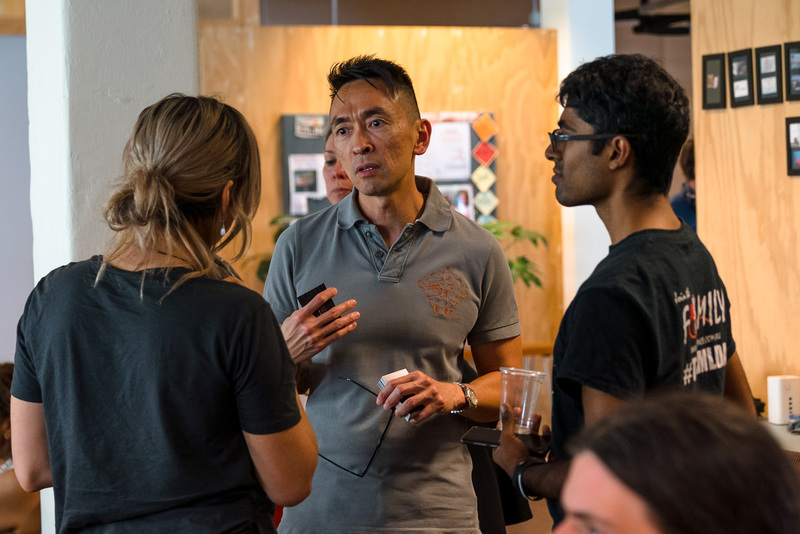 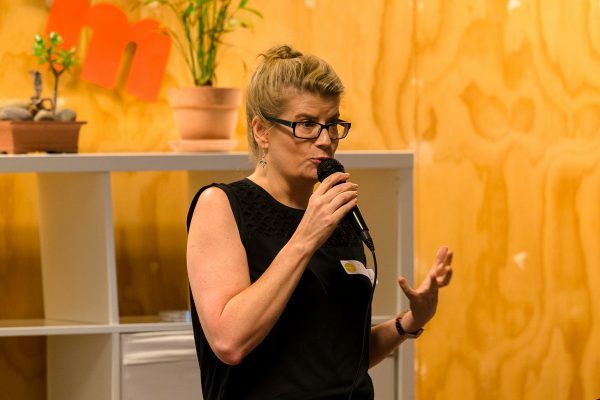 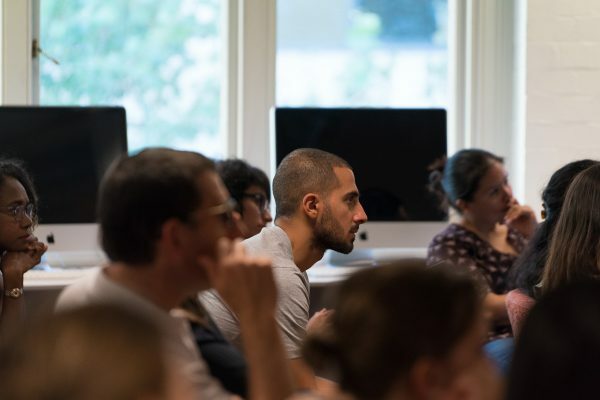 In the lead up to our 2nd social change hackathon – tackling Domestic and Family Violence – #Hack4DV [8-10 Dec] we caught up with our previous #Hack4homelessness winners CareConnect to let you know what you can expect! 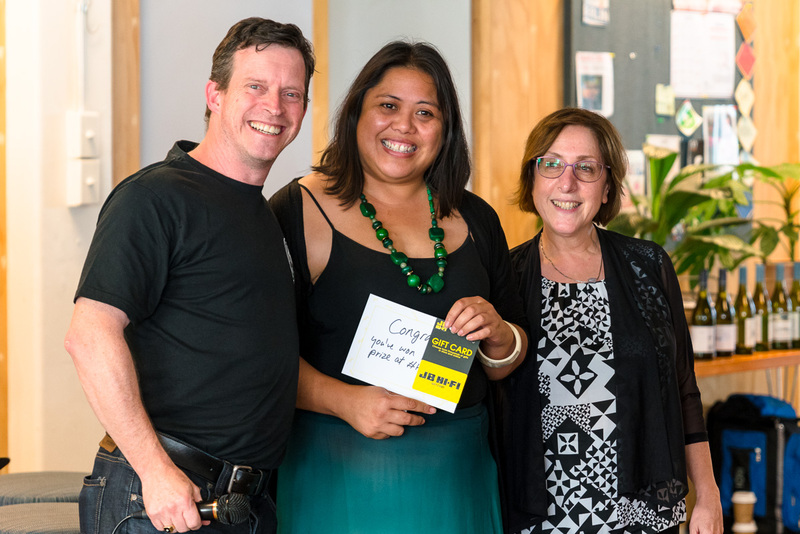 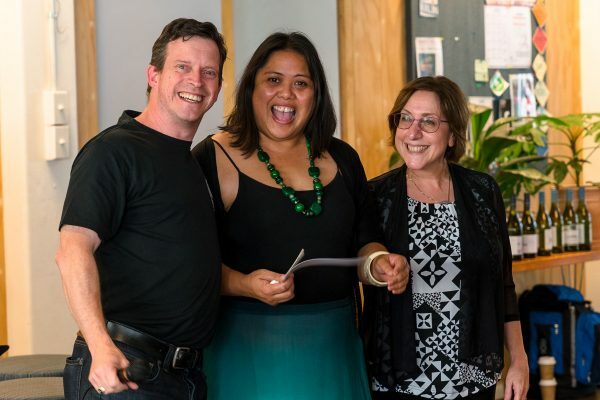 Q: Kim, Linda and John – Congrats for winning Hack4Homelessness! 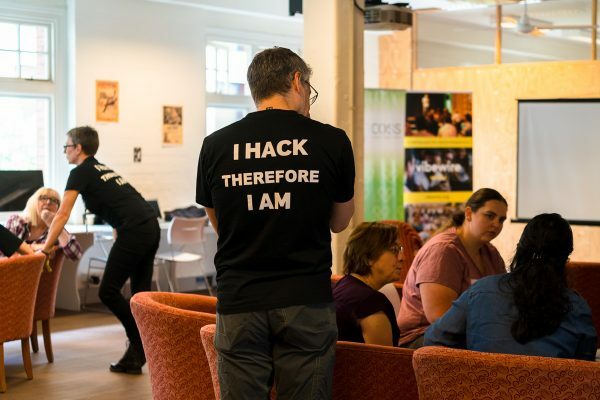 Were you first time or seasoned hack goers? 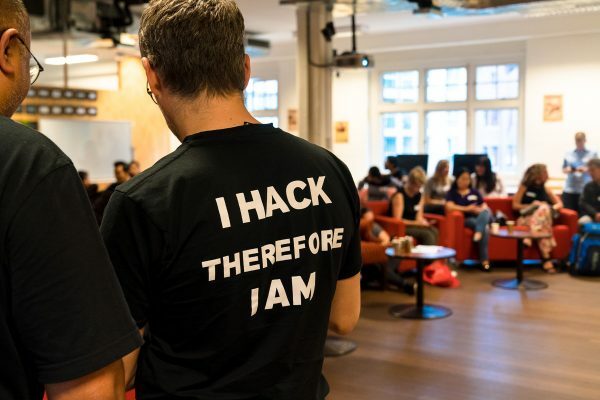 Can you share what your experience was like over the hack weekend? 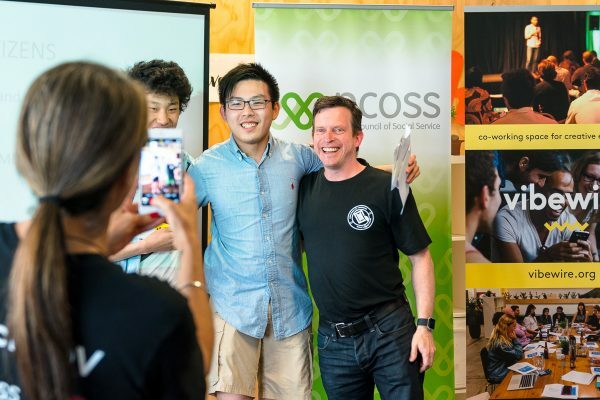 John: It was my first time at a hackathon and it’s incredible just thinking back to it. 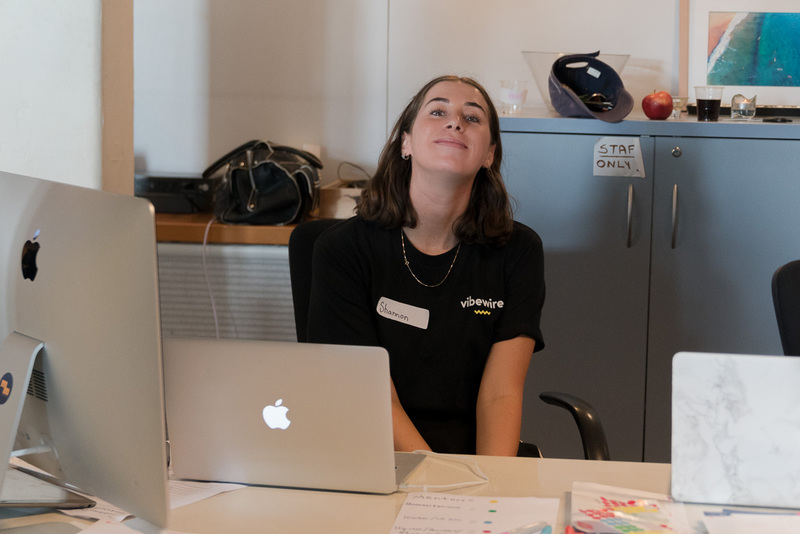 The weekend was really exciting and I definitely had too little sleep. Having access to mentors and representatives from the industry was extremely valuable because their insights helped us to continually iterate. 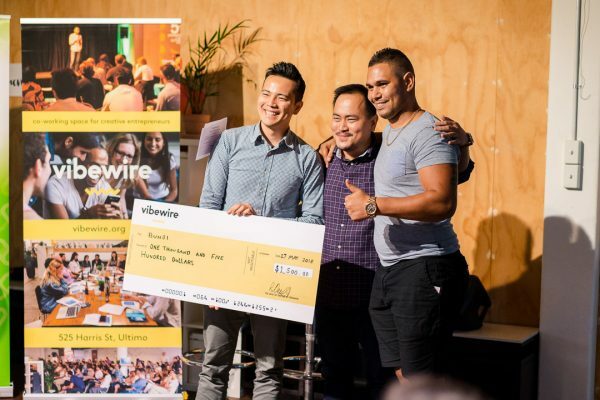 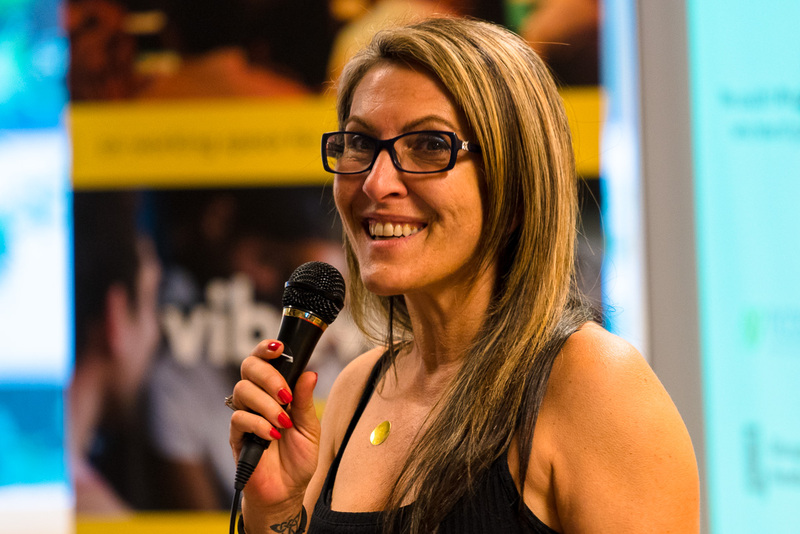 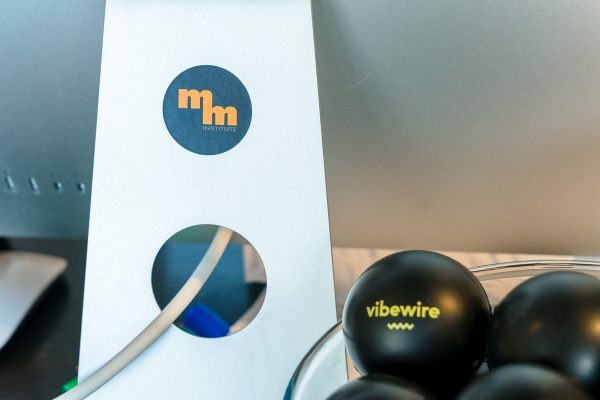 From the very beginning, you can instantly tell that VibeWire put a lot of effort into organising the entire event. 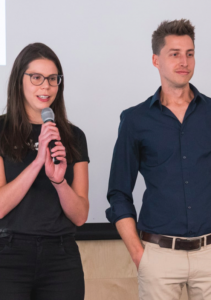 I am super excited to have all the hard work pay off especially since we are still making our idea a reality! 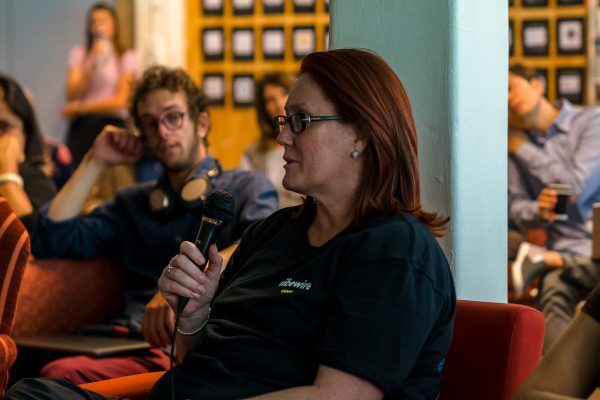 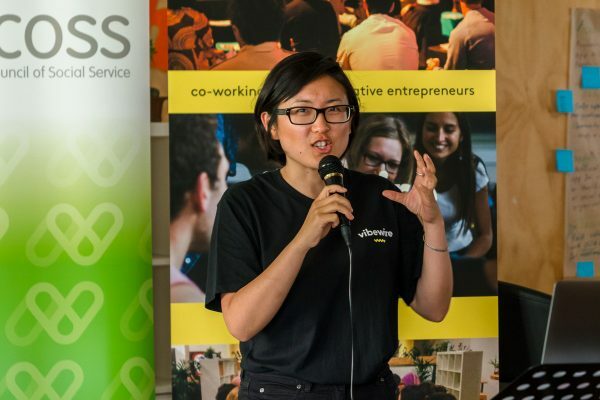 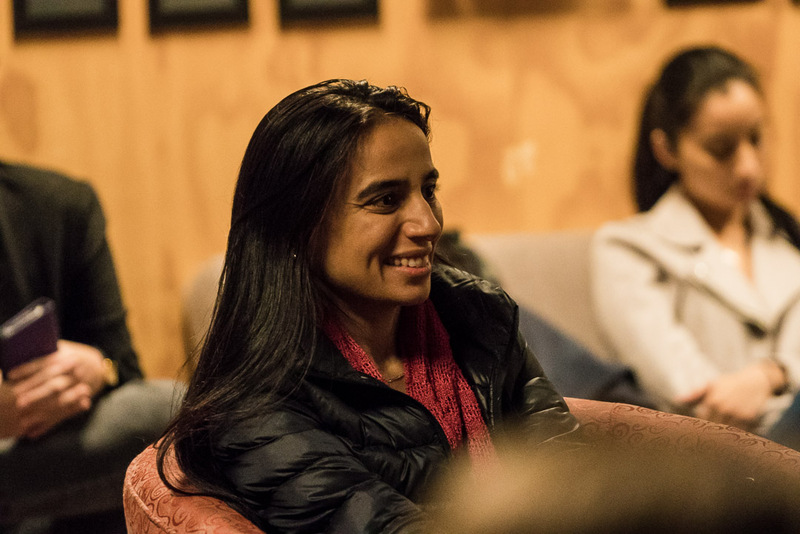 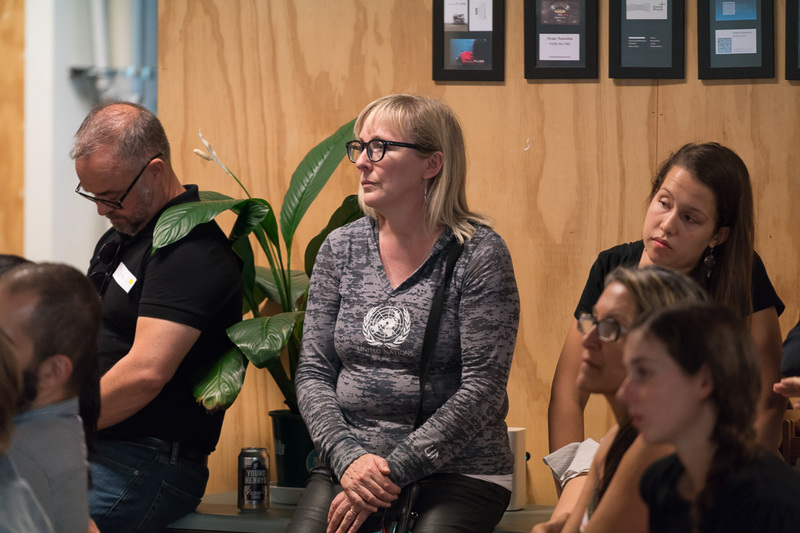 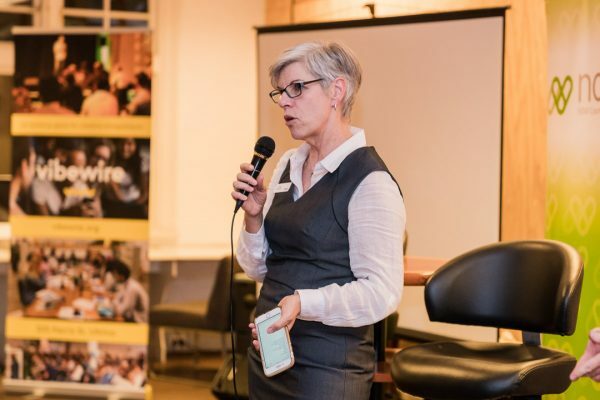 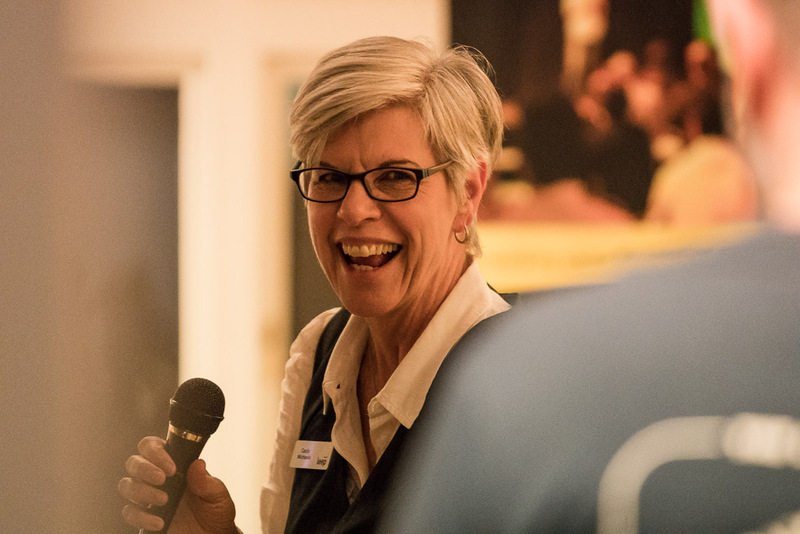 Linda: I had previously attended a 1 day hackathon with Gavin at UNSW at the end of last year, which was really my only exposure to hackathons prior to the hack4homelessness. I knew i needed to go to another one, but hadn’t been looking out for any for a while. 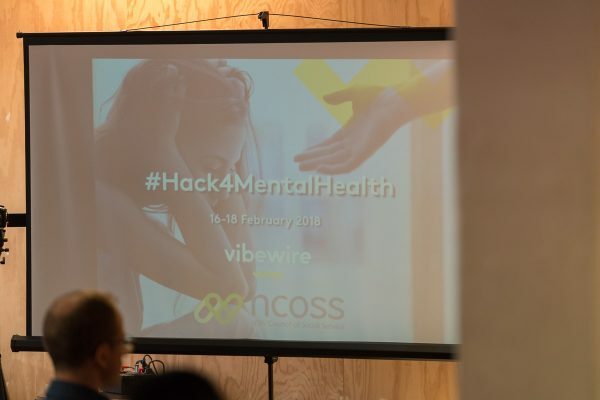 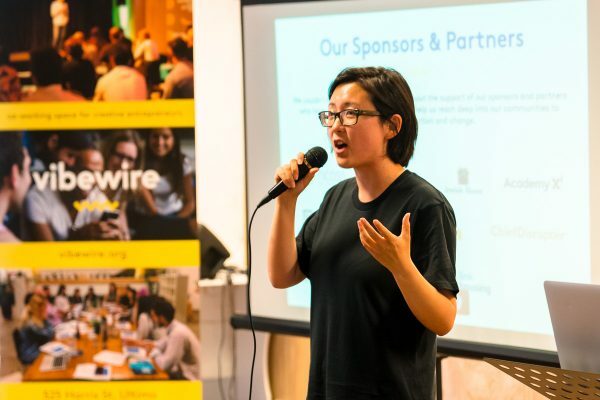 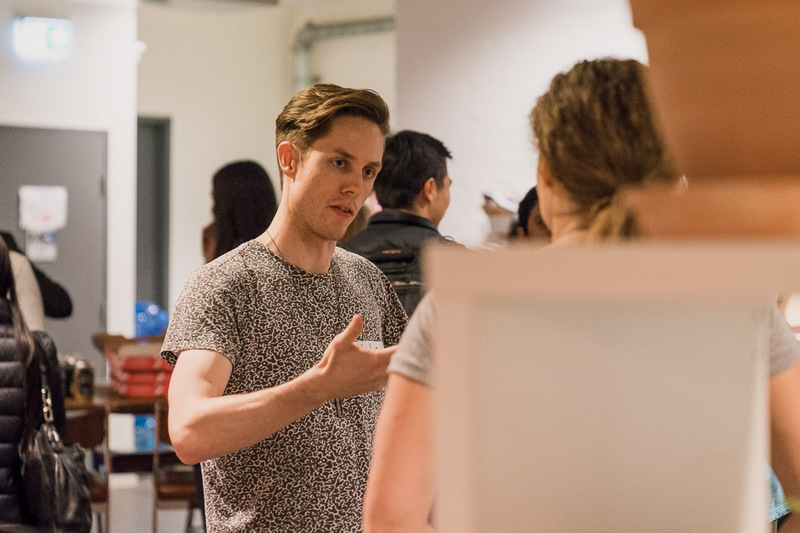 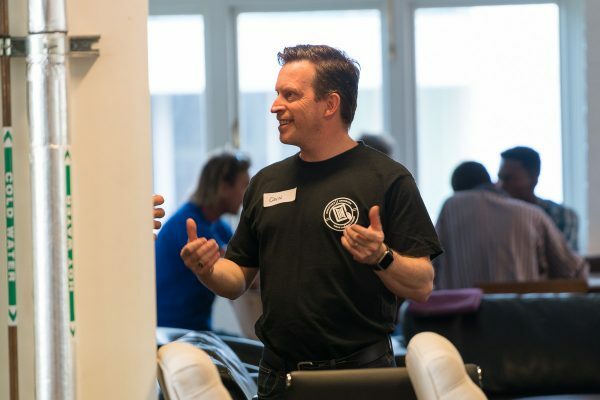 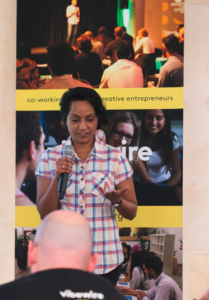 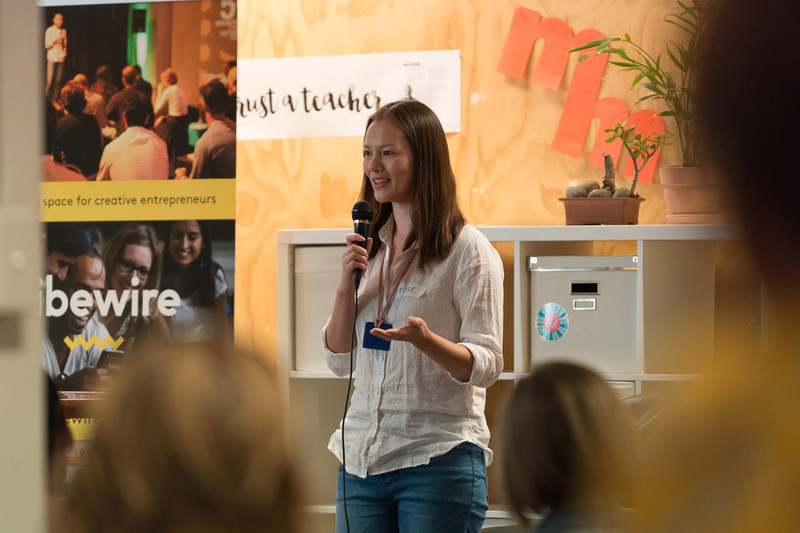 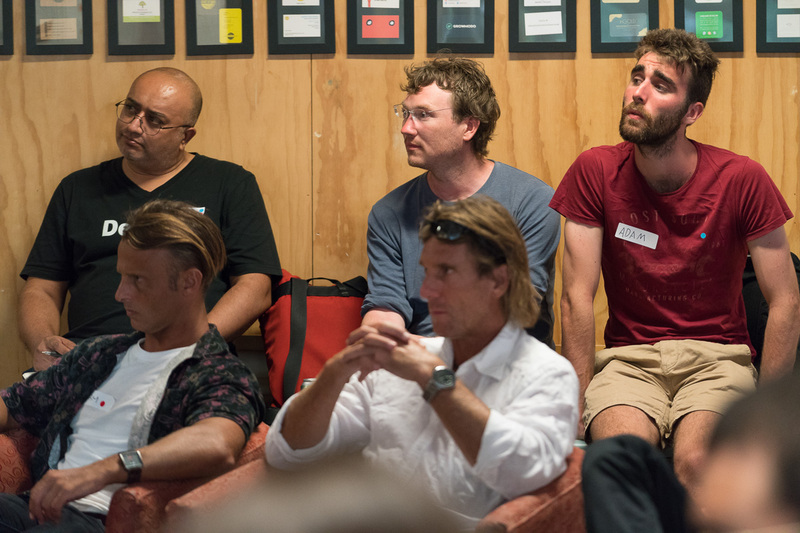 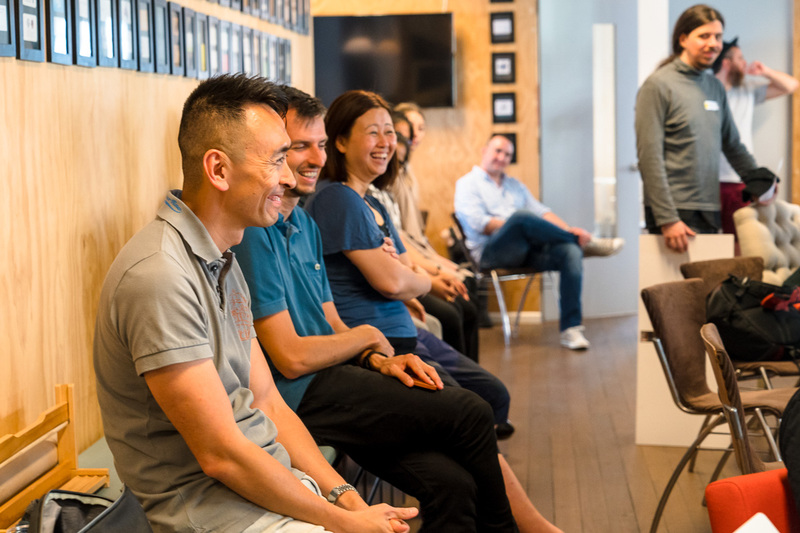 The Weekend Hack was quite different, to the one day event, there were many more subject matter experts and mentors floating around the space, workshops and we even got to speak with a few homeless people to really understand their pain points too. 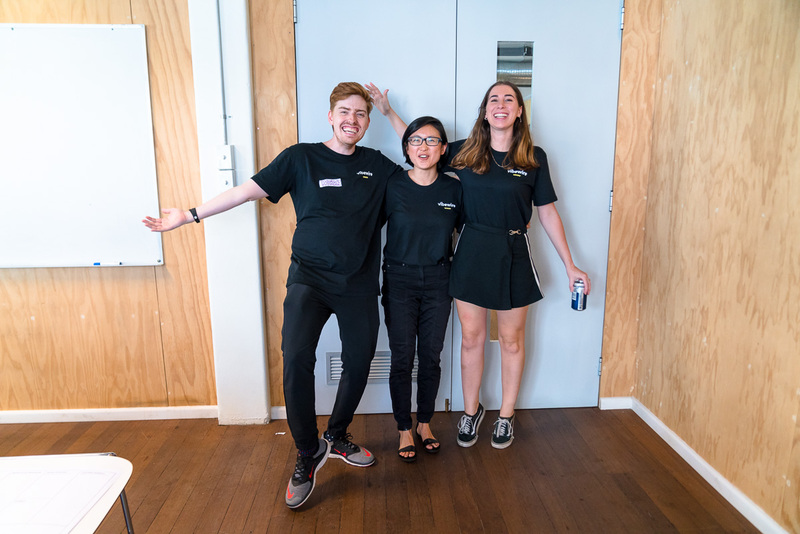 Overall, the experience was amazing, and I learnt a lot about the sector as well as starting a business over just 1 weekend. 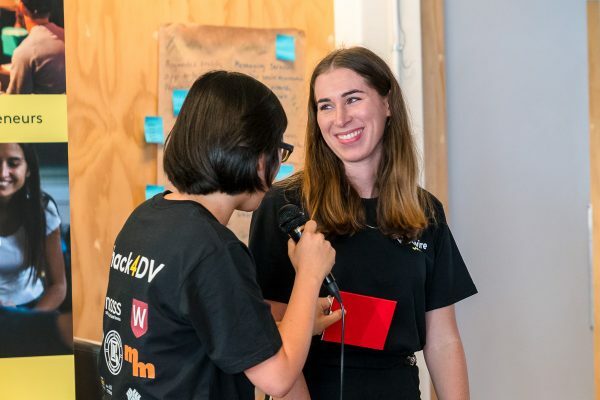 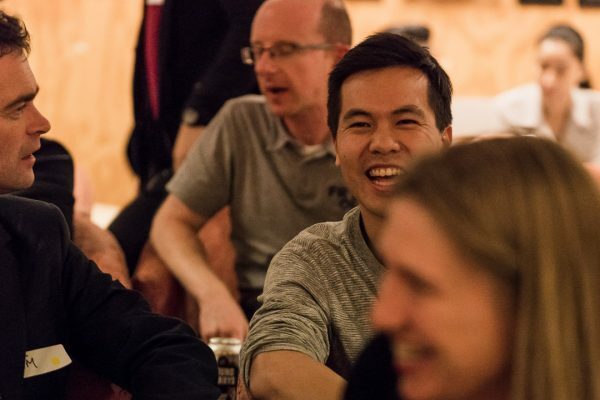 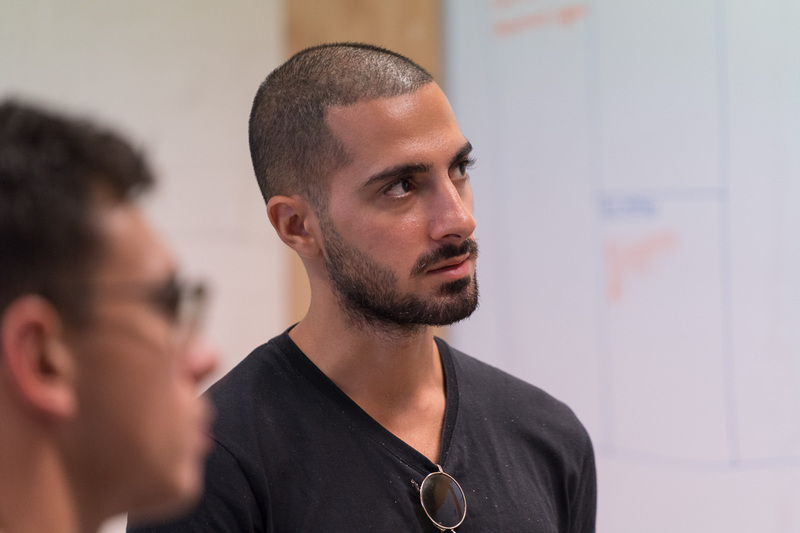 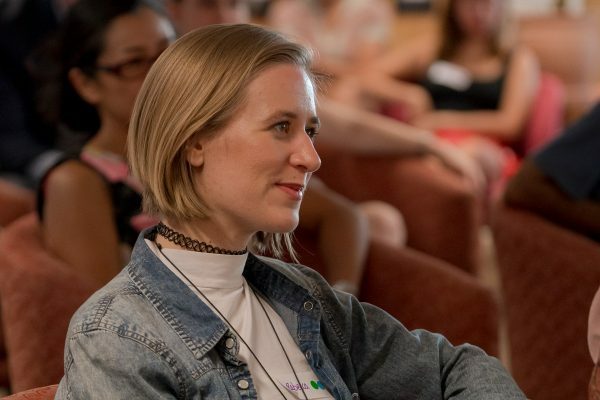 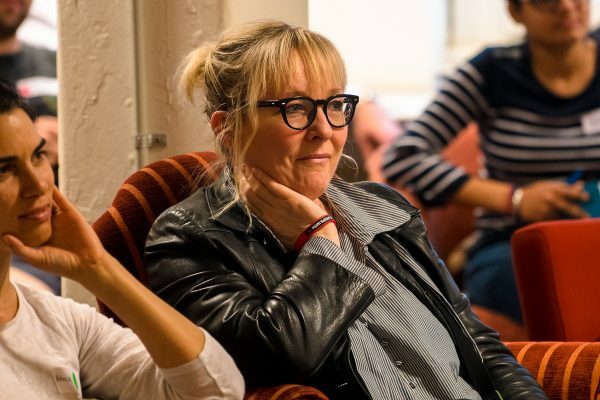 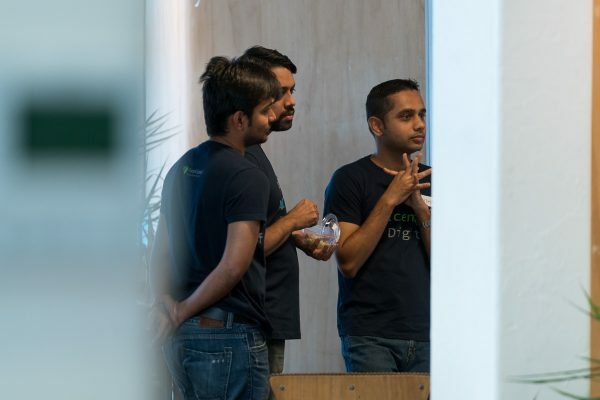 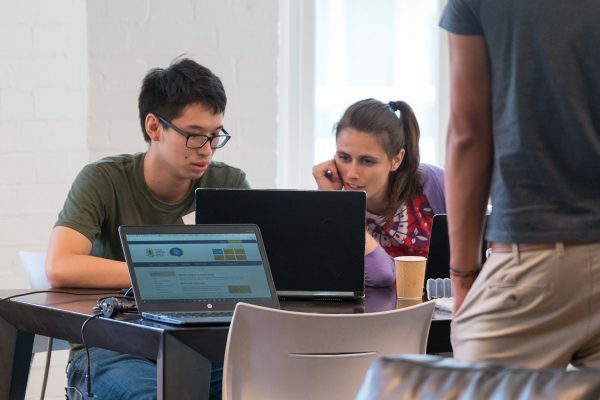 Kim: This was my first hackathon and there aren’t quite enough words to describe the intensity, excitement and diligence in the room that continued from the minute it started. 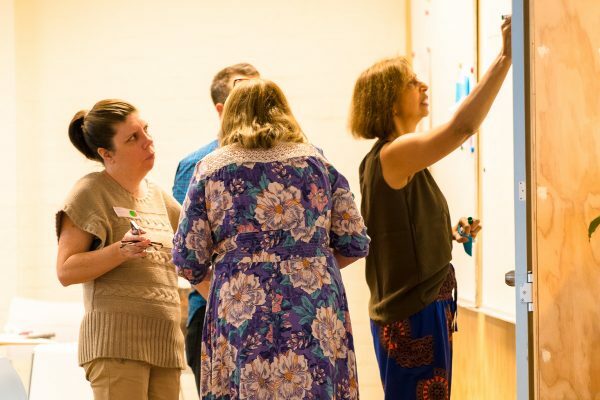 Working with people I’ve never worked with before, learning from people I’d just met, and thinking about the people and sector we’d come together to try and help was shared value practice at its best. 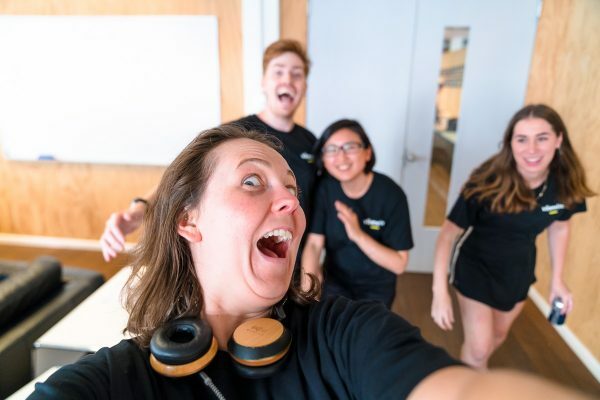 I’m blown away by everyone’s commitment and passion for making a difference and I’m proud to be part of the experience. 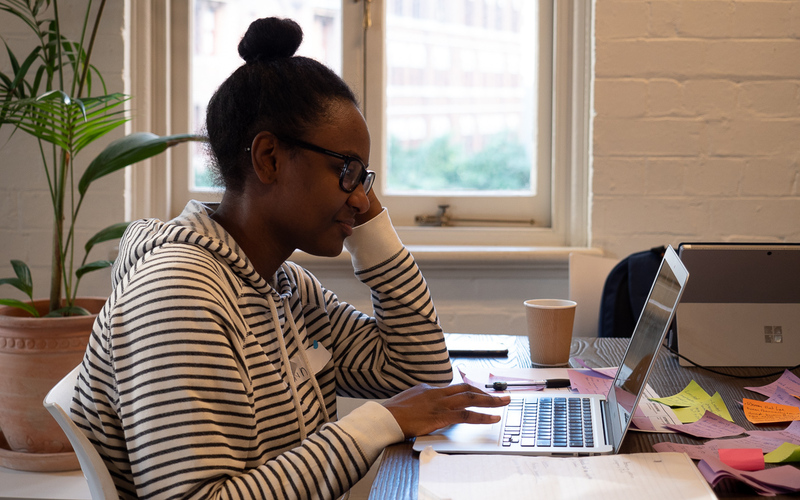 There were some self-reflective moments too that pushed me outside my comfort zone amongst the frantic but focused thinking and designing. And I thrive on that! 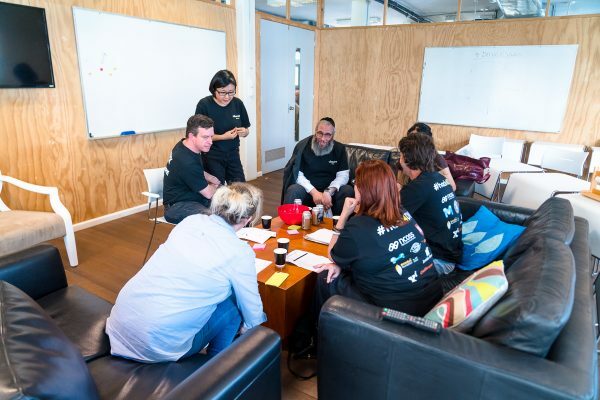 I’d encourage everyone to participate, or even just observe, the magic of a well organised hackathon in an area you’re passionate about. 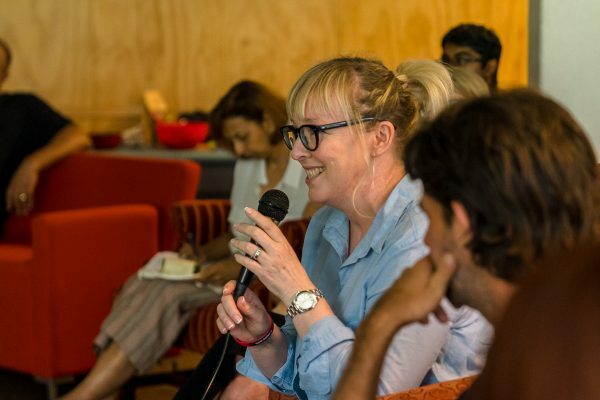 Q: What’s the best tweet length description of your idea – CareConnect? 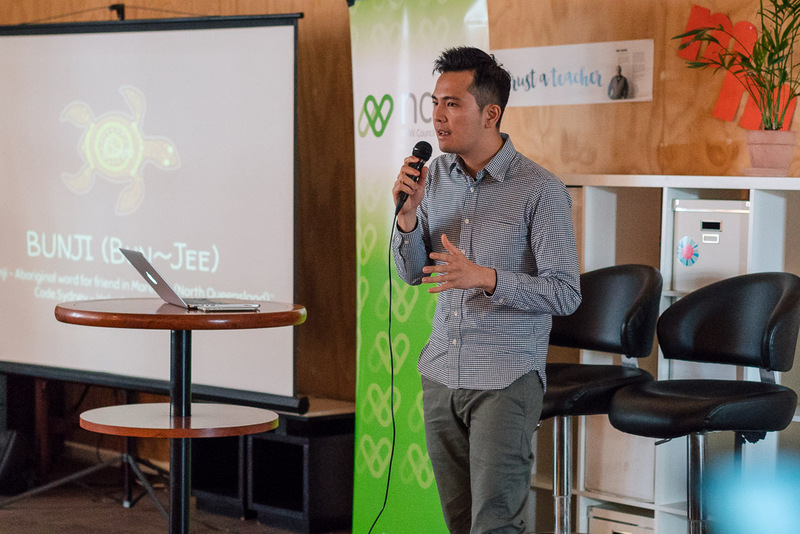 Team: CareConnect is an online platform for orgs. 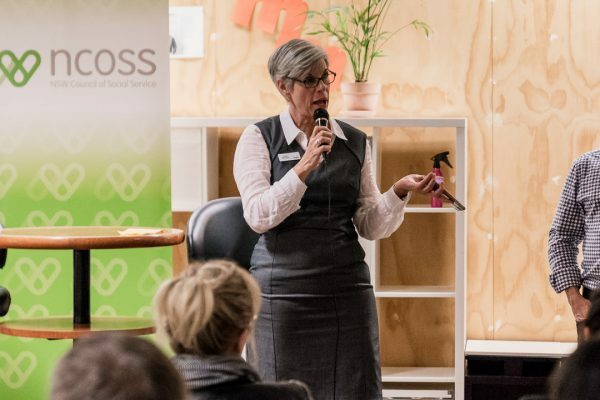 working in the #homelessness sector to streamline sharing & booking services. 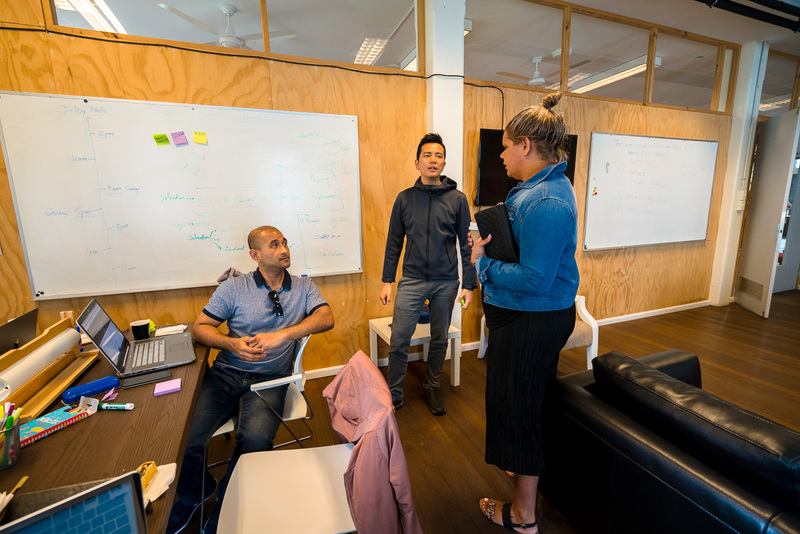 It makes current processes more efficient & effective, supporting the strength of existing partnerships & creating new opportunities. 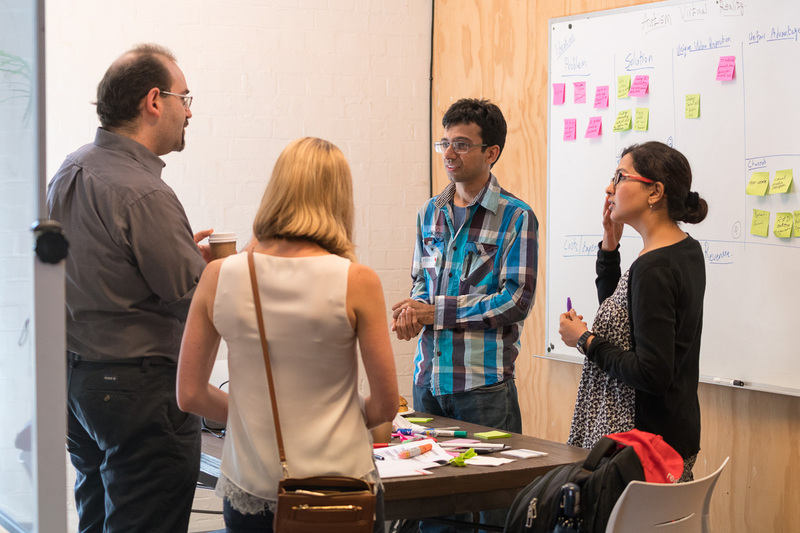 Q: What’s the scope of the problem you’re solving and where have you tested the idea so far? 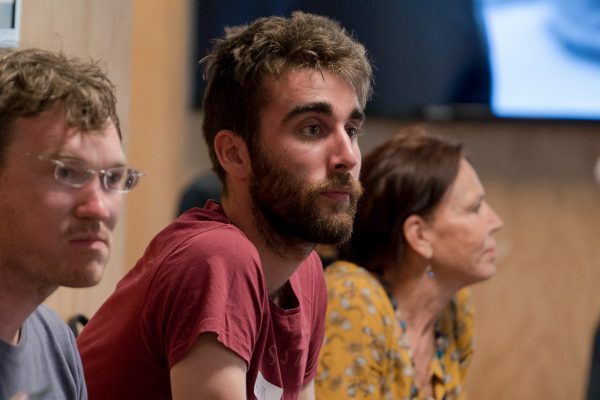 Team: Our scope is to support the people working in the homelessness sector (and possibly beyond!) 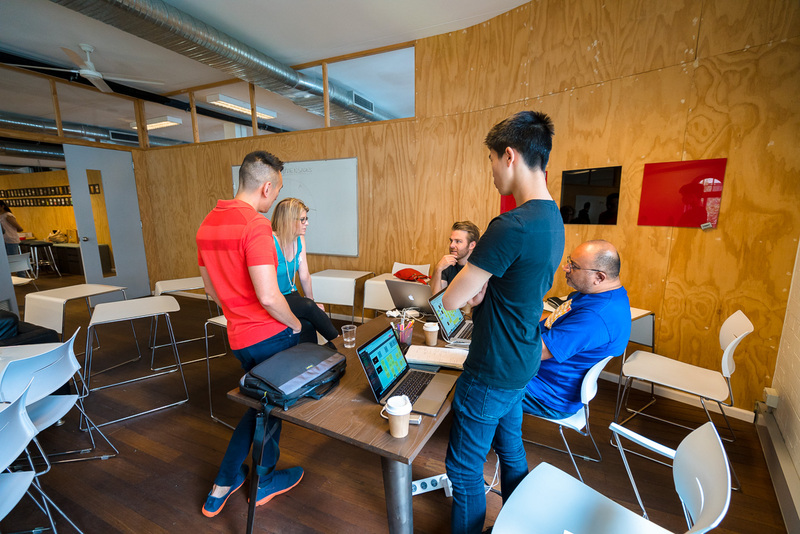 by providing a more efficient process for booking client services with other organisations. 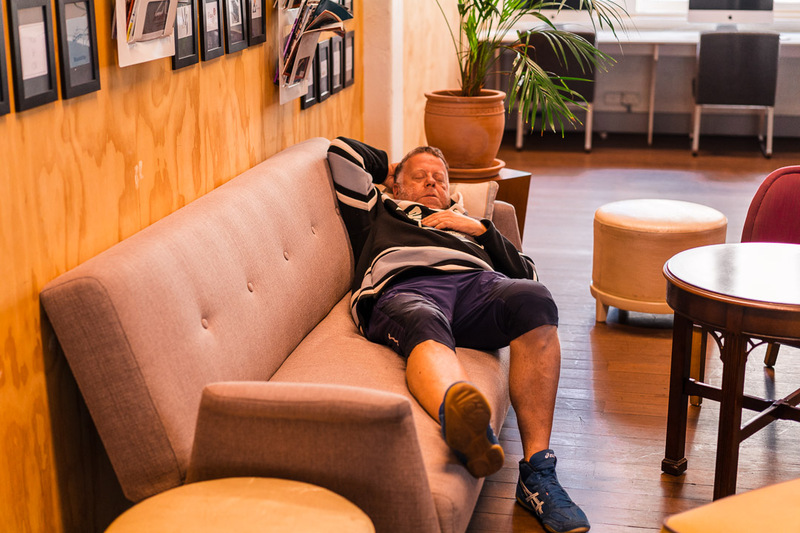 For example, an organisation provides accommodation but needs to work with another organisation to access medical services for their client. 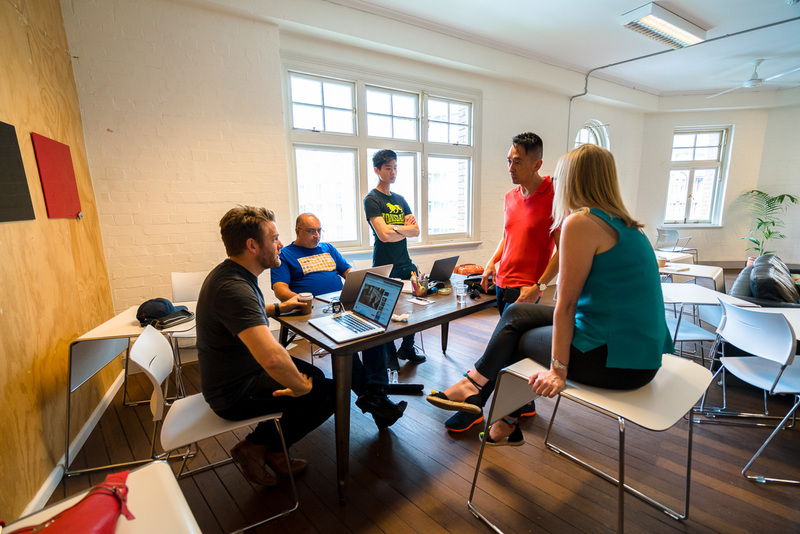 Our platform will streamline the current process to find, book and share information between organisations. 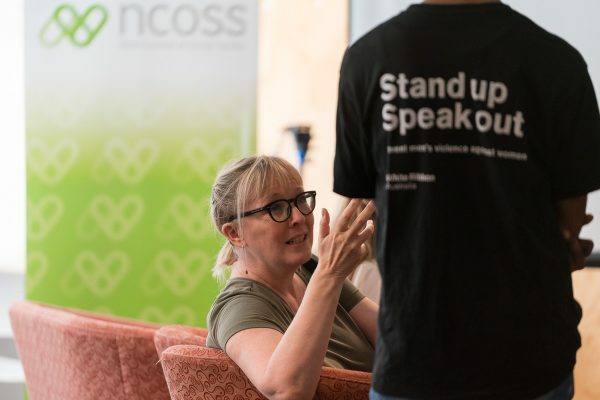 It will also help raise awareness of the full scope of services available at each organisation. 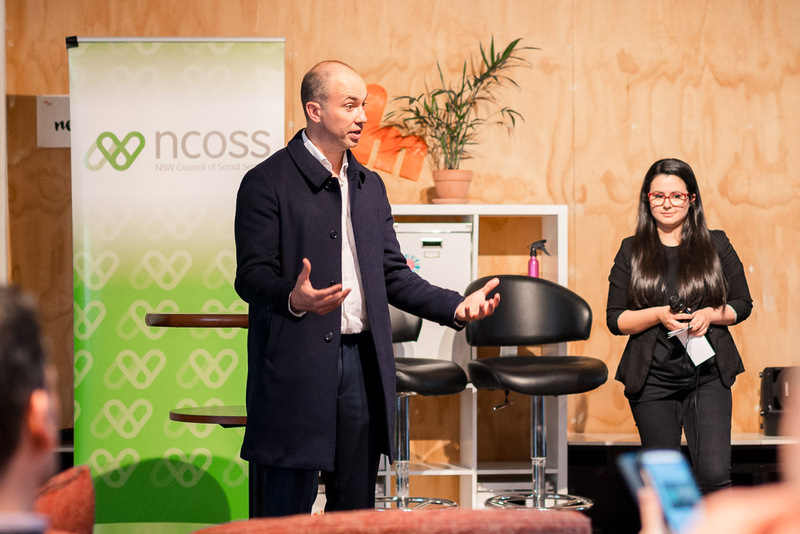 There is the potential to extend this platform to all services provided to those in need in other sectors. 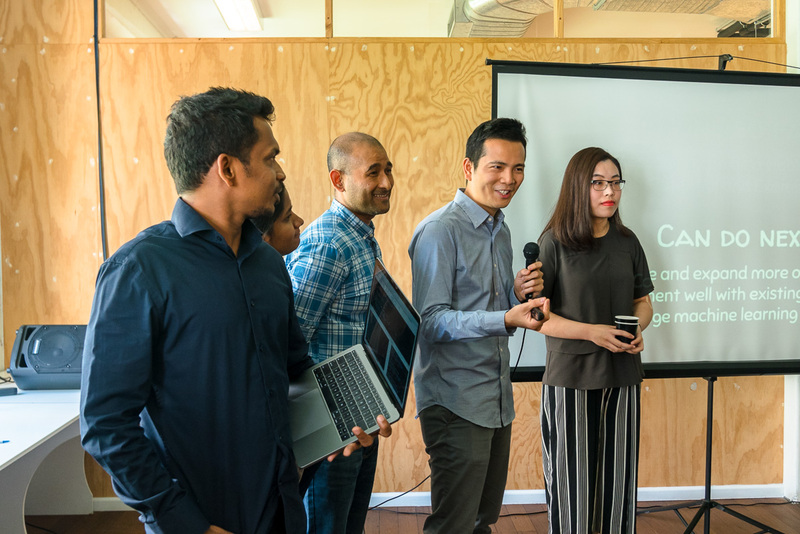 The first version of our platform will be designed for organisational use only but it could extend to use by individuals to access opportunities, where possible and appropriate. 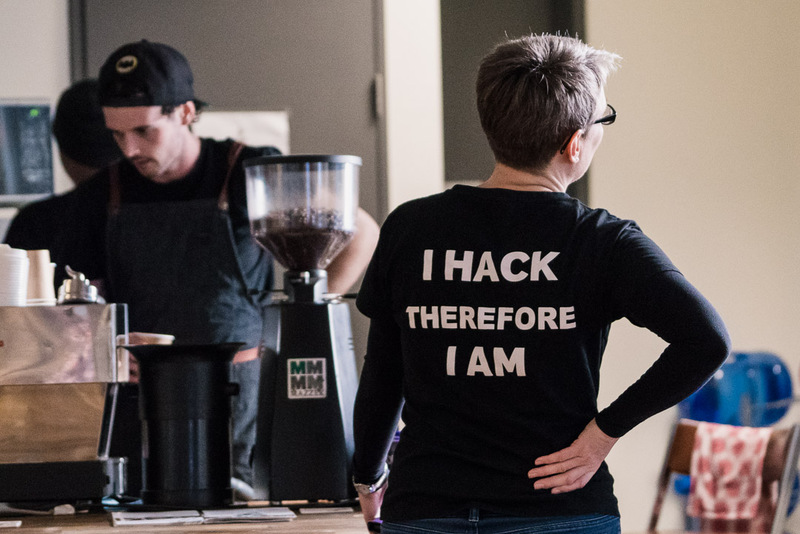 Q: Outside of the hack, how have you continued to build on the idea? 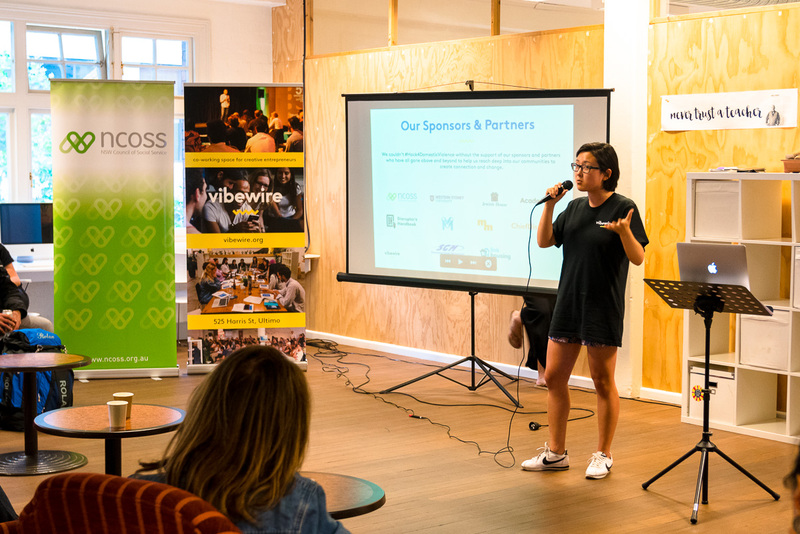 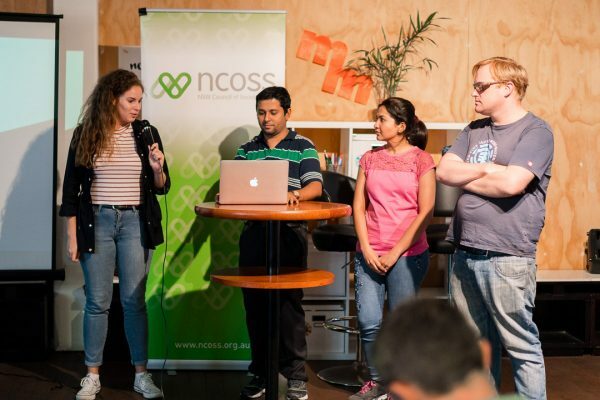 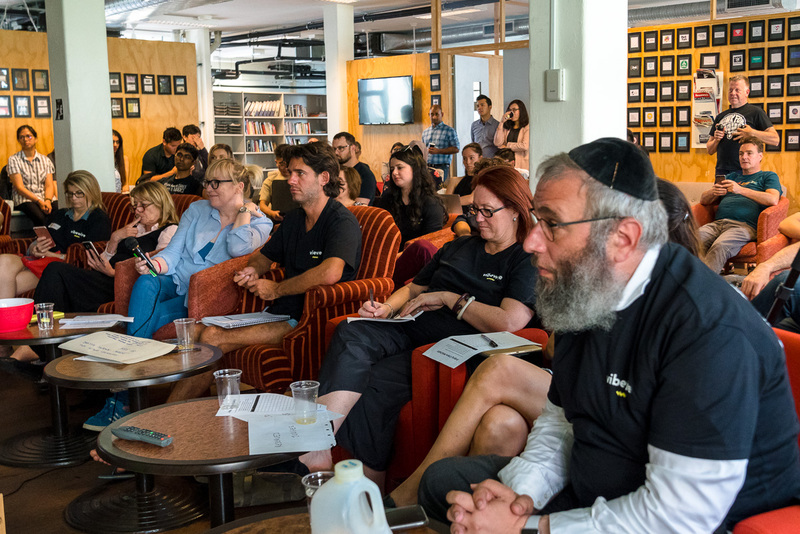 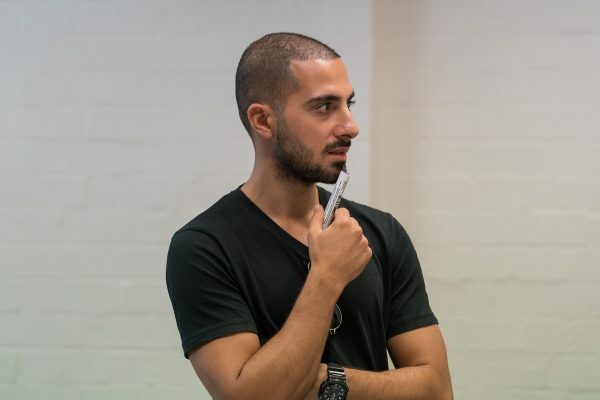 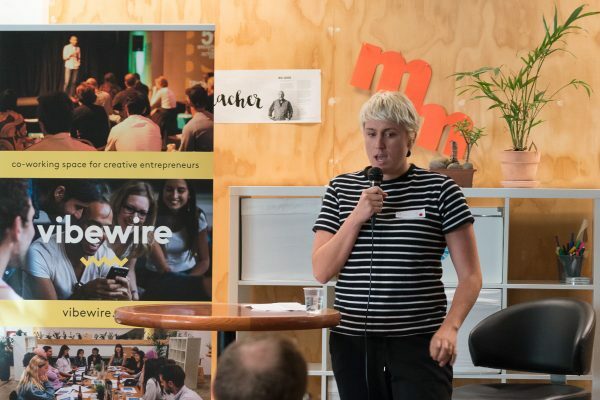 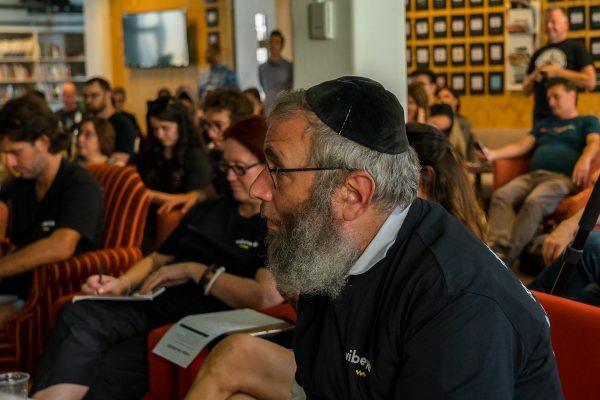 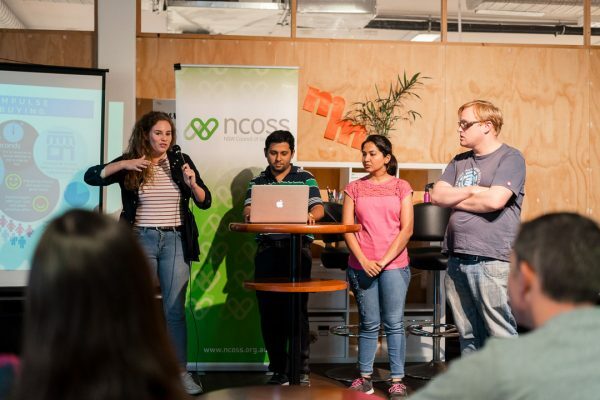 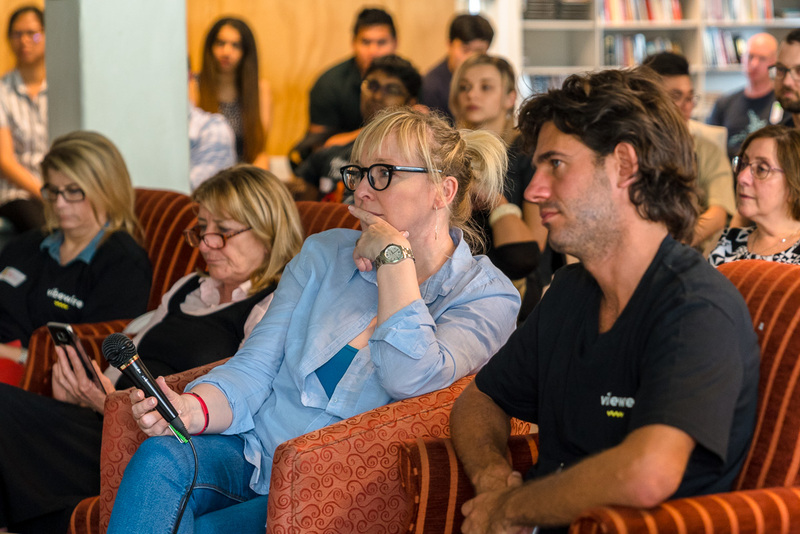 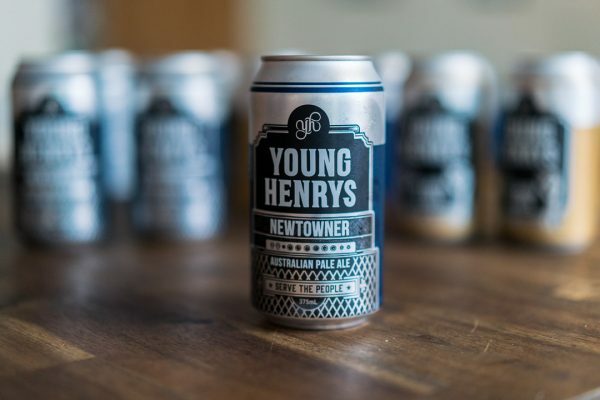 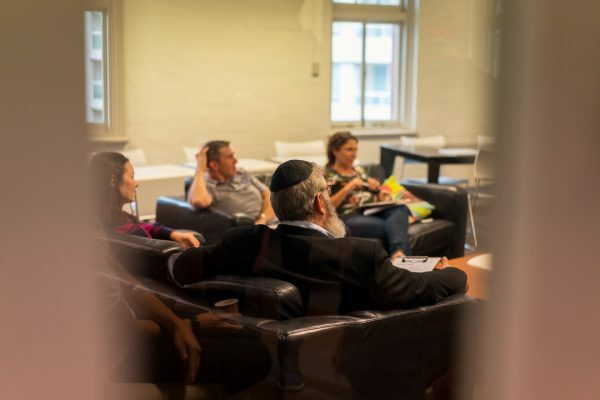 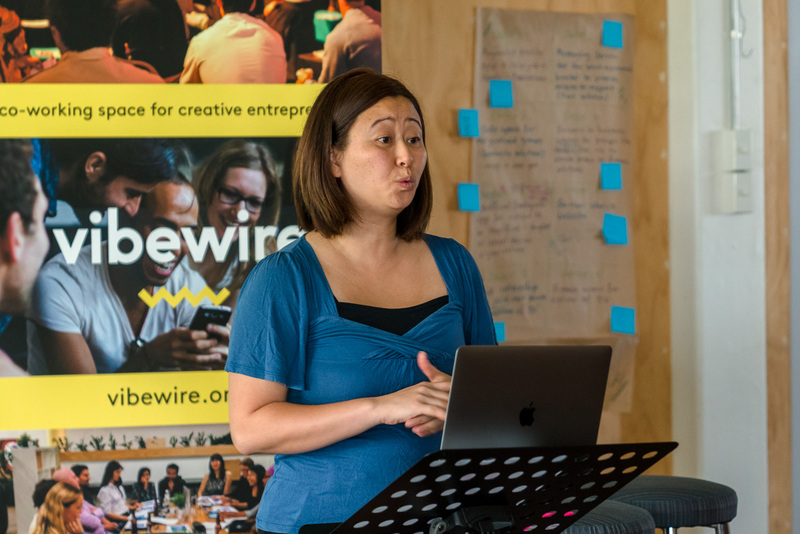 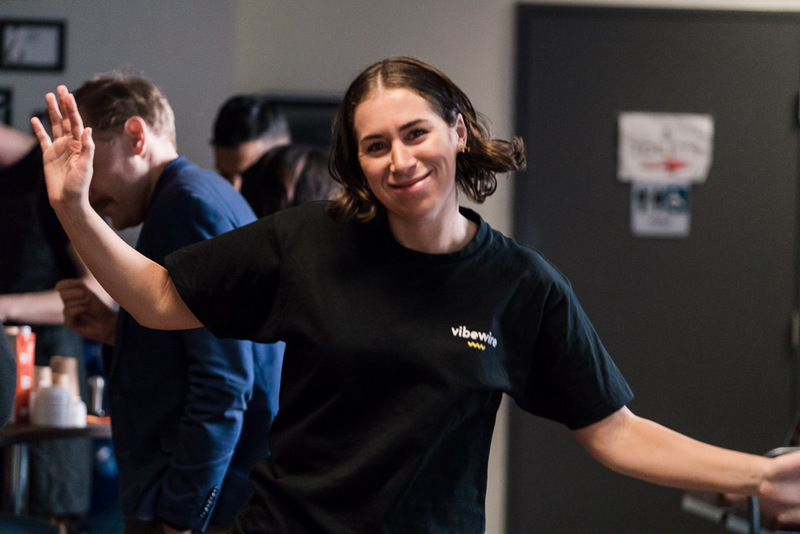 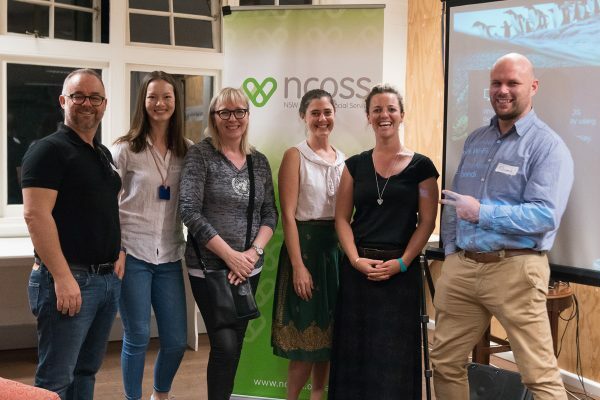 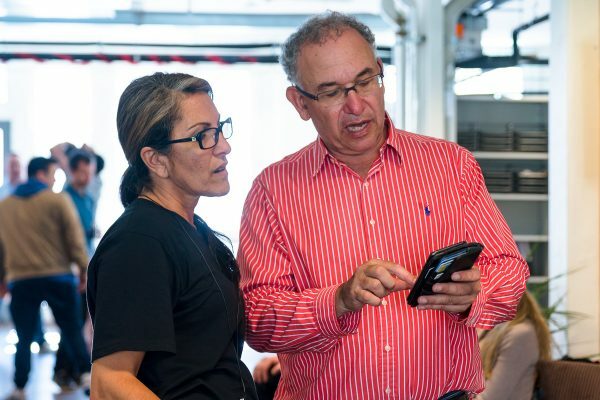 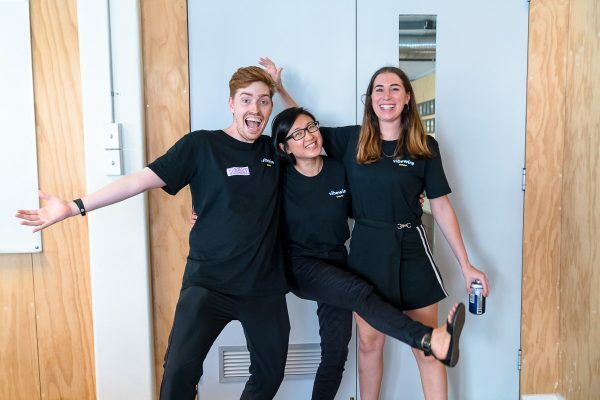 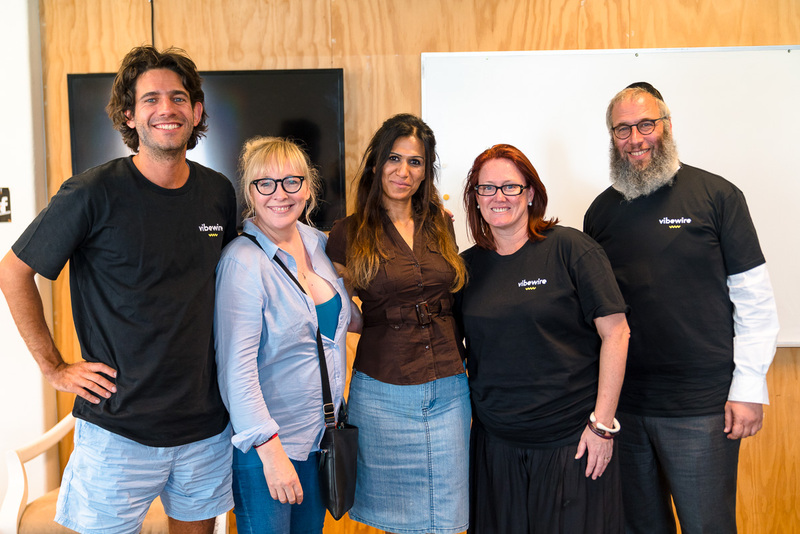 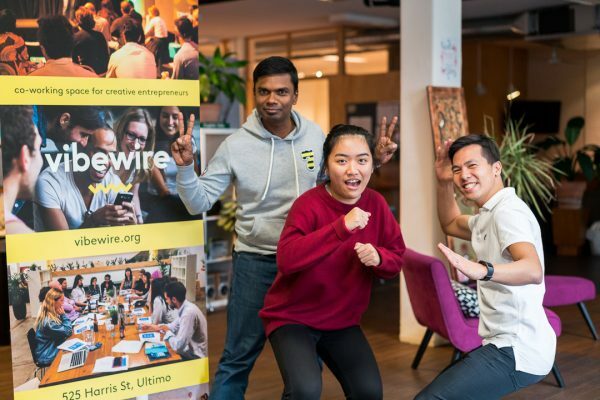 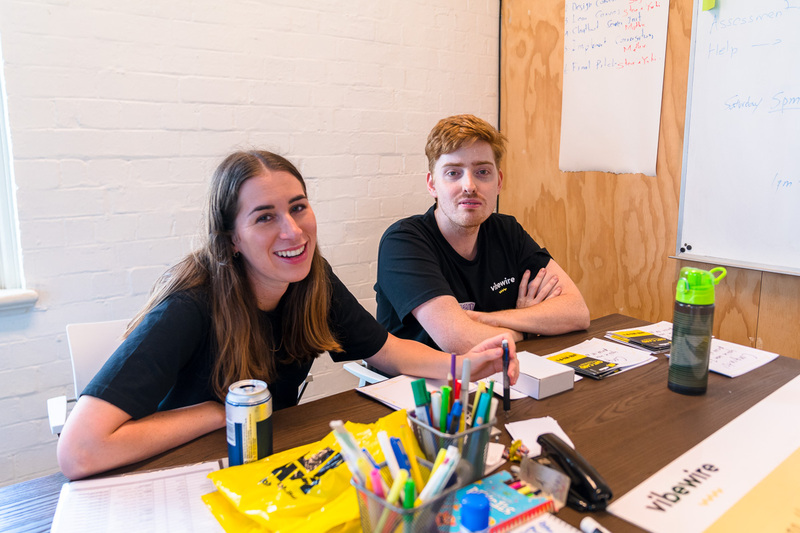 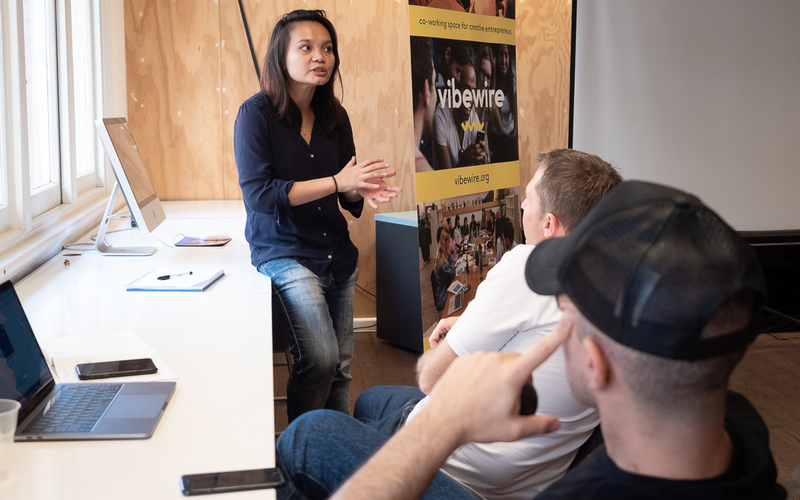 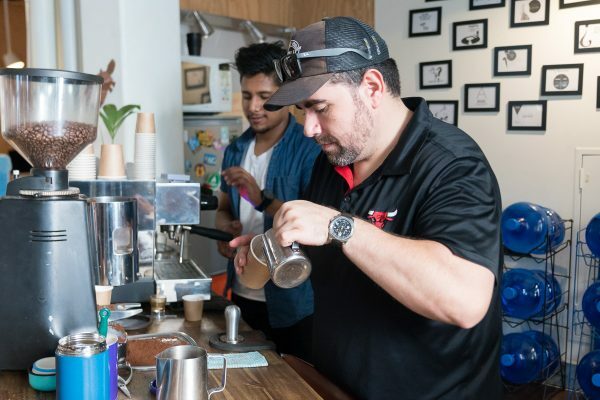 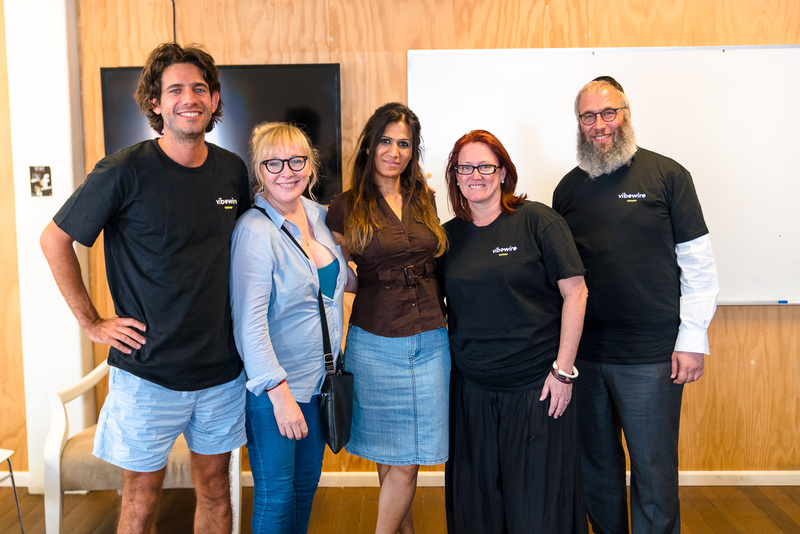 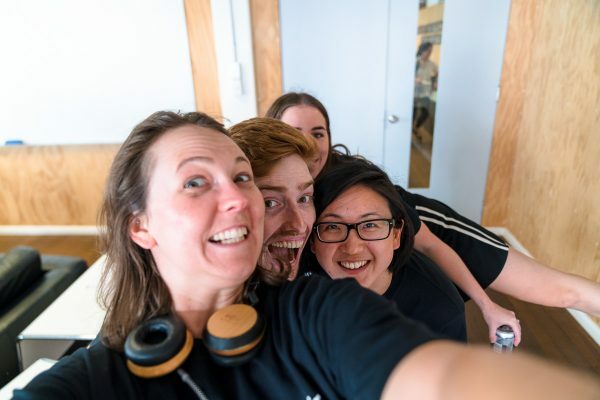 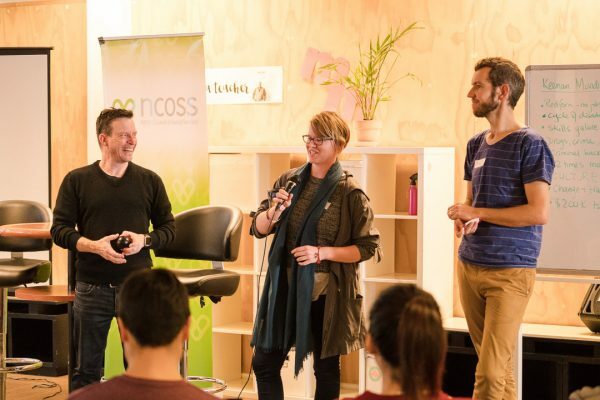 Team: Four of our original team of six have committed to continue working on our idea as a passion project with the support of Vibewire, NCOSS, Jewish House, Exodus Foundation and many of the organisations involved in the hackathon. 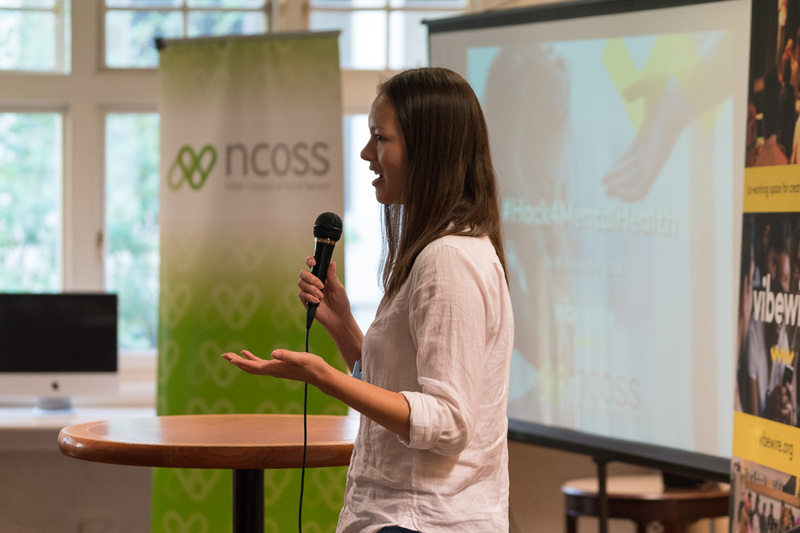 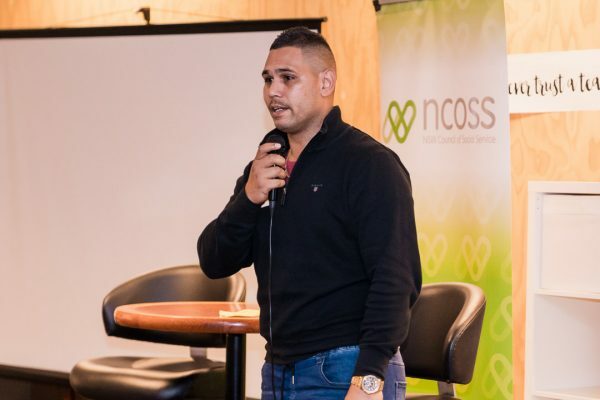 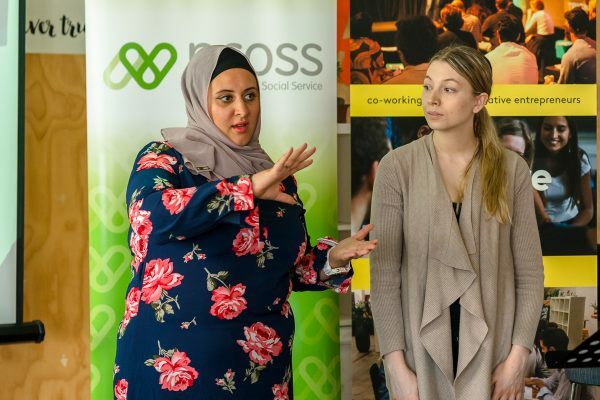 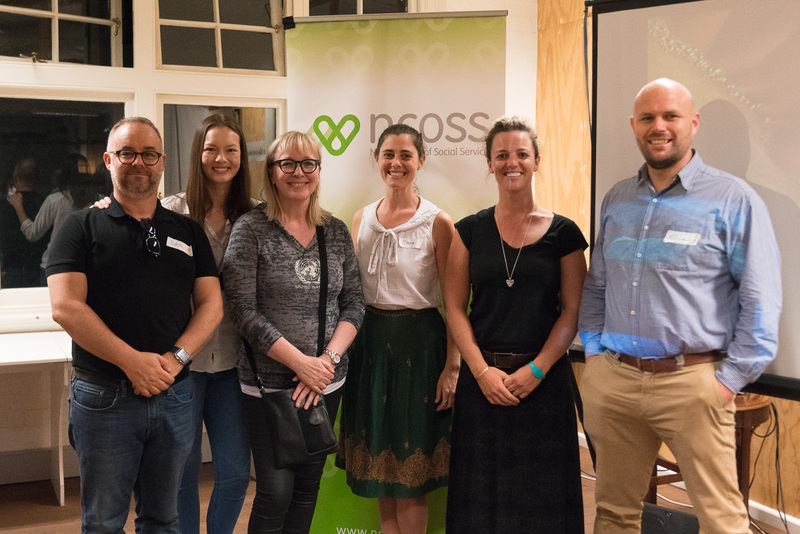 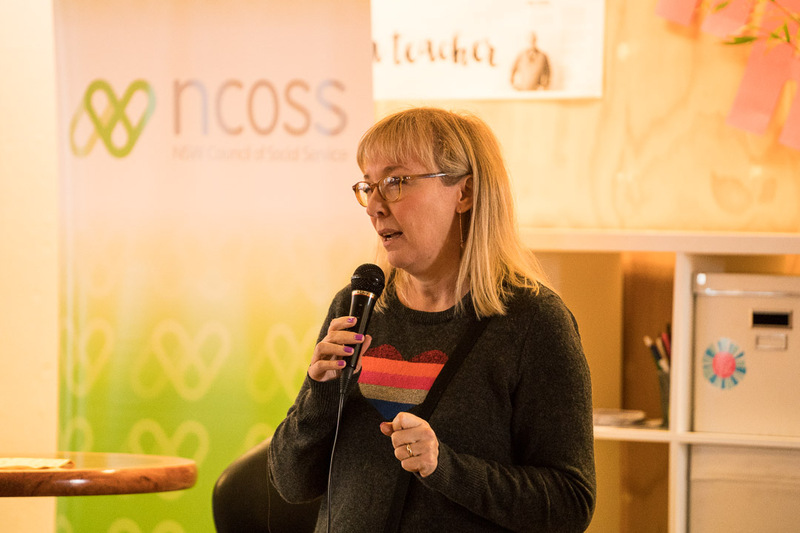 We’ve been meeting with NCOSS and agencies that provide services to homelessness as we continue to research the needs of those using our platform, sought funding, and presented our pitch at NCOSS Investing For Good conference and Jewish House AGM. 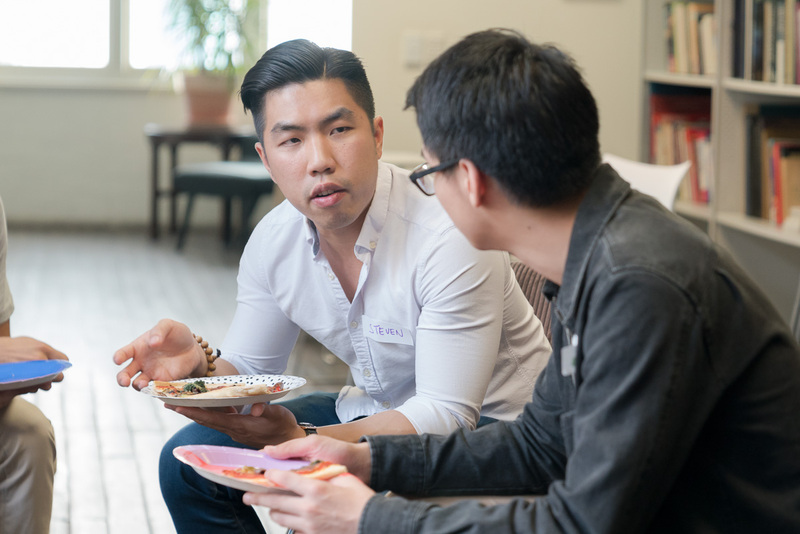 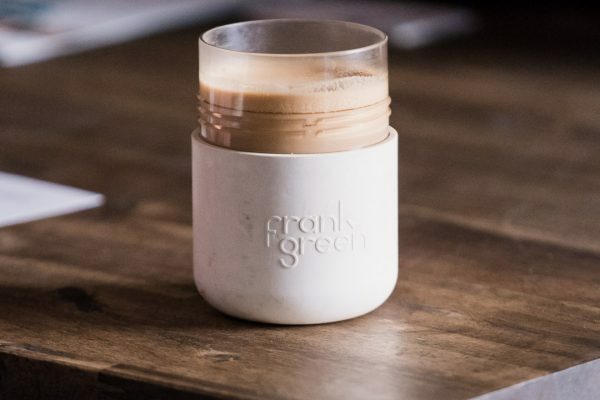 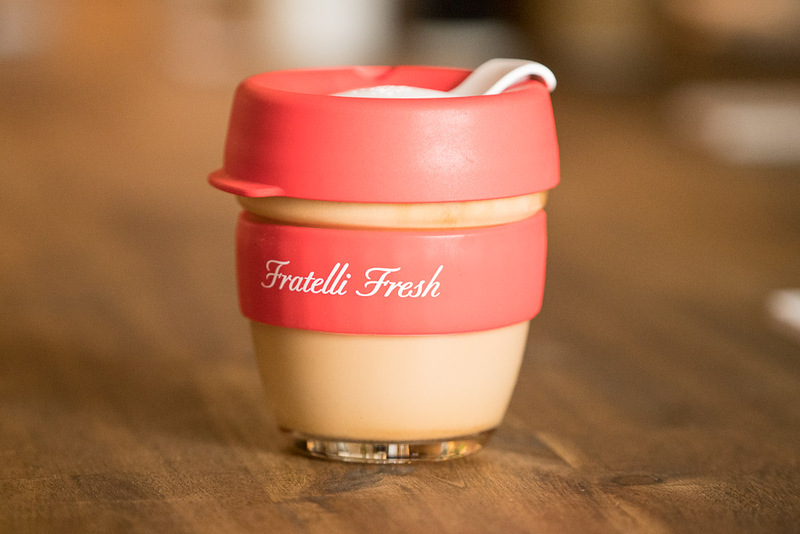 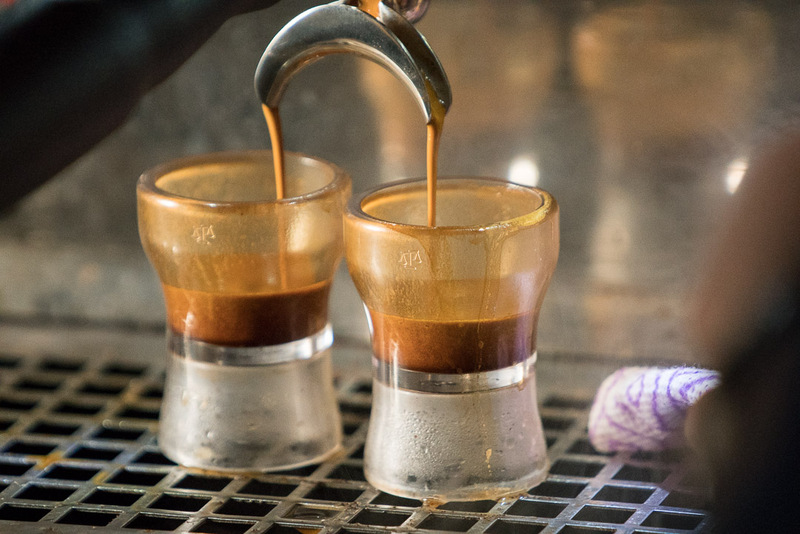 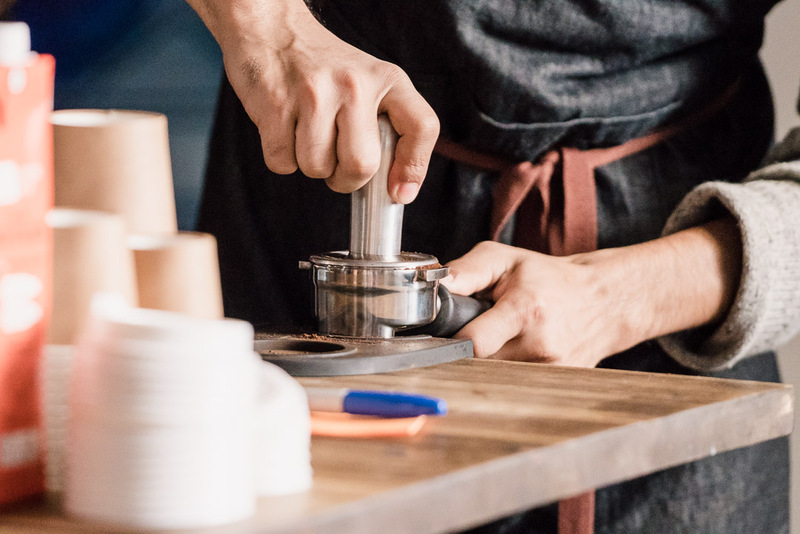 We have regular team meetings and are committed to progressing our idea beyond concept if we are certain we can build a viable product that’s truly valuable to the sector. 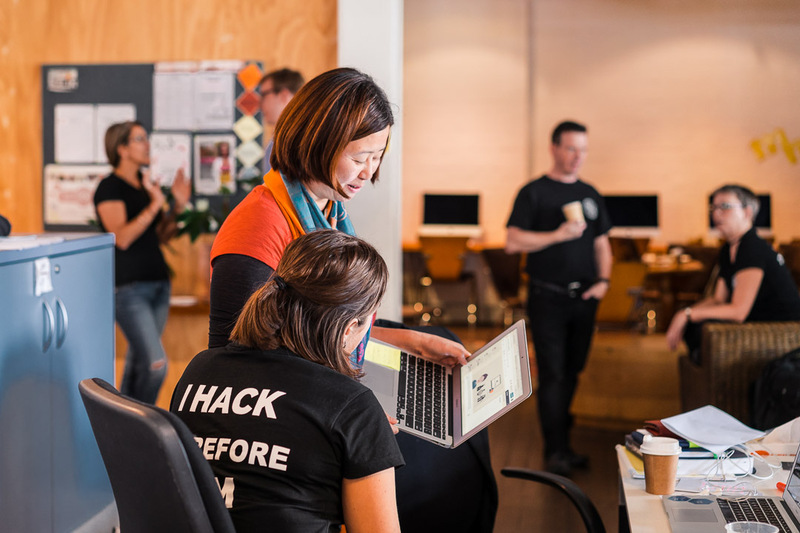 Q: On a more personal front, what has been your biggest learning from this hack experience? 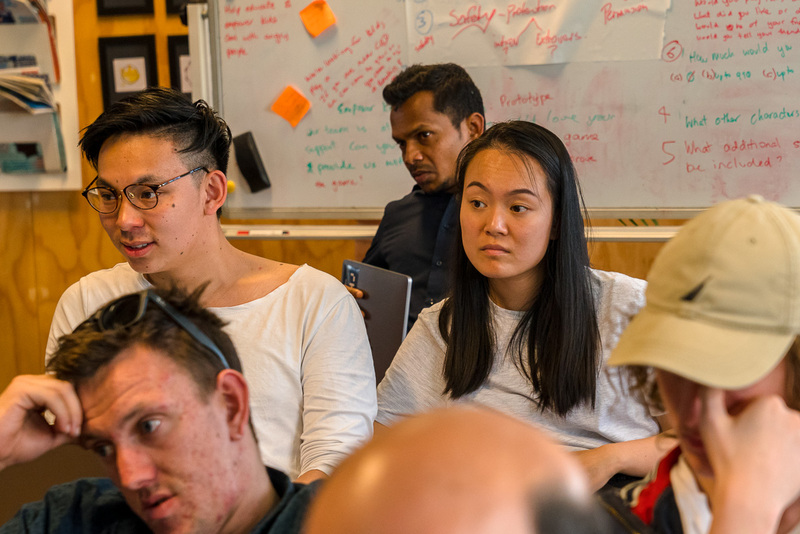 Team: We have learnt so much about so many things over the last two months, but the biggest impact on us has been understanding the people experiencing, or at risk of, homelessness. 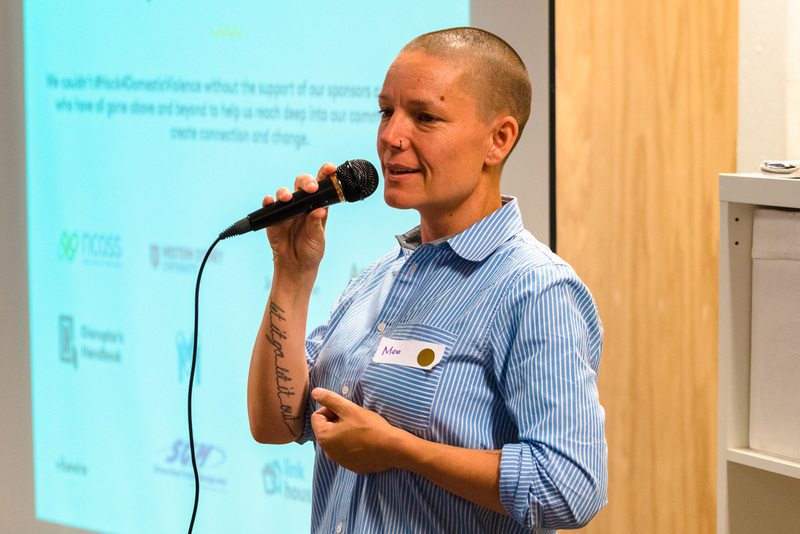 We’ve spoken with and heard from people who have been or who are homeless. 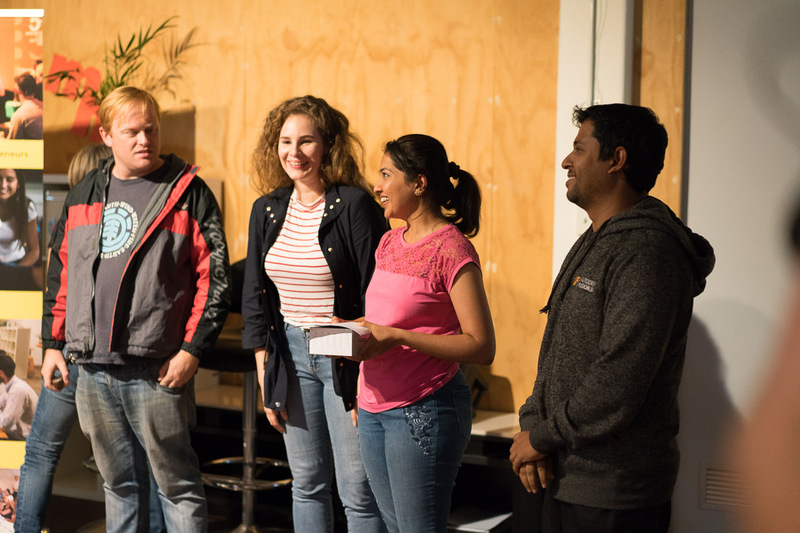 They’ve shared what it’s like to sleep rough, the many challenges they battle daily and what they’ve been able to overcome. We now know how quickly a situation can change and that it can happen to anyone at any time. 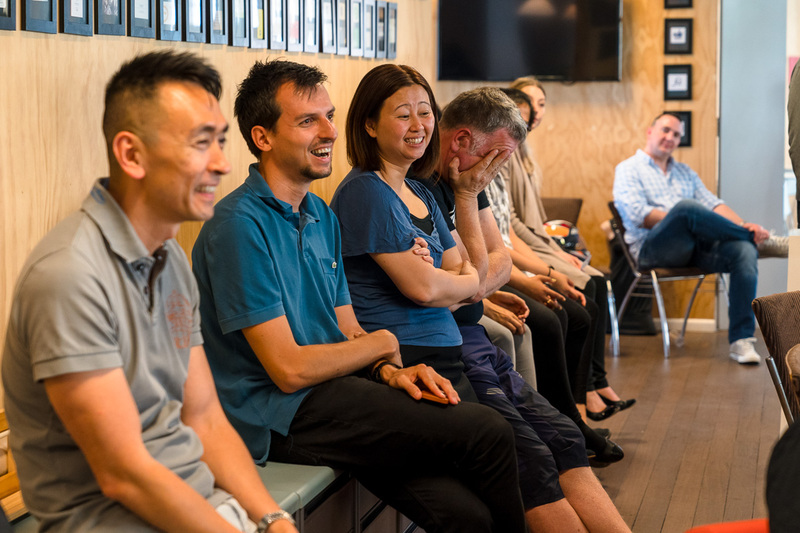 And we continue to learn about ourselves and what we can achieve together. If you are interested in mentoring the Hackathon teams let us know here! 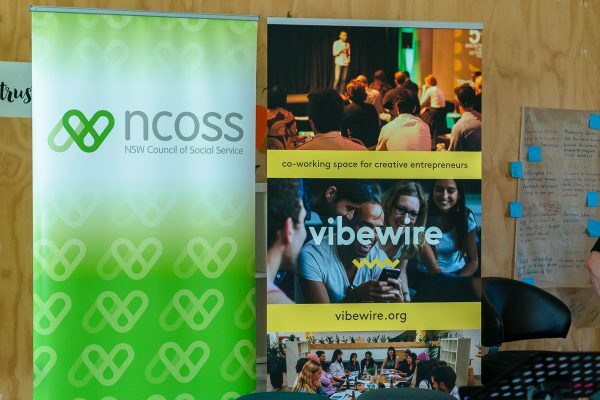 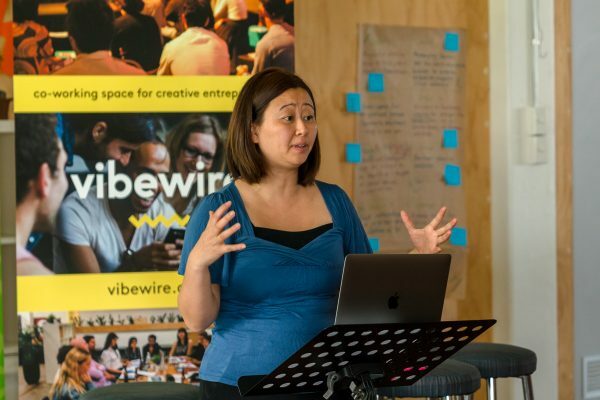 Vibewire will be presenting at the Investing for Good 2017 conference!! 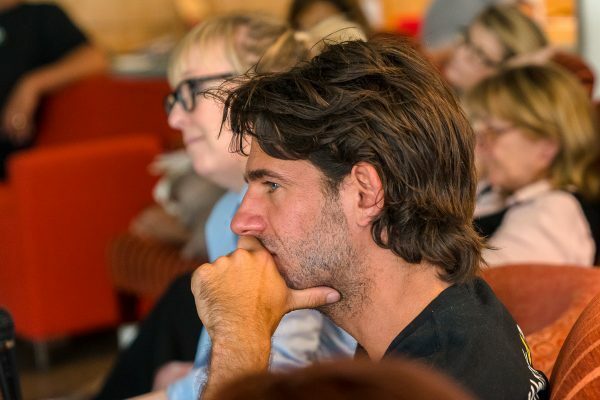 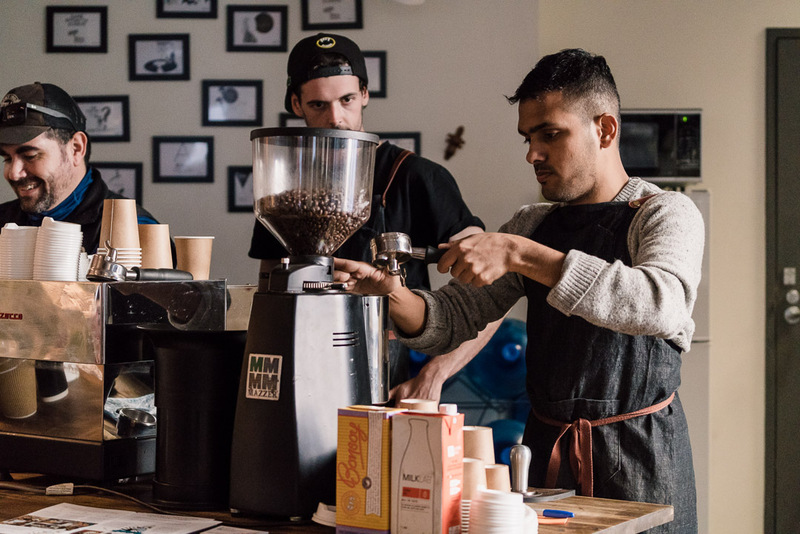 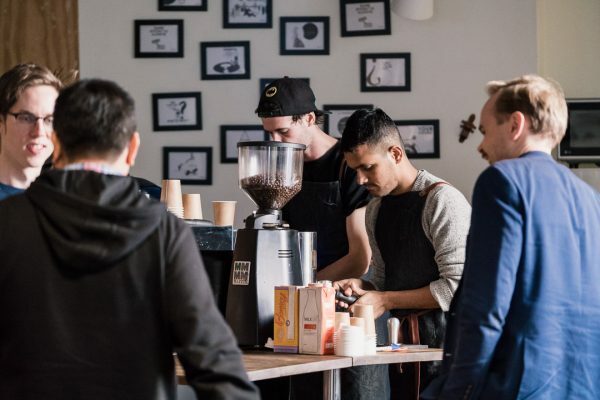 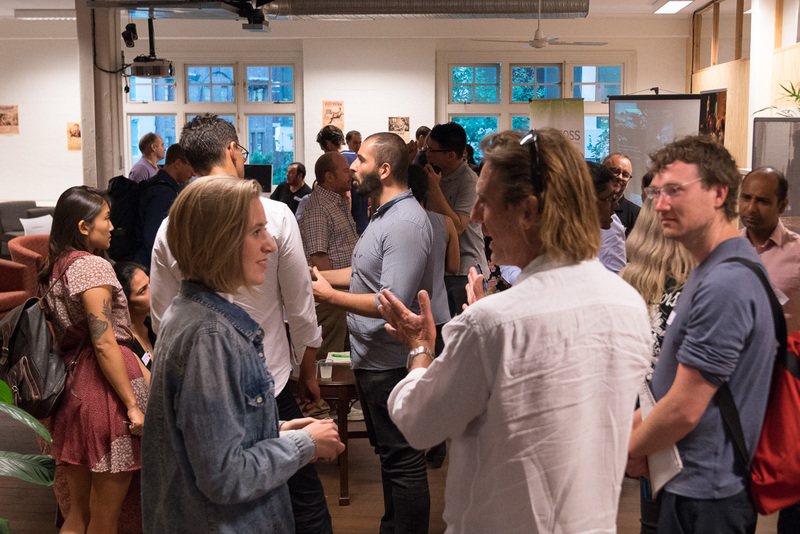 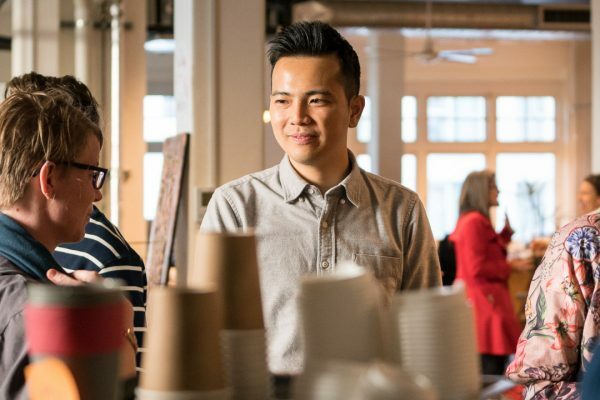 Investing for Good is a platform for organisations, government and investors to come together to explore financially sustainable ways to create social change. 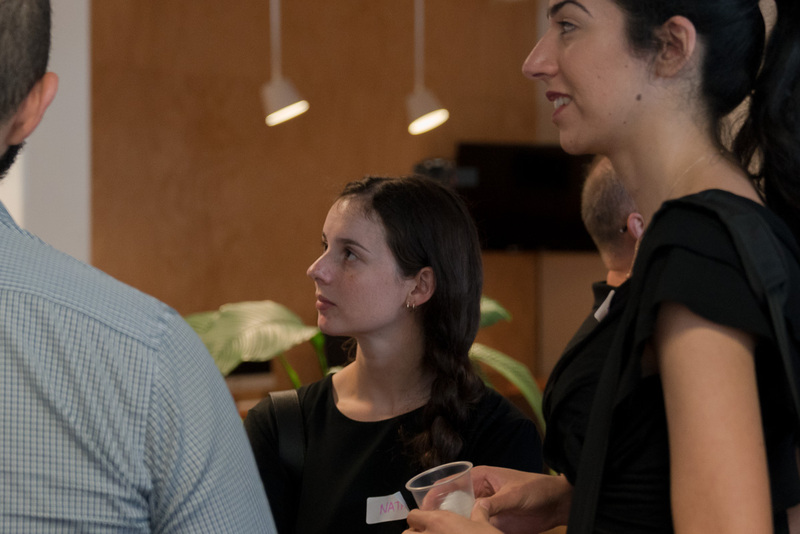 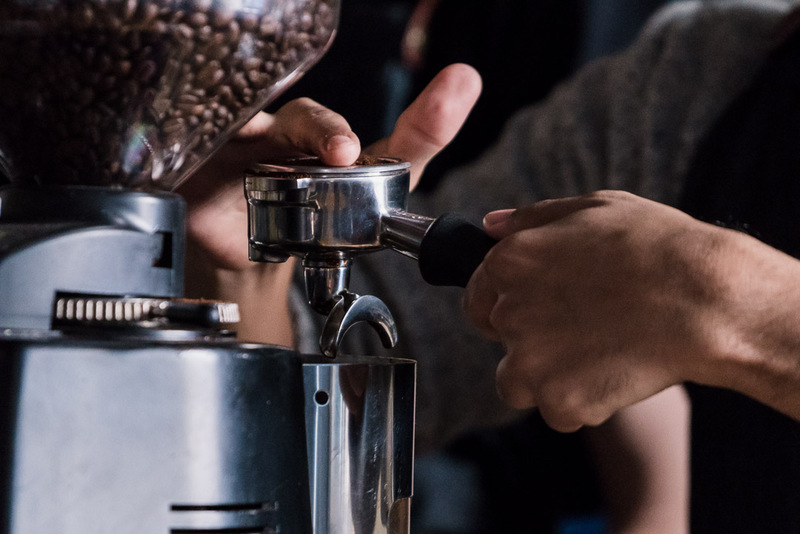 Designed to give attendees practical take-outs and key industry contacts, I4G helps us build partnerships that create social change and investment returns. 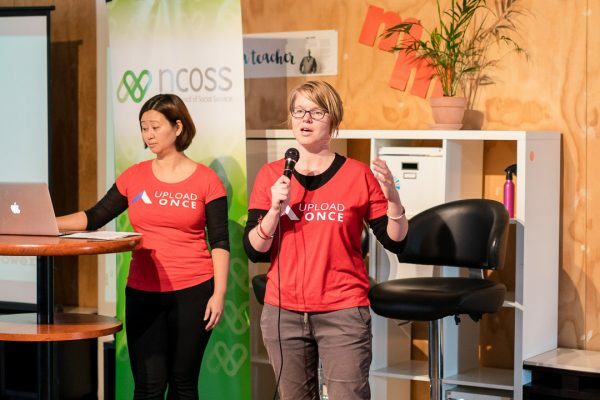 Care Connect tackle the challenge of unused capacity with support services. 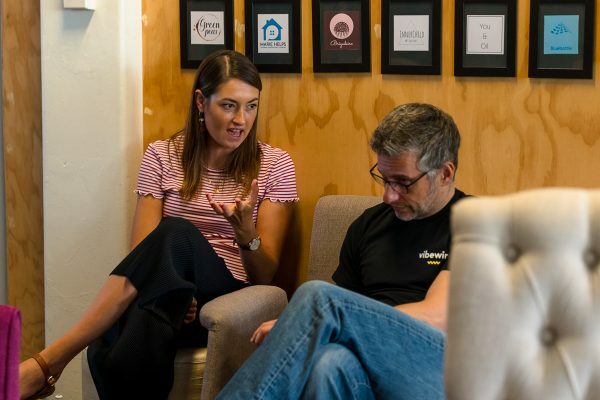 The Care Connect solution is to create a centralized booking system using Google calendars and a simple web interface. 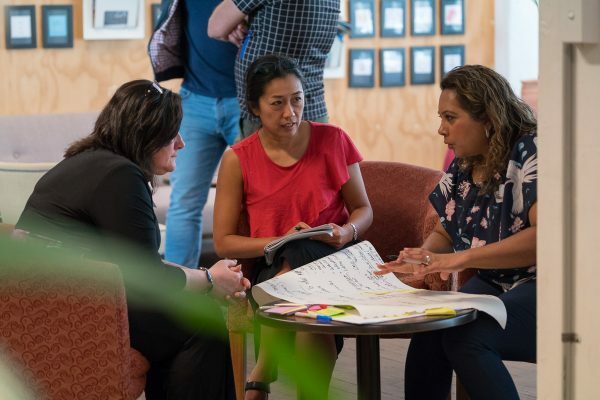 Doti answer how we might we ensure there is a community safety net for every child in Australia to reduce the risk of homelessness? 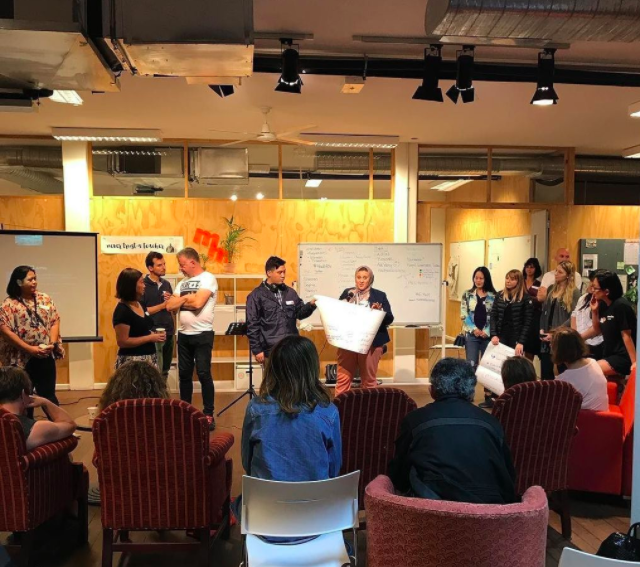 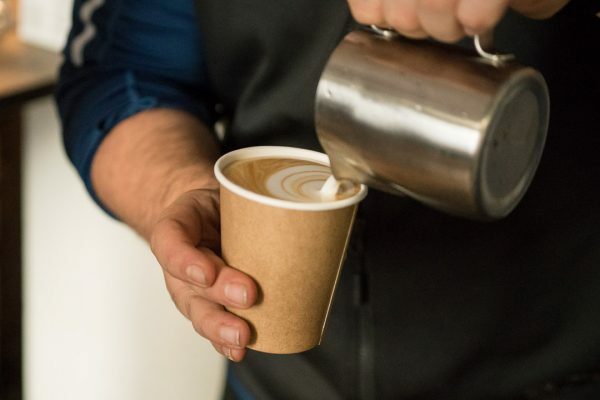 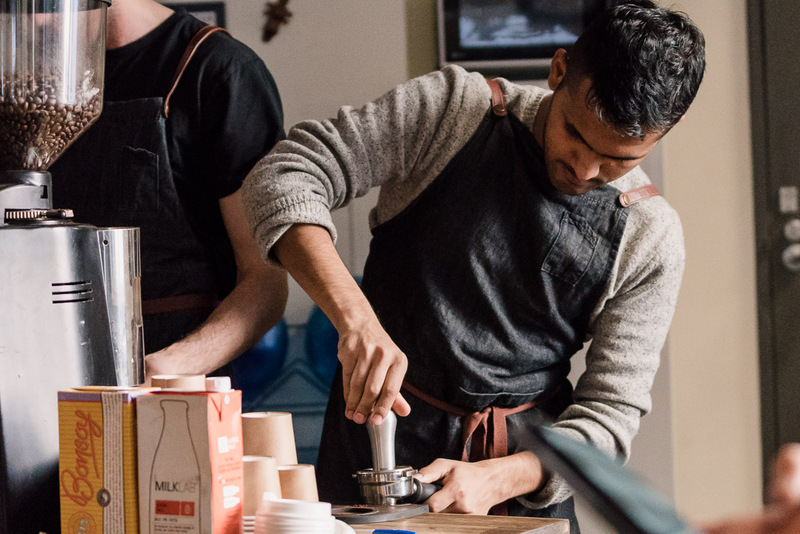 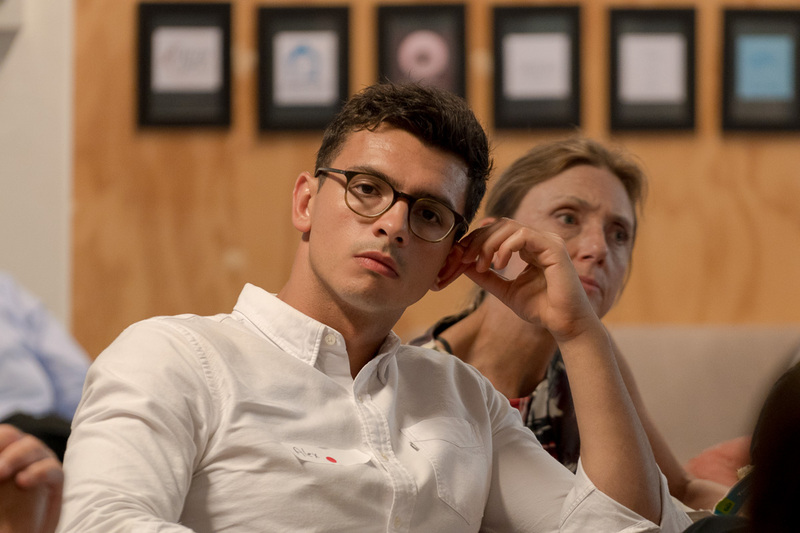 The Doti solution to this challenge is to create a safe and secure physical and virtual community support network for all young people in Australia. 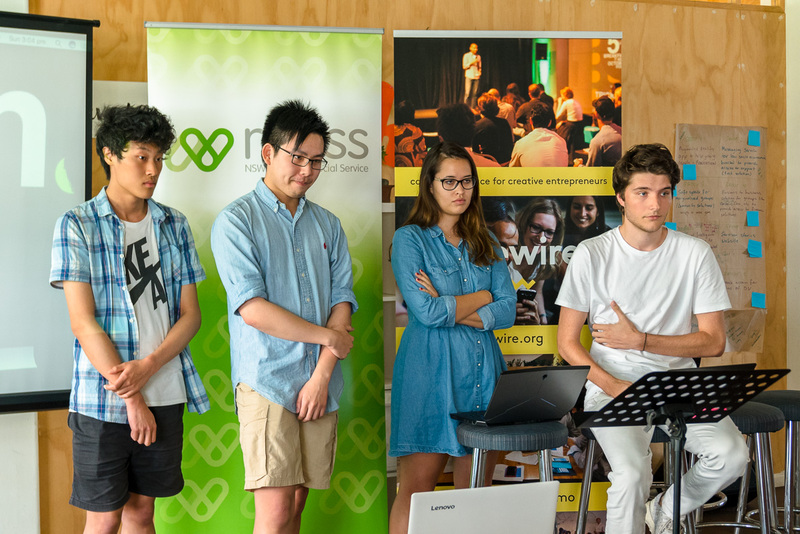 The Good Mates solution to this challenge is to provide a platform that brings together 15-23 year old young adults and people at and above the pension age. The young adults assist the pensioners and receive accommodation and a work opportunity that’ll lead to a profession in health care. 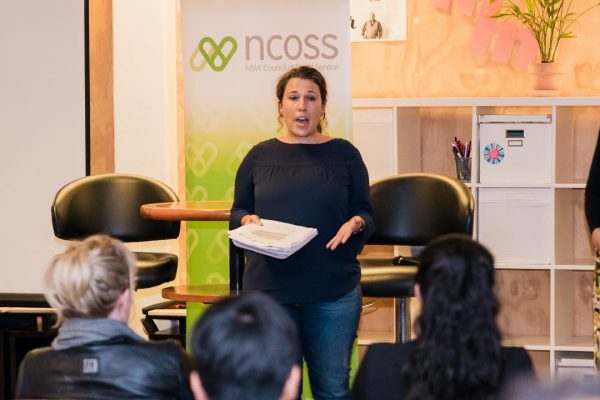 Homelessness and guidance for young adults leaving foster care in conjunction to support for aging community. The Fair BnB solution to this challenge is to connect people looking for accommodation to share housing options. Solving the problem of share housing.